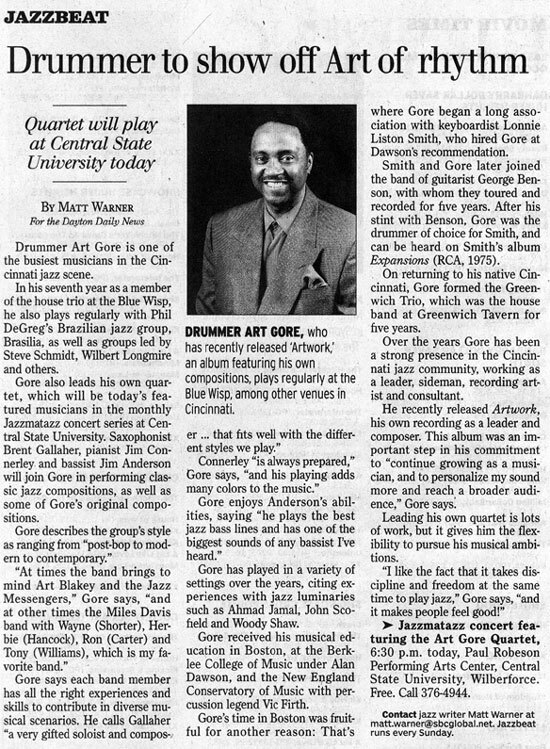 Countless hours of work have gone into the creation and development of this page in the hope that students of jazz may benefit from the information contained herein. 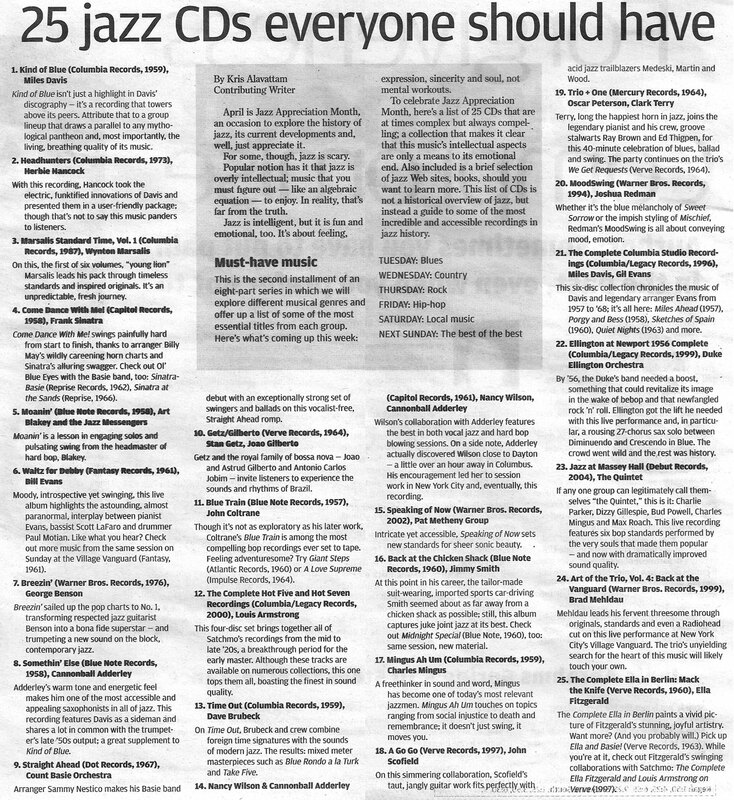 This list is not offered as a complete historical overview of jazz artists, but rather a pathway to some of the most incredible musicians in history. 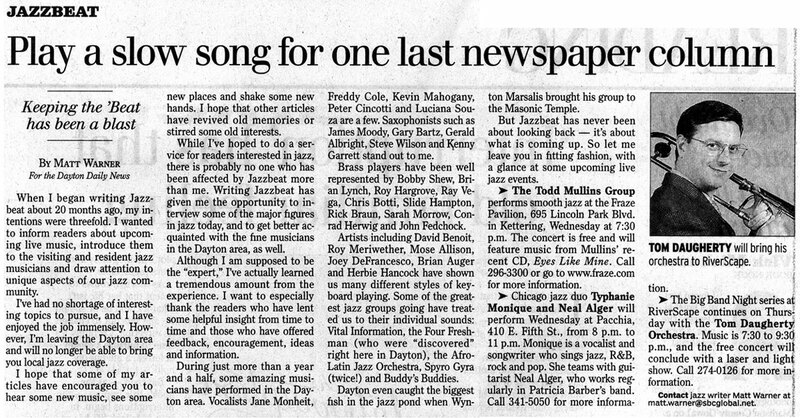 While some early historically important figures may be missing, anyone who takes the time to familiarize themselves with the following names will enjoy an exhaustive and musically rewarding exploration of jazz. 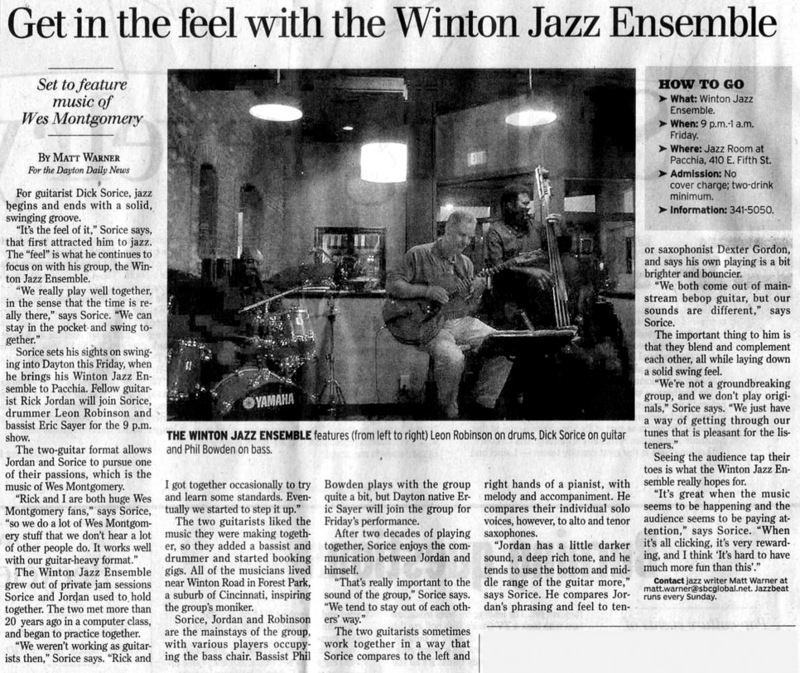 Seven Jazz Arts Studio students enjoyed an intensive study of some of their favorite recorded solos. 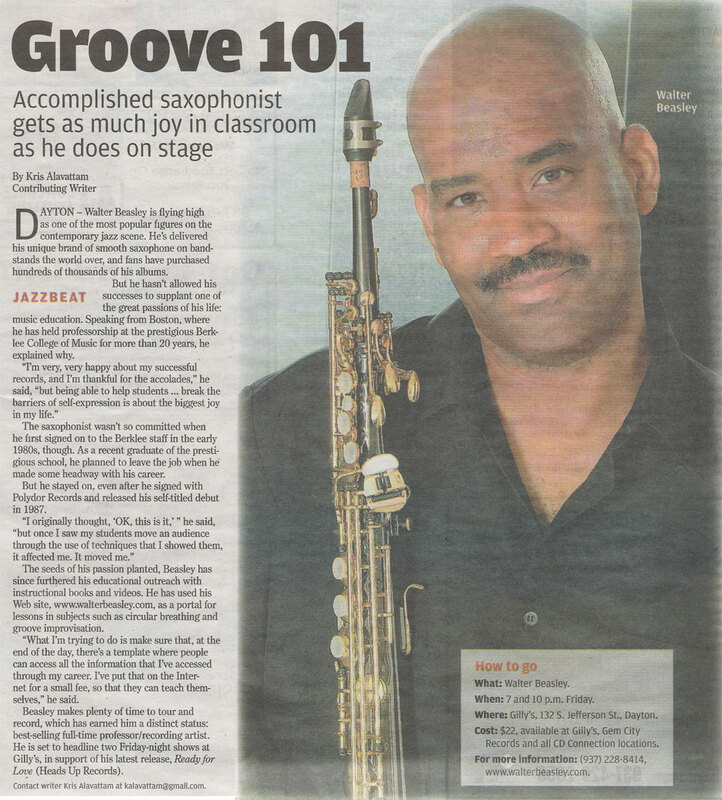 Their assignment was to transcribe, analyze and perform each solo in class. 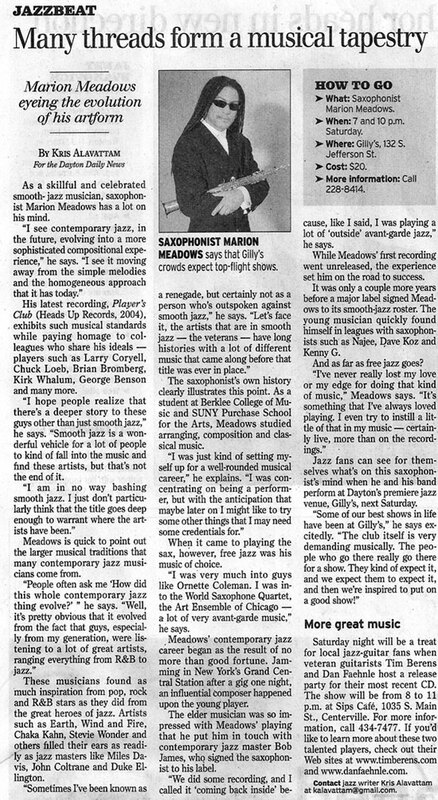 Every performance was required to be at the original tempo and idiomatically accurate (style, feel, articulation, musicality, etc.). 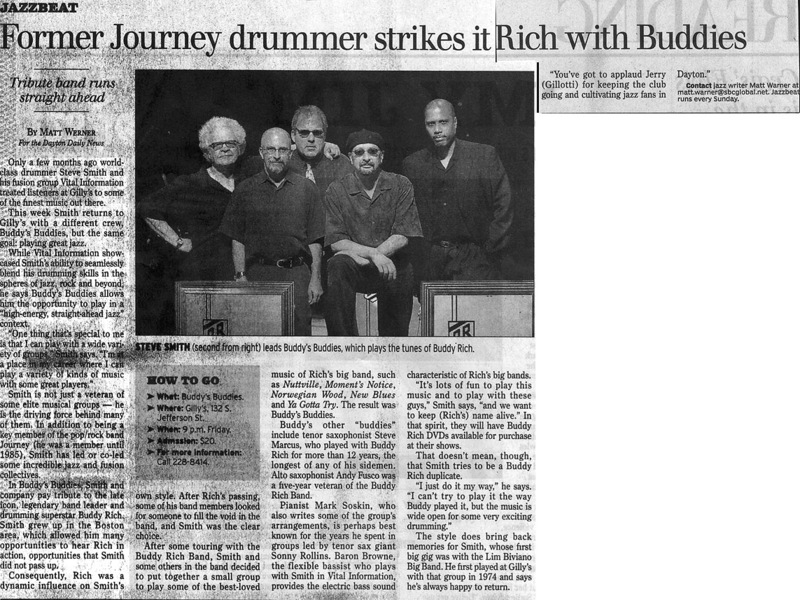 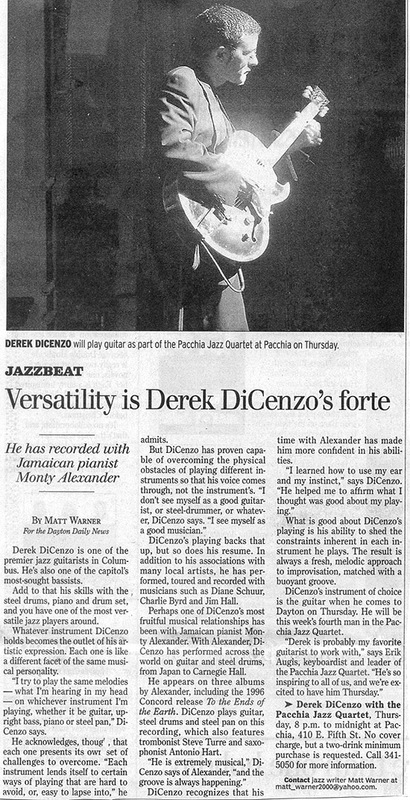 Two performances of each solo were given, one along with the original recorded track and another with a live rhythm section which captured the manner and feel of each recording. 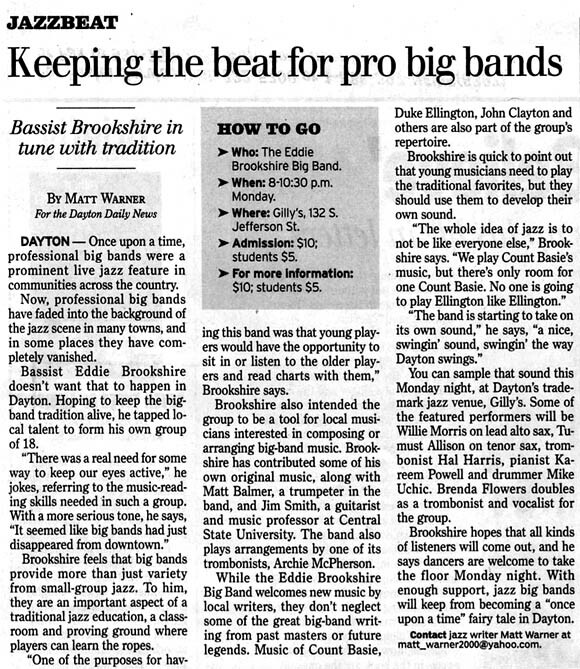 Bassist Griffin Hussong and drummer Ryan Hunter performed in each rhythm section, providing a sensitive backdrop for each piece. 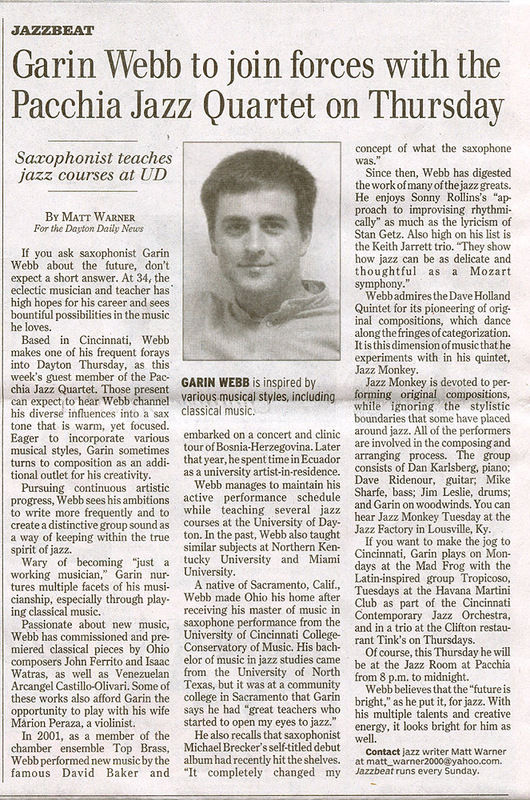 The goal of this assignment was to further develop skills in the areas of ear training, notation, analysis, phrasing, solo architecture, jazz vocabulary and general performance. 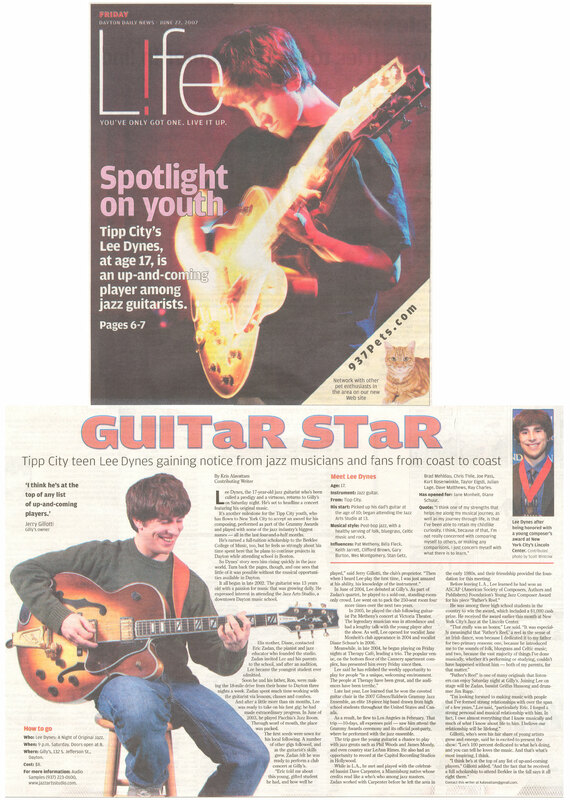 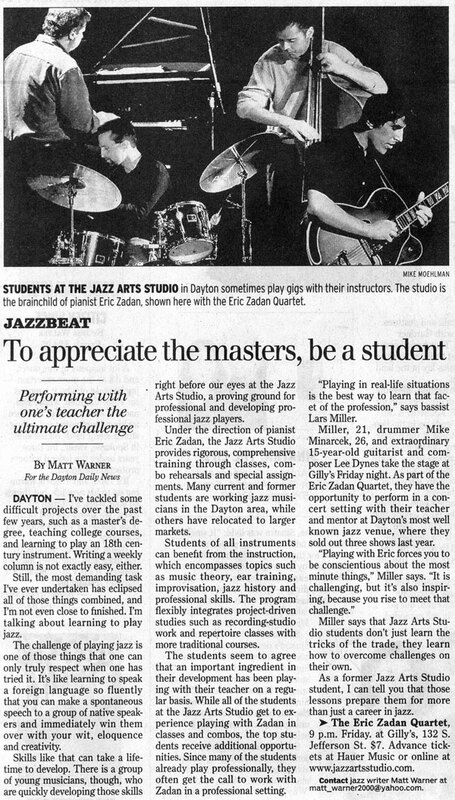 Many students also advanced their instrumental technique as they practiced rigorously to emulate some of the finest and most fluent musicians in history. 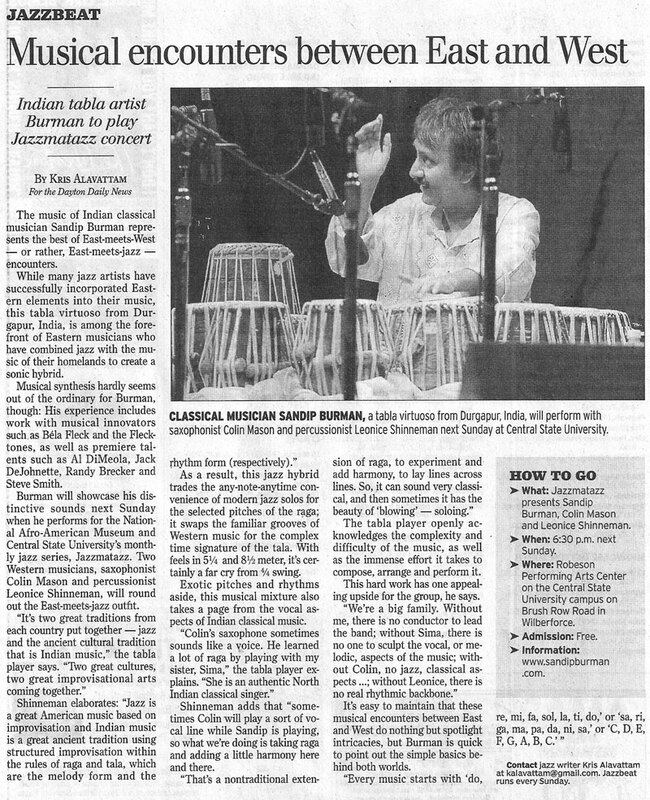 Some of the transcriptions were done by hand while others were done using notation software. 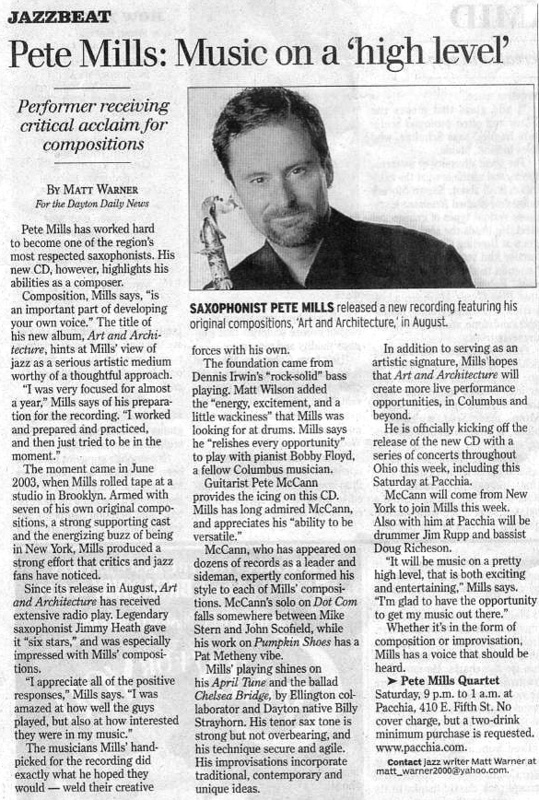 Occasional minor notation errors occurred and were corrected in class. 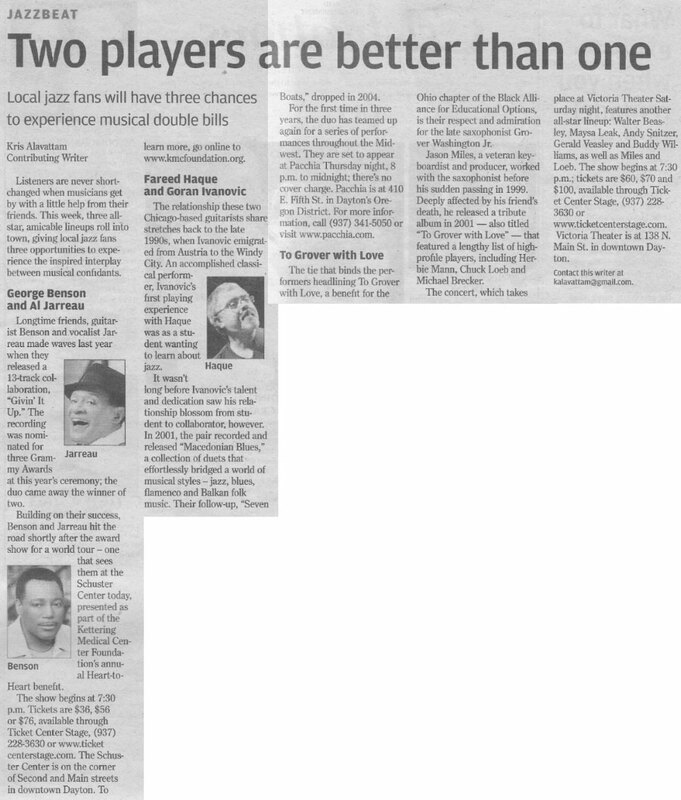 However, virtually every performance was very accurate and faithful to the original recording. 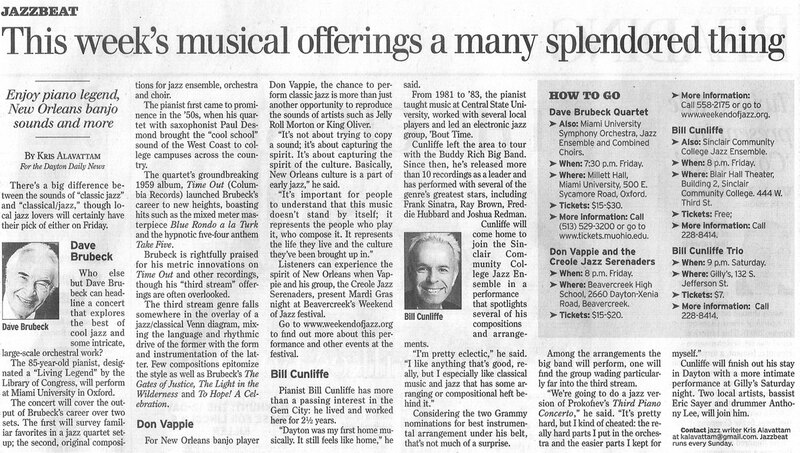 Below, you can view each transcription (click on soloist) and listen to the original solo (click on track). 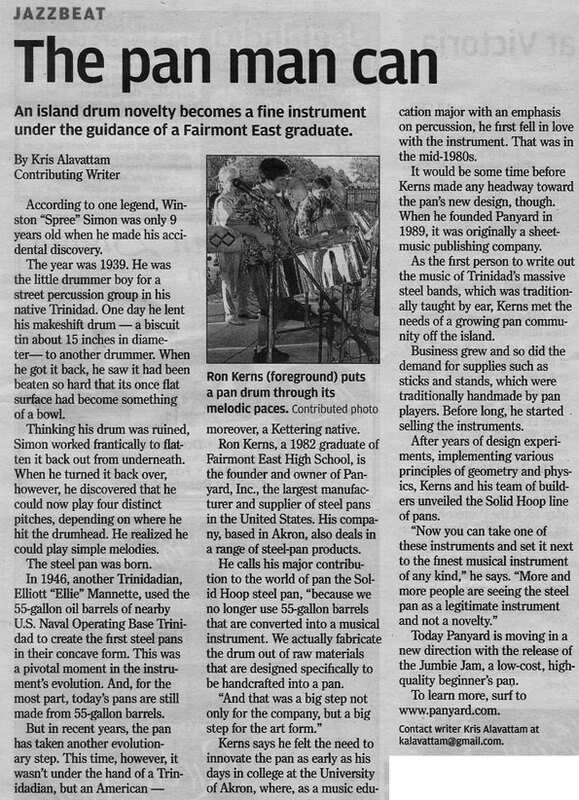 Cannonball Toy Know What I Mean? 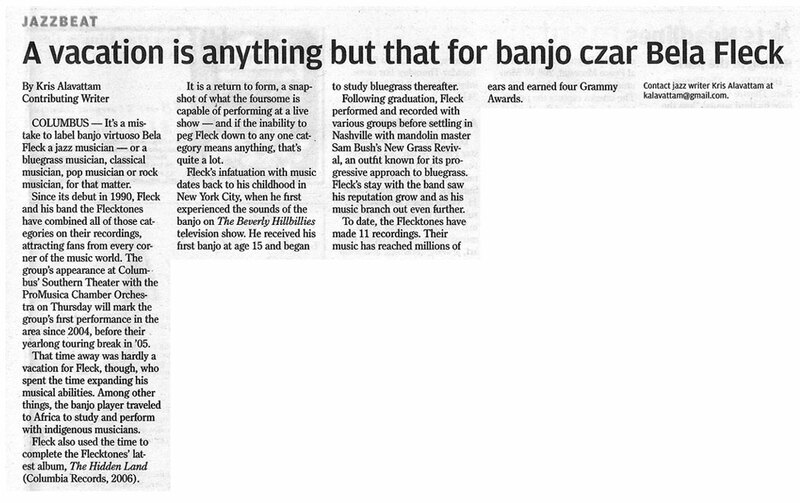 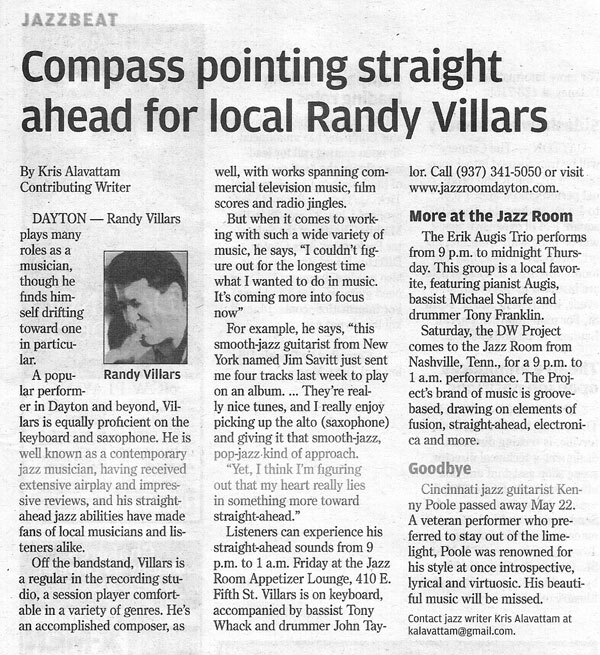 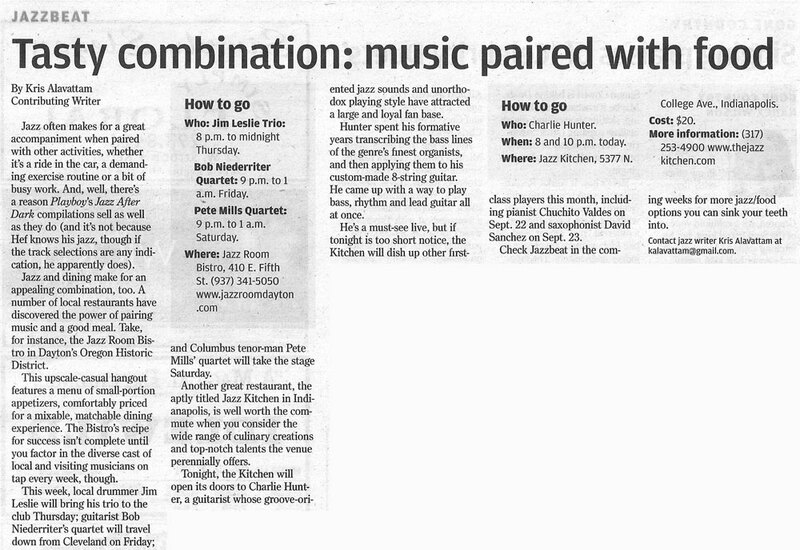 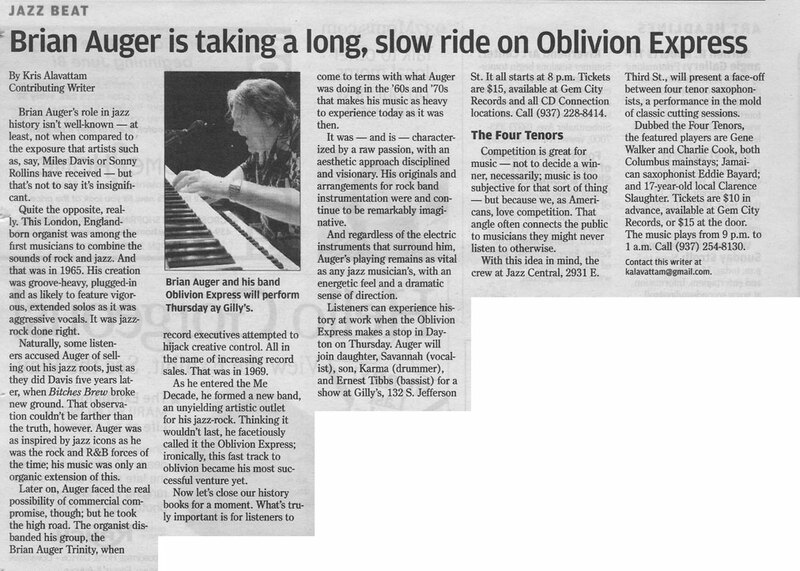 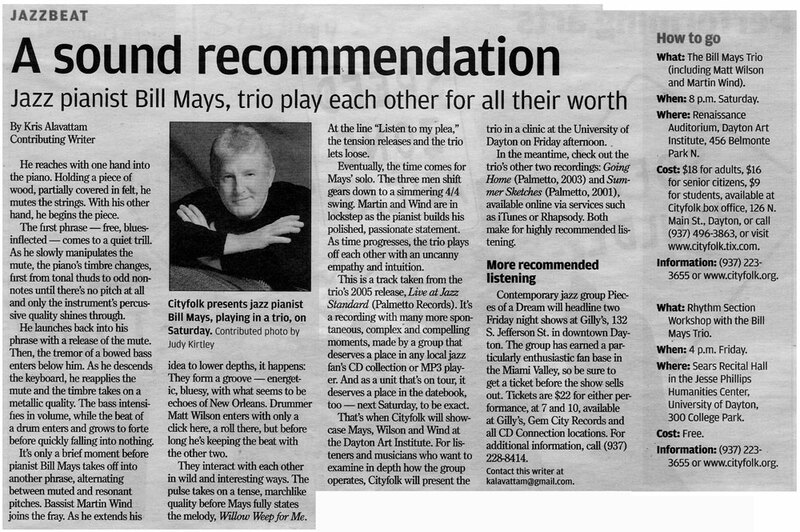 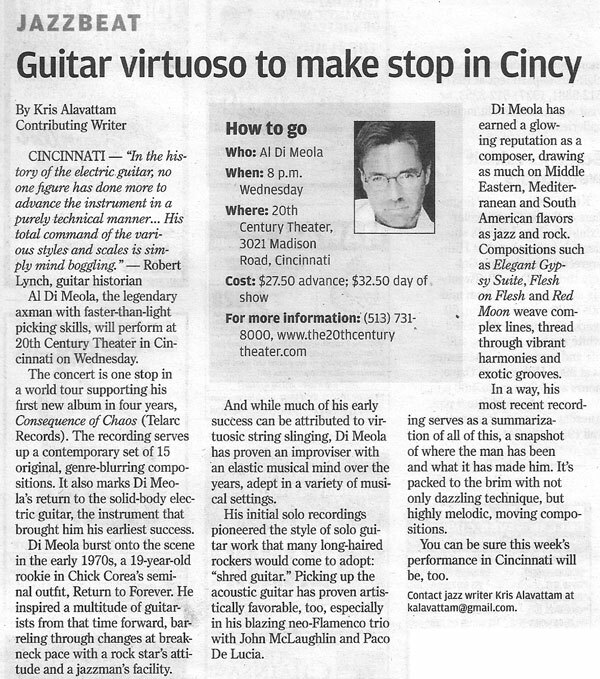 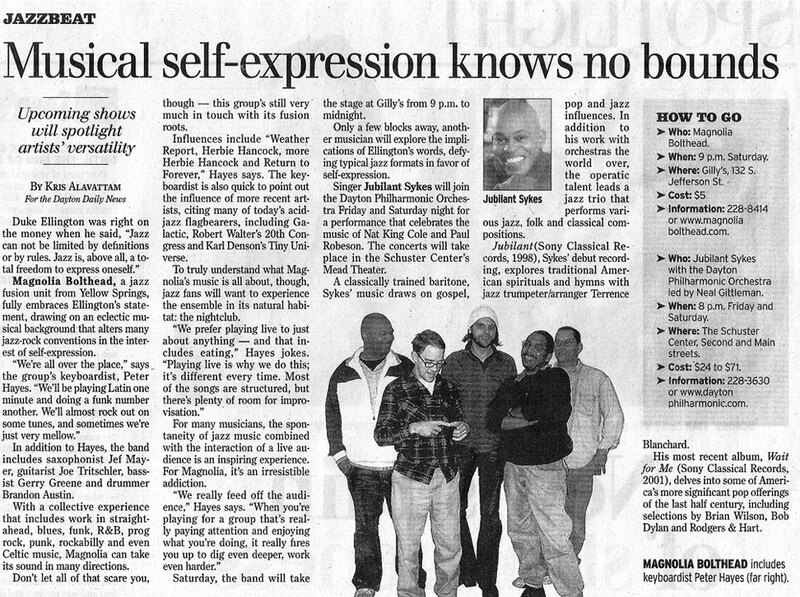 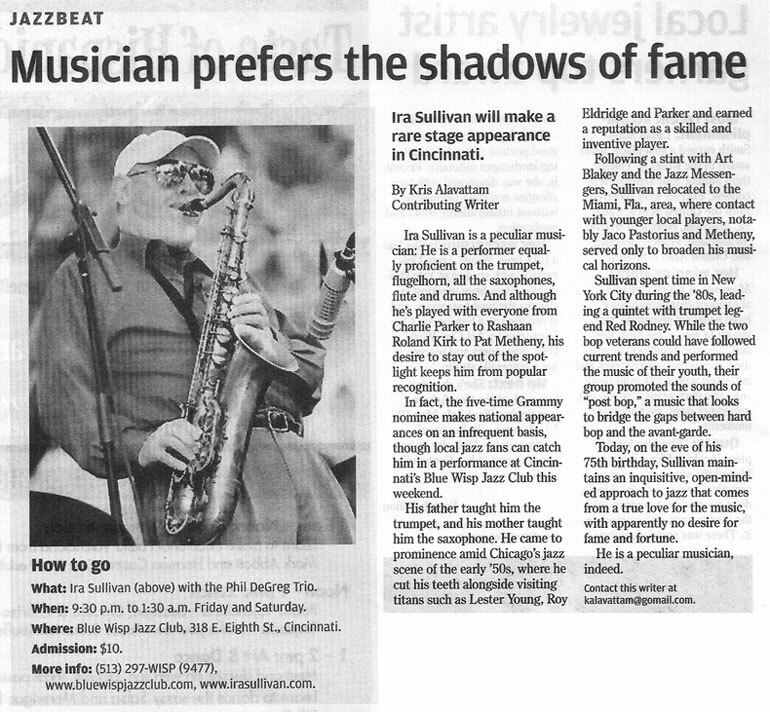 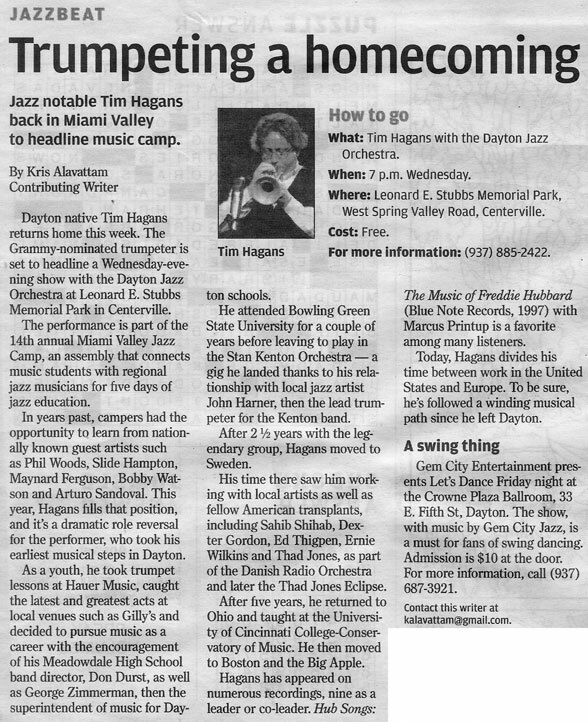 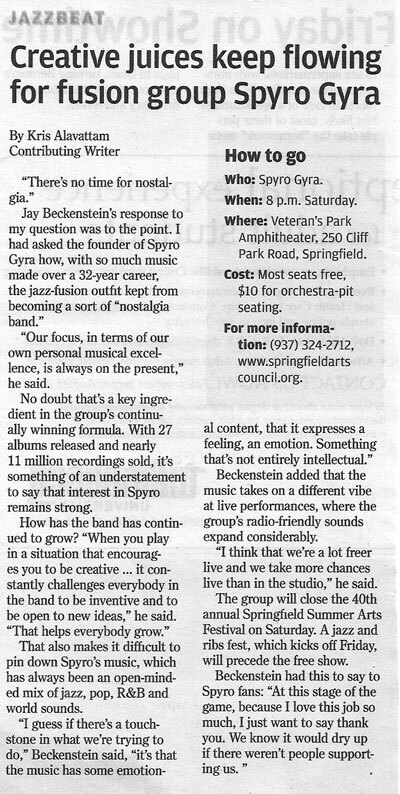 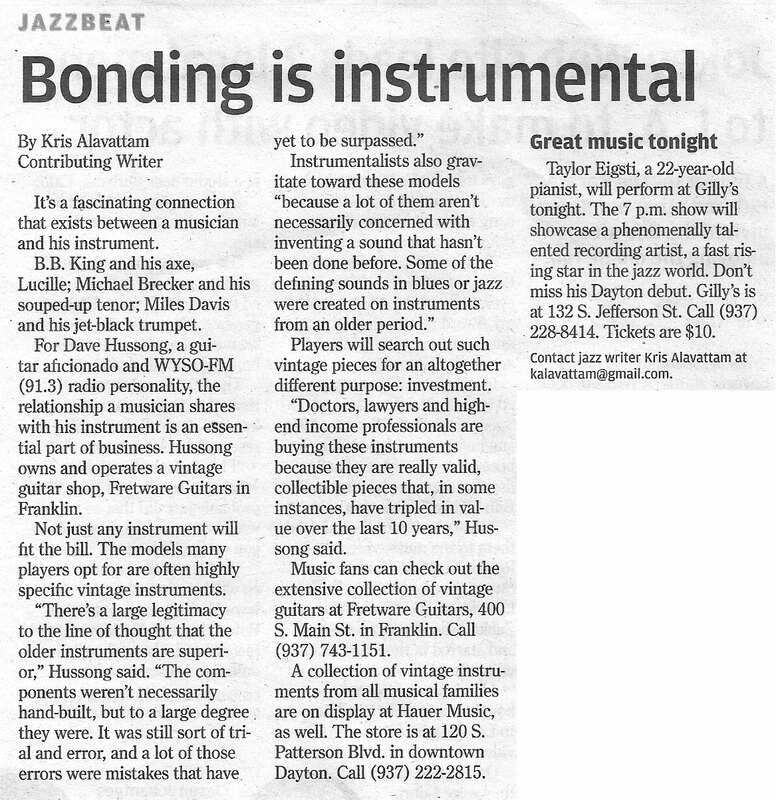 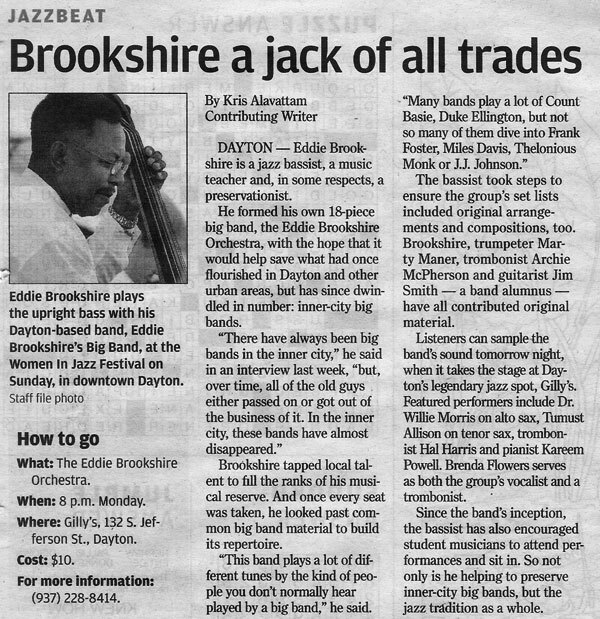 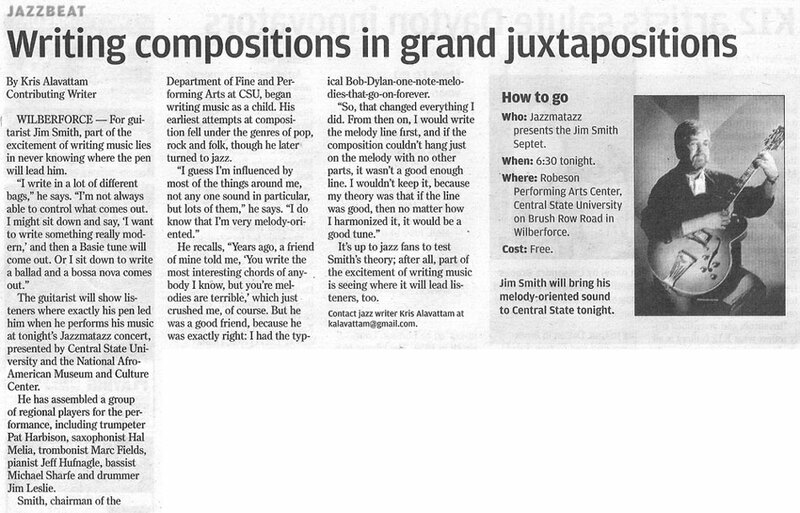 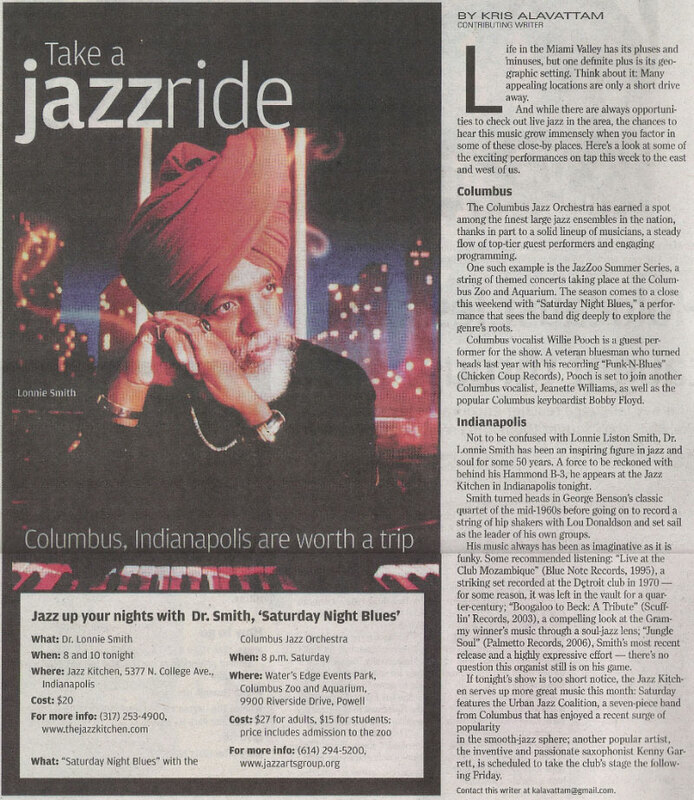 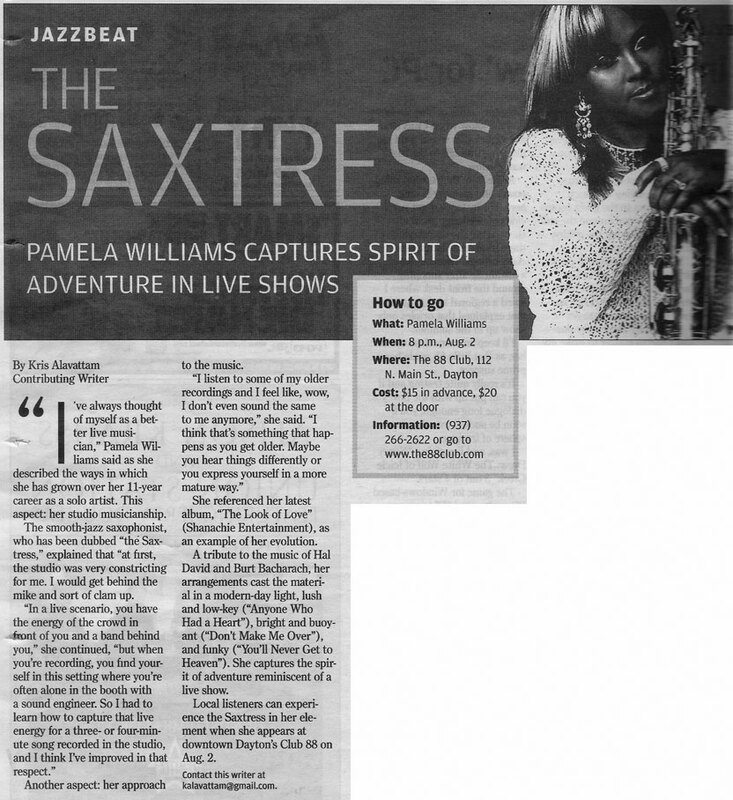 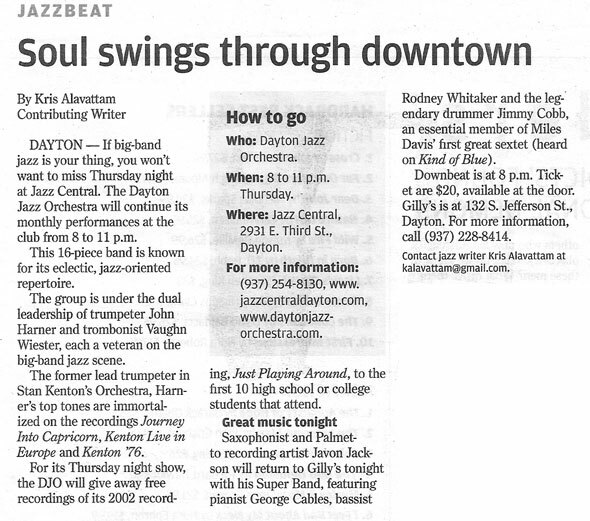 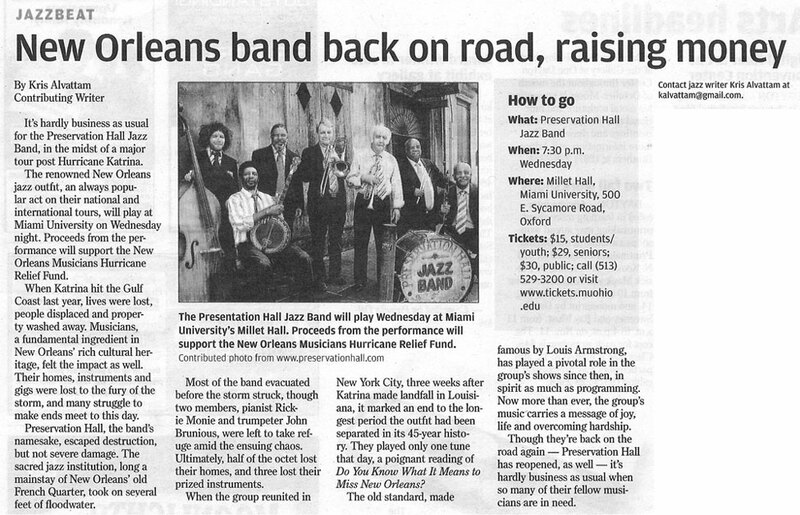 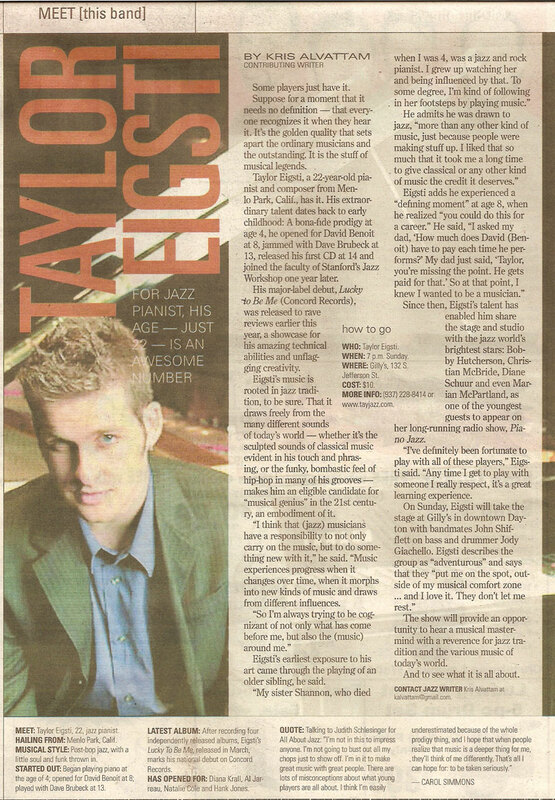 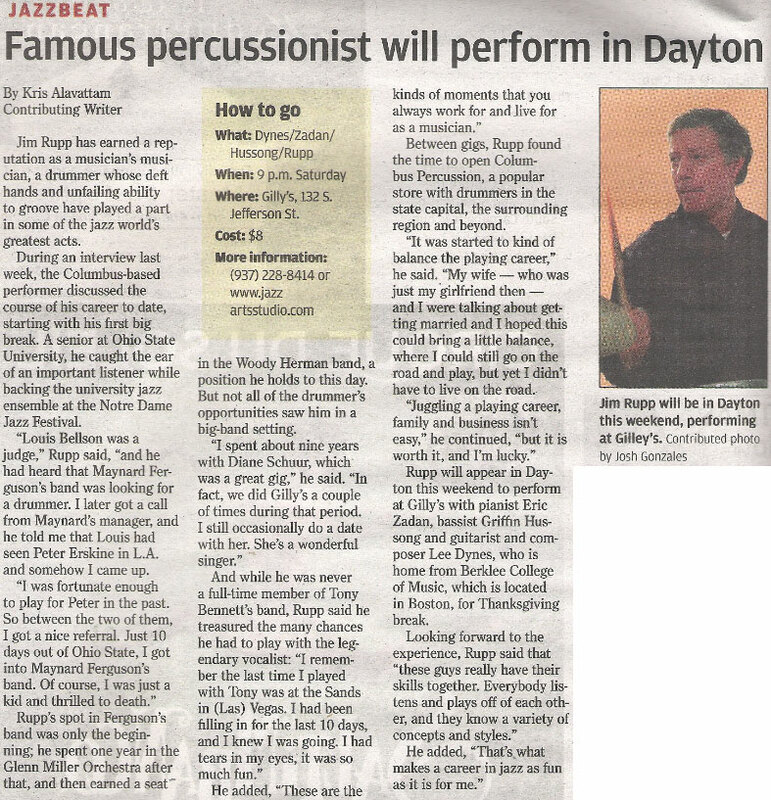 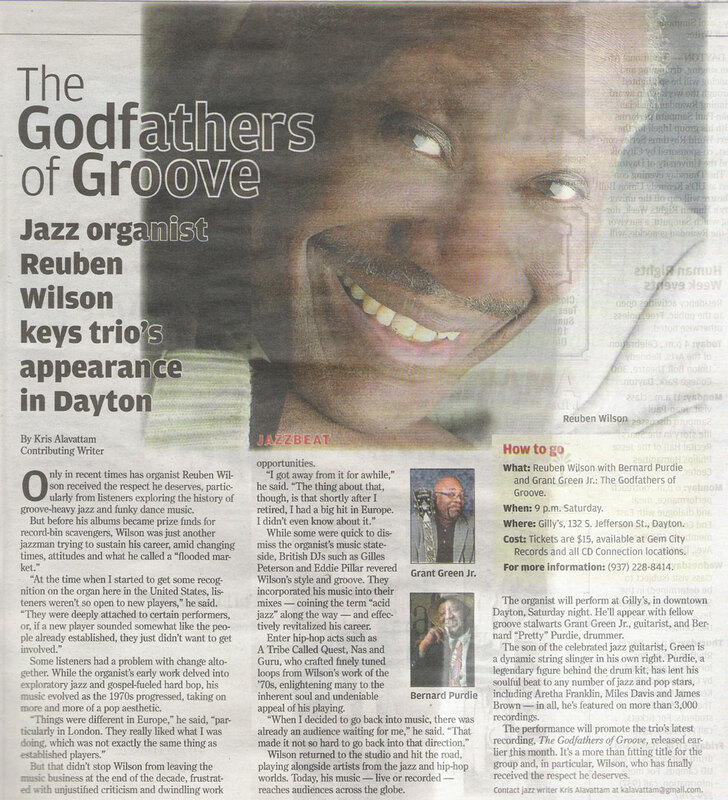 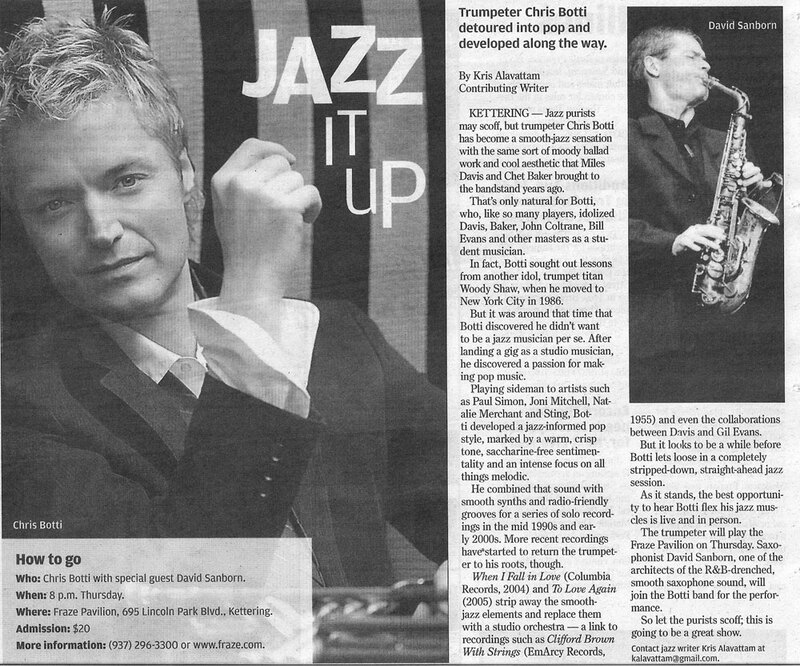 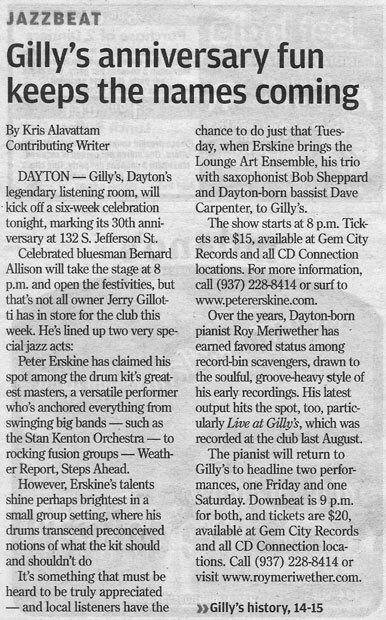 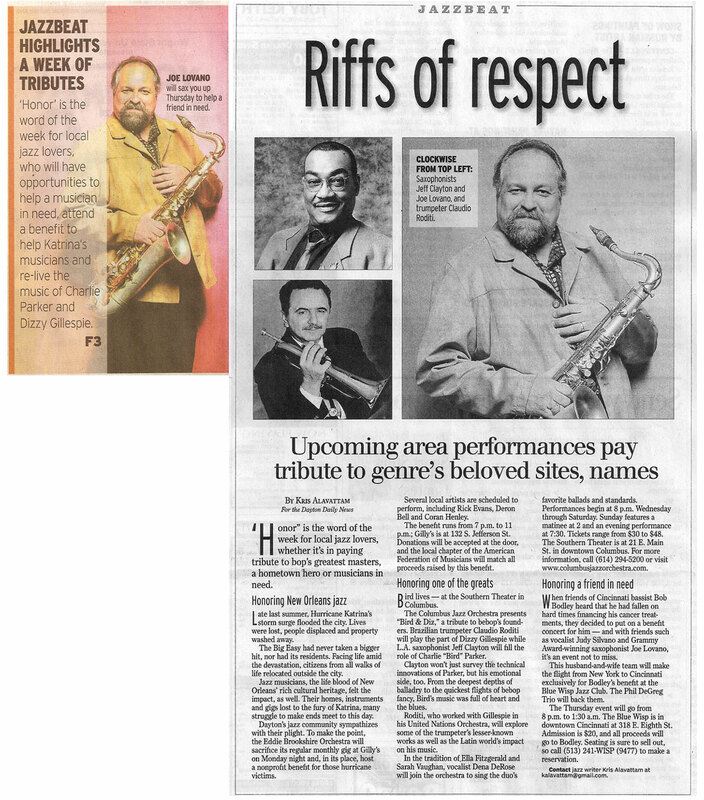 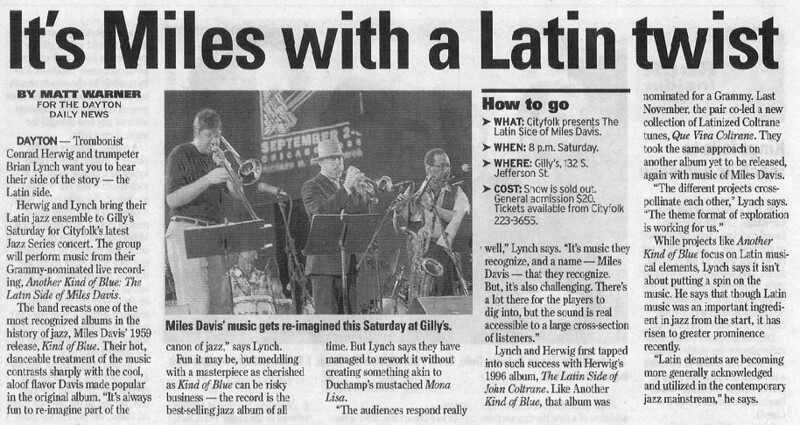 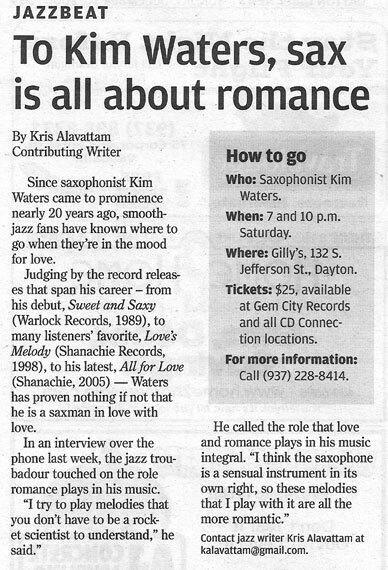 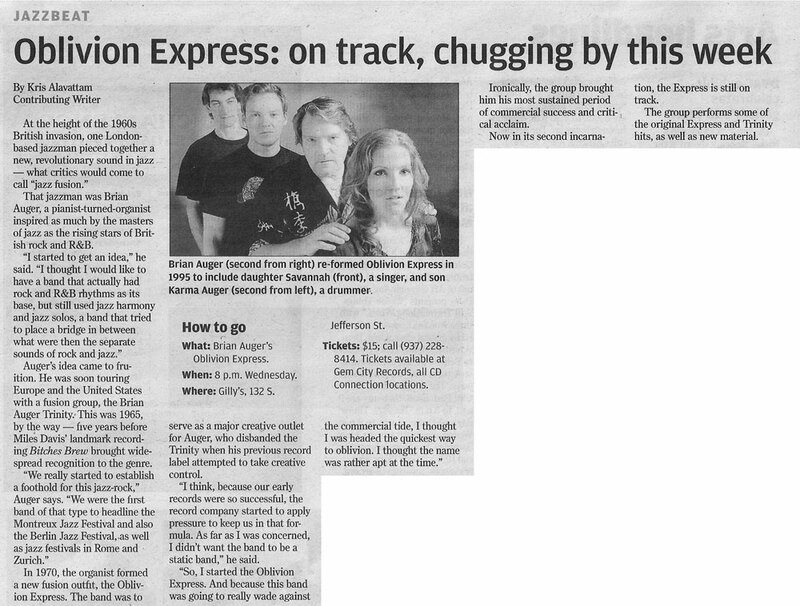 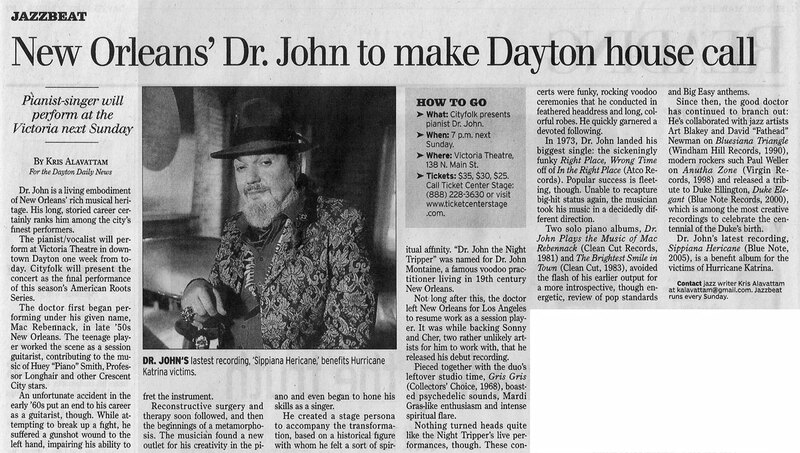 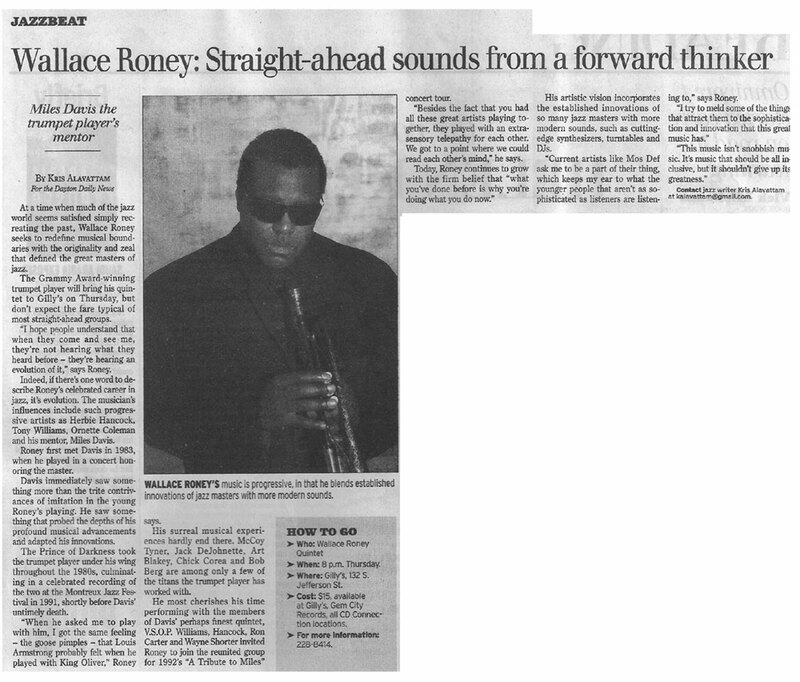 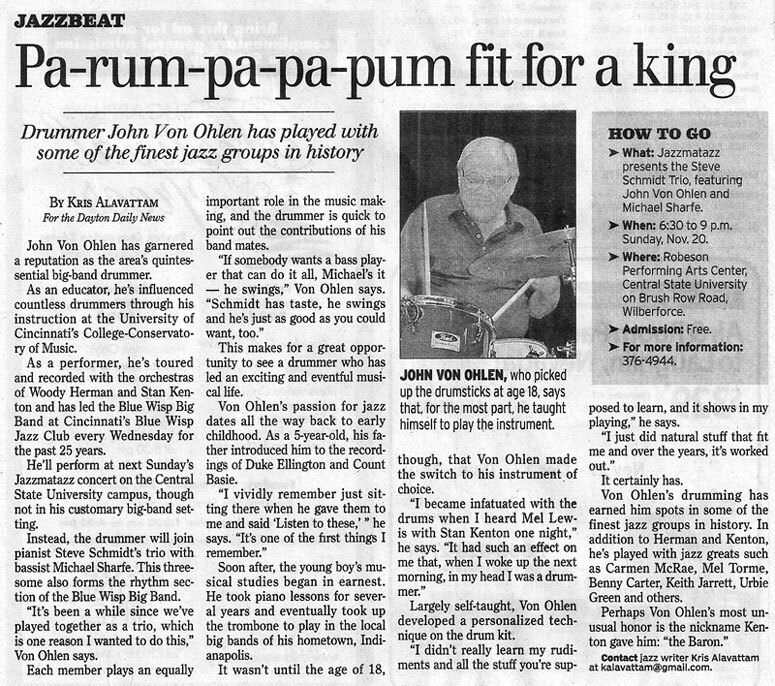 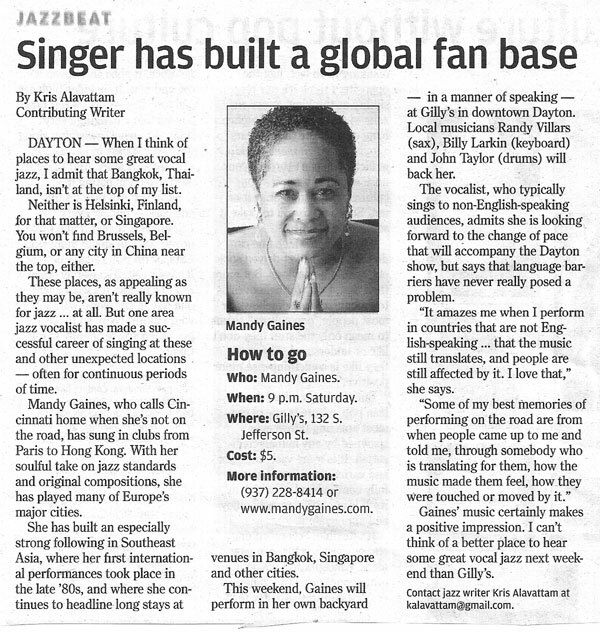 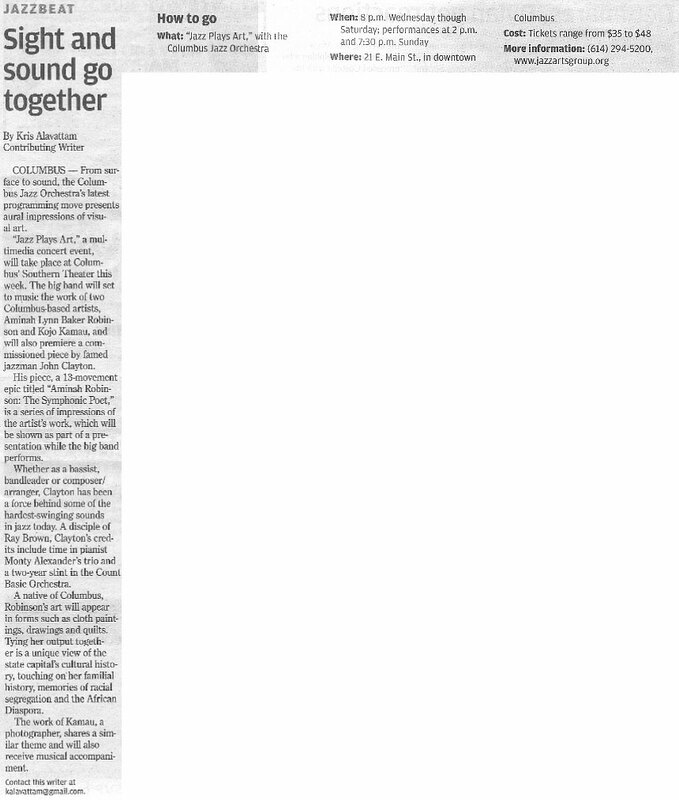 Jazz saxophonist Kris Alavattam writes about jazz for the Dayton Daily News. 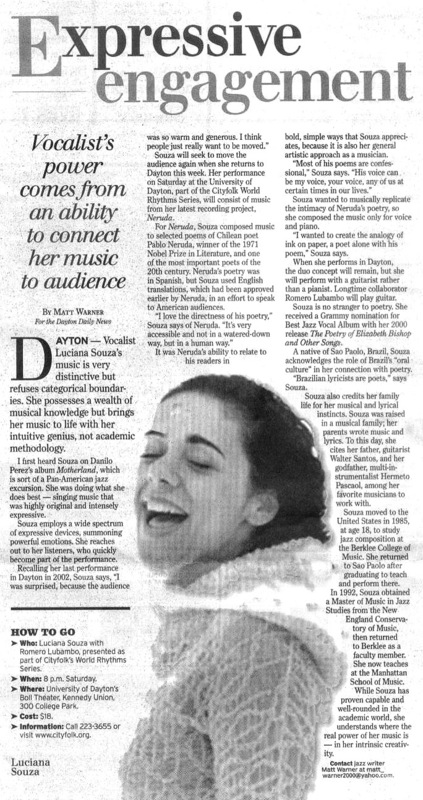 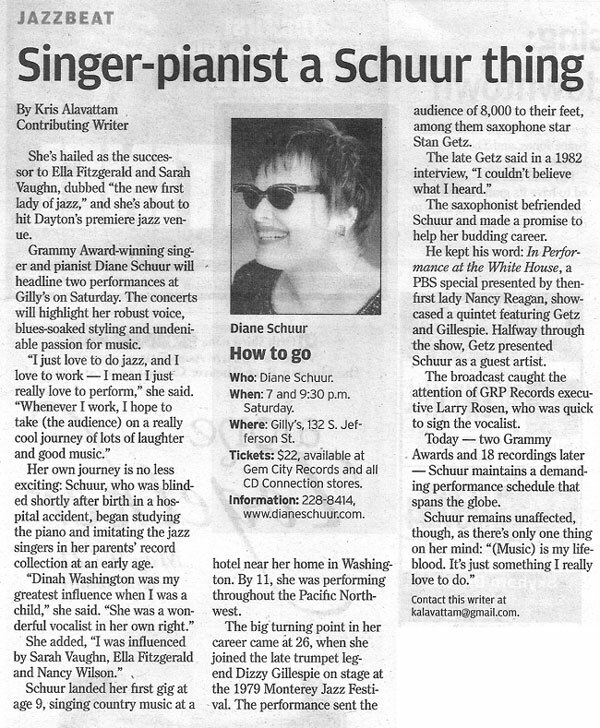 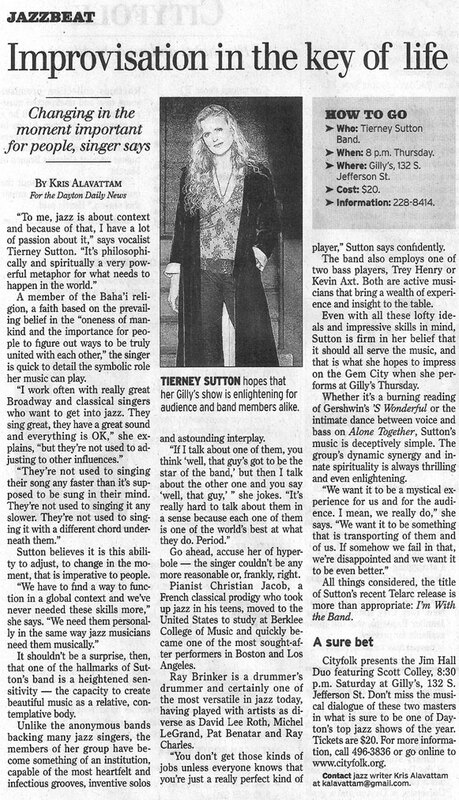 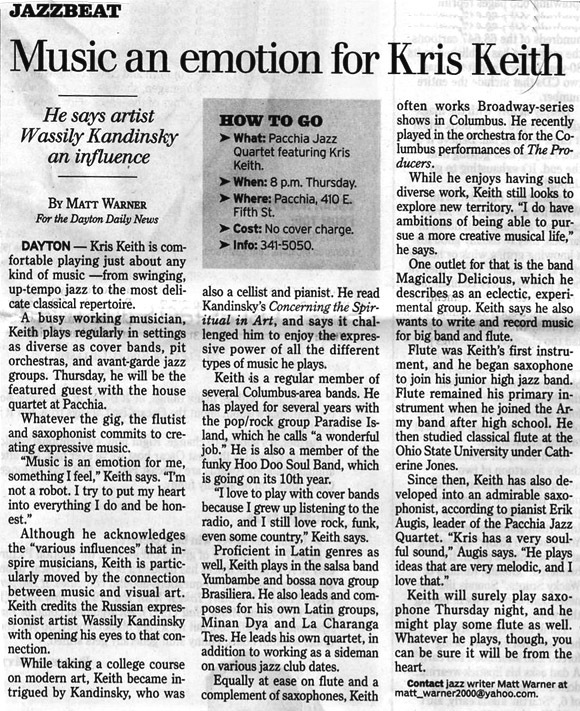 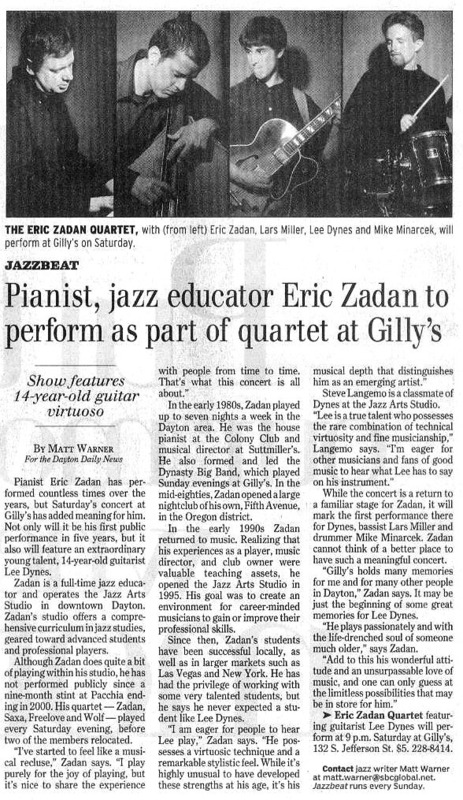 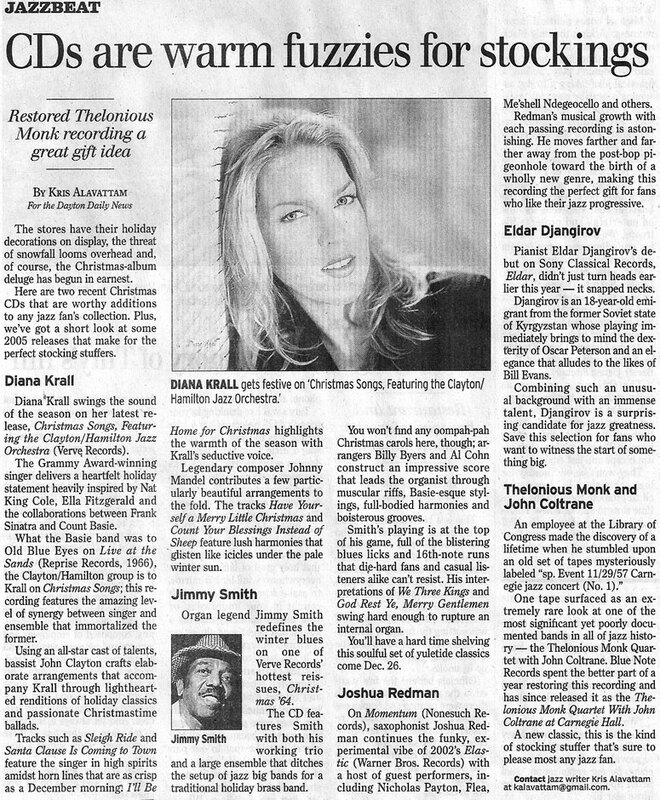 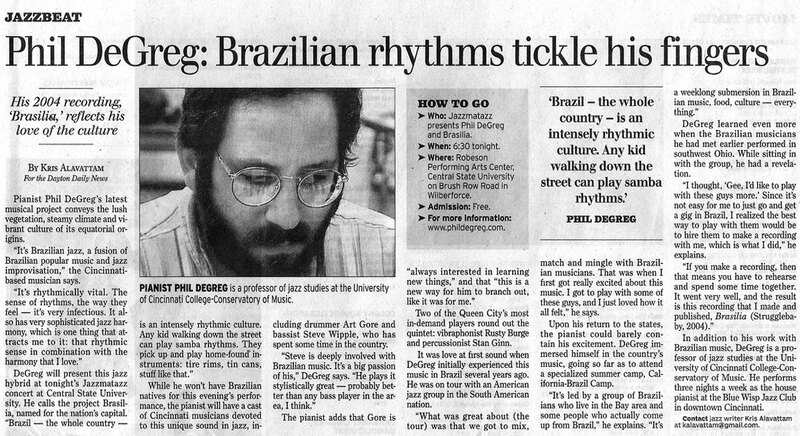 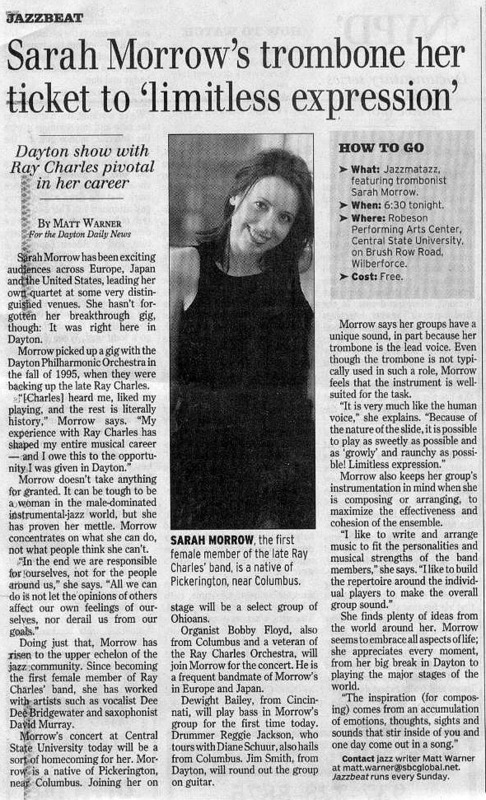 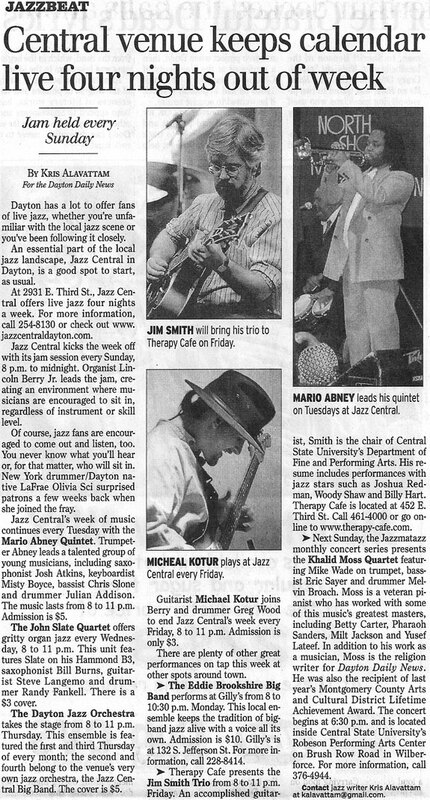 An advanced student at the Jazz Arts Studio, Kris succeeded Matt Warner as the writer of the Jazzbeat column upon Matt's departure to Missouri. 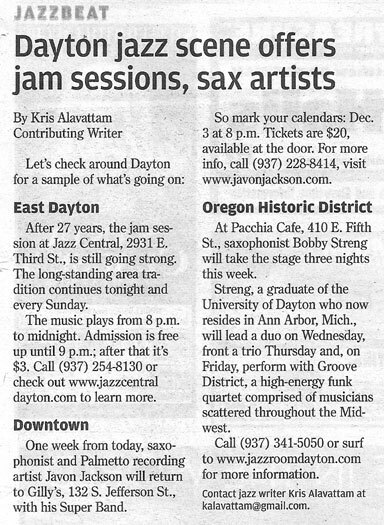 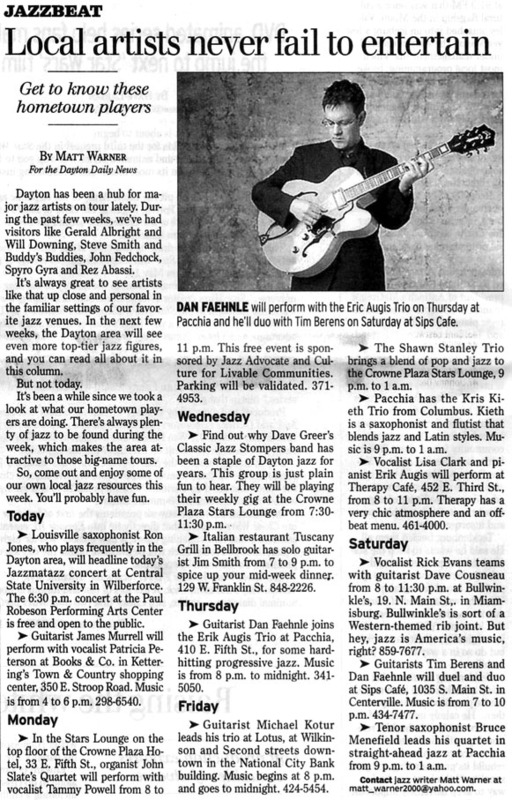 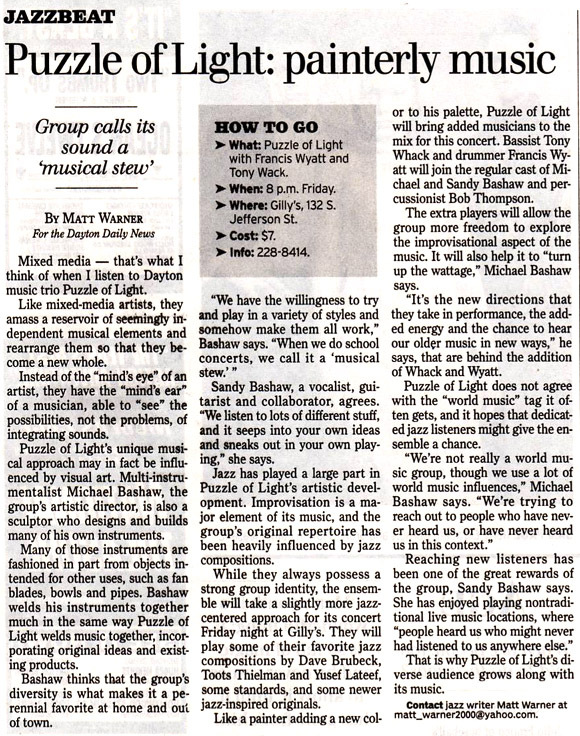 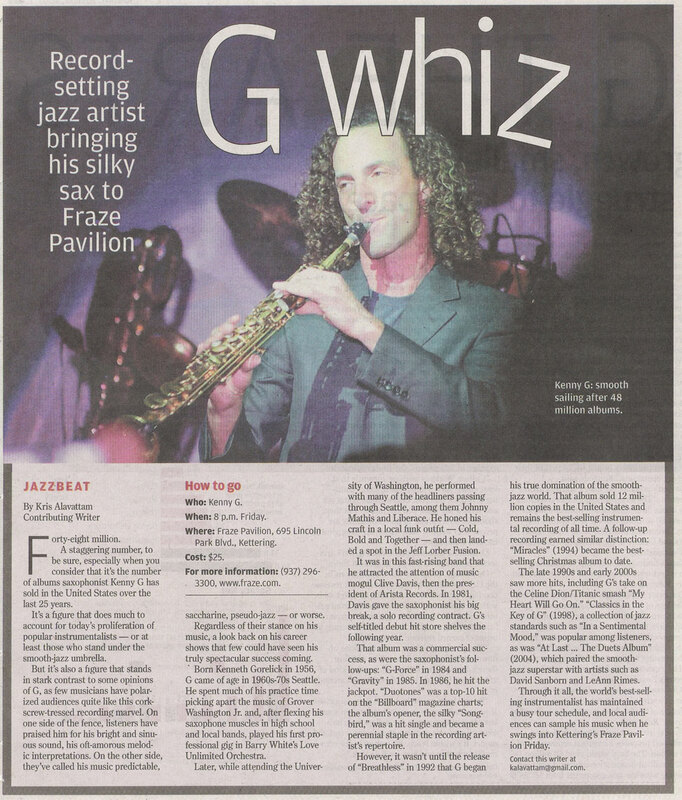 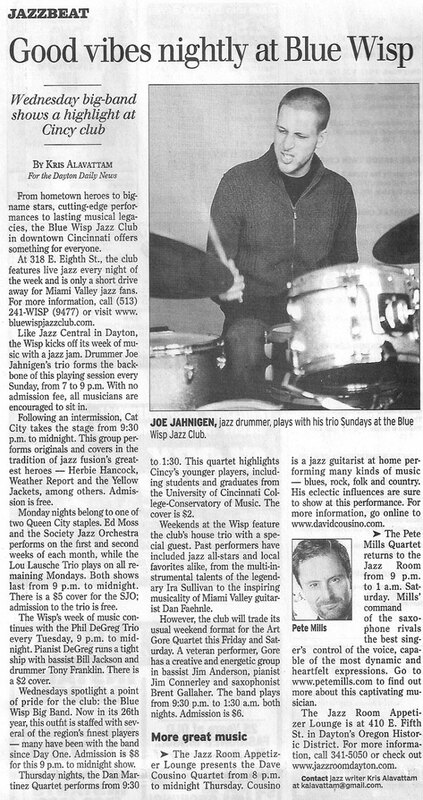 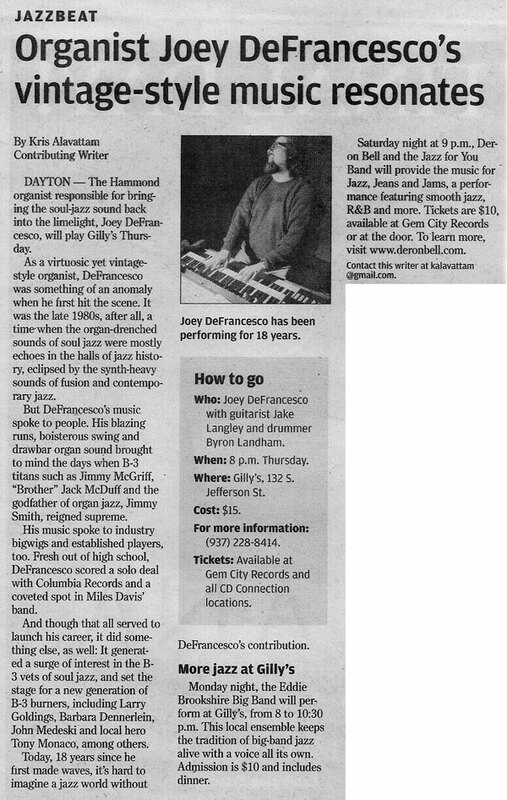 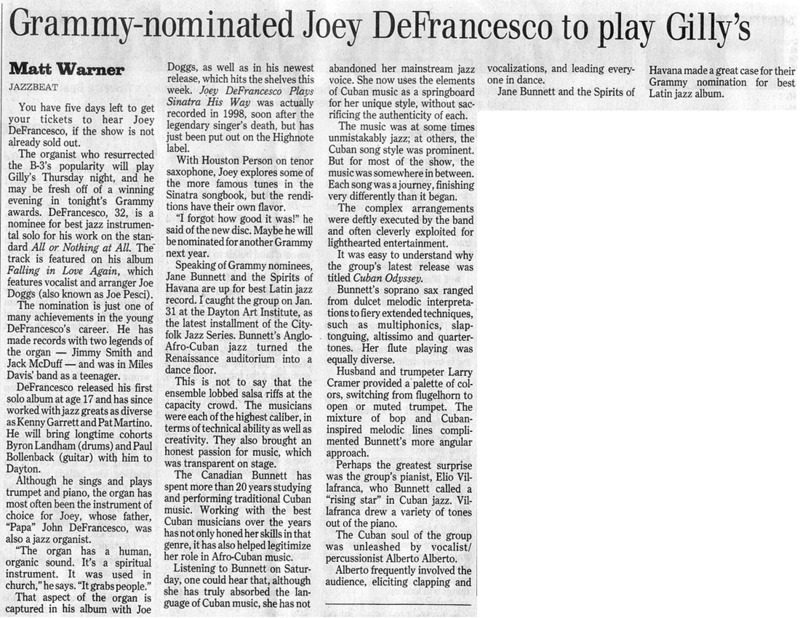 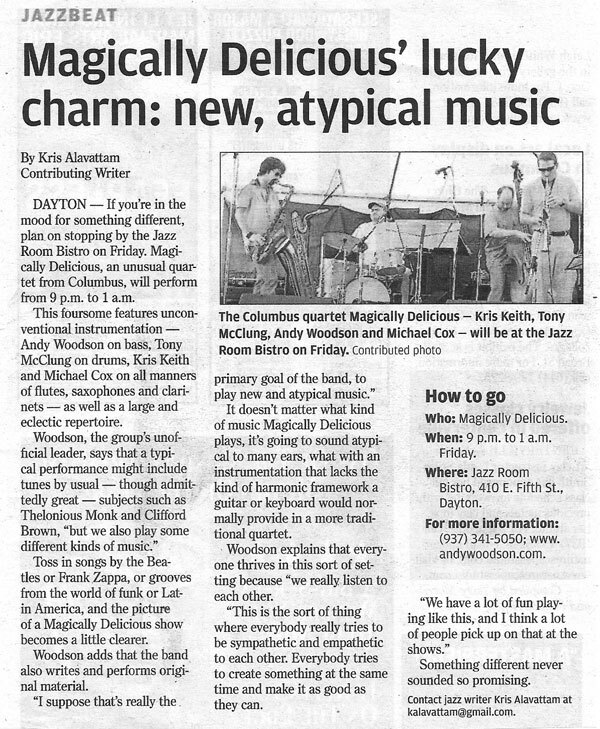 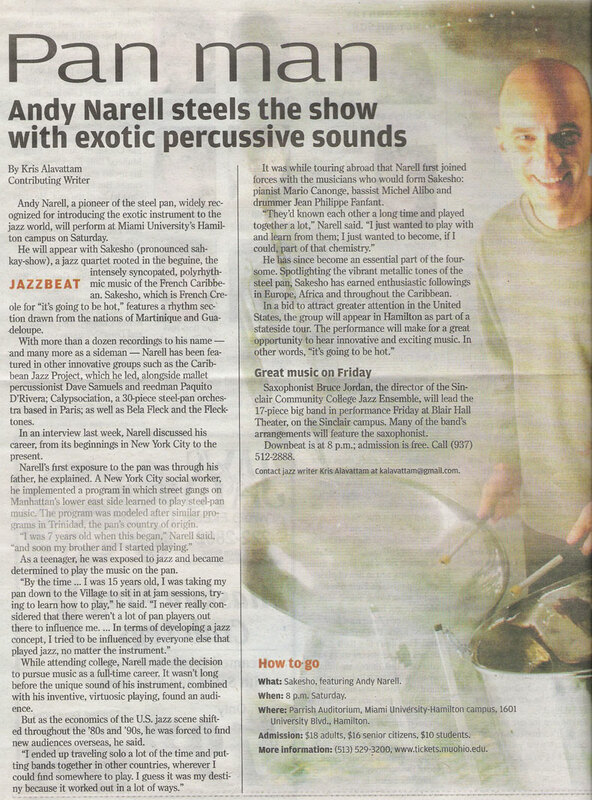 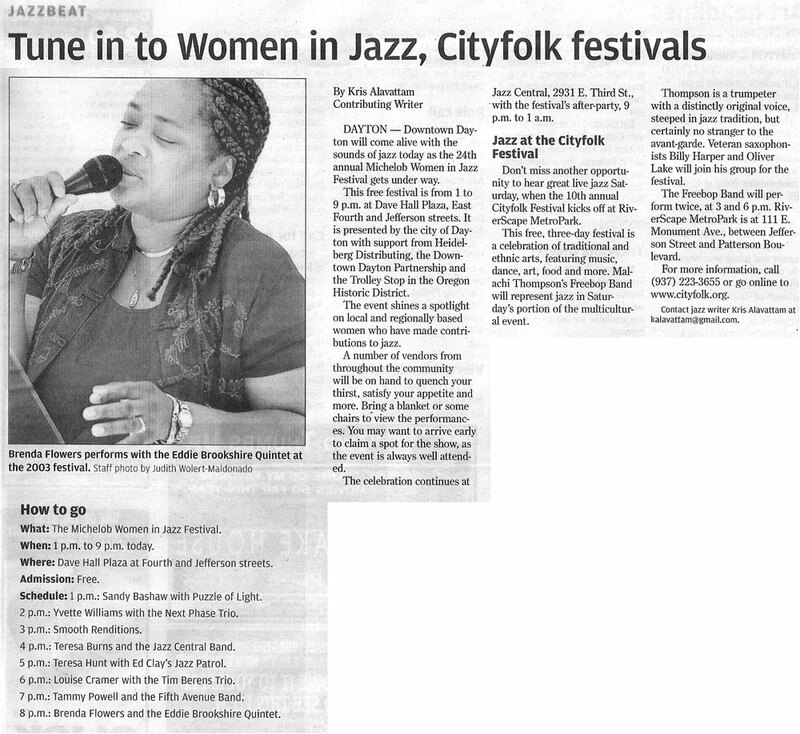 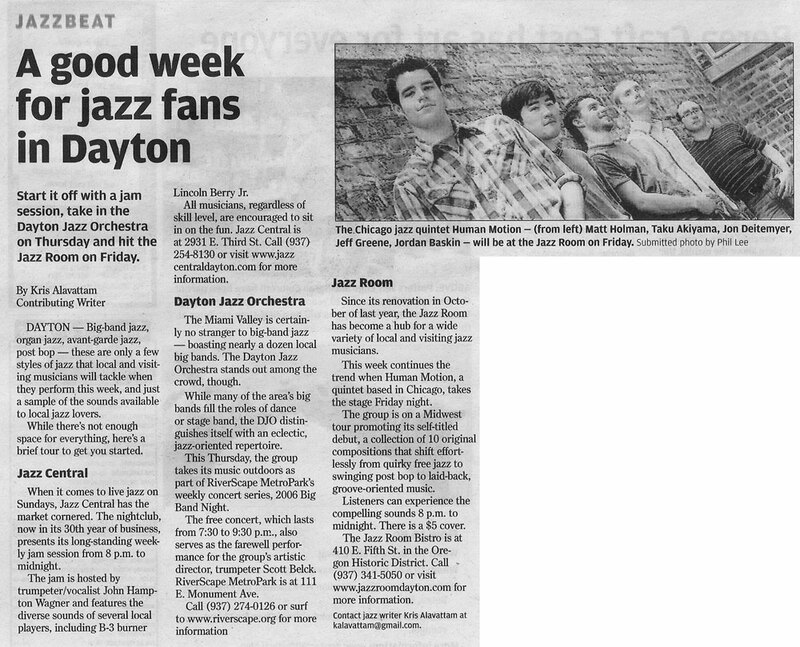 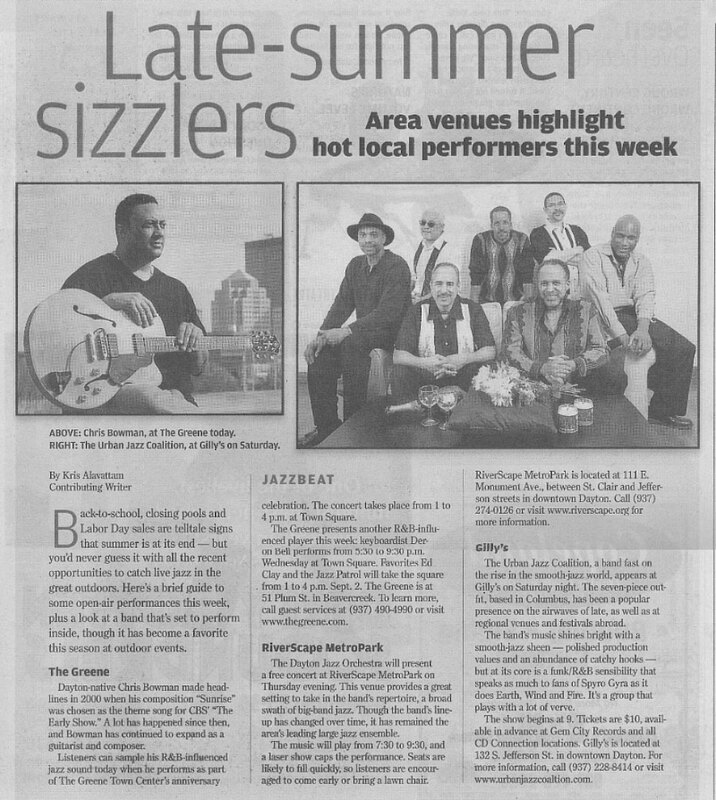 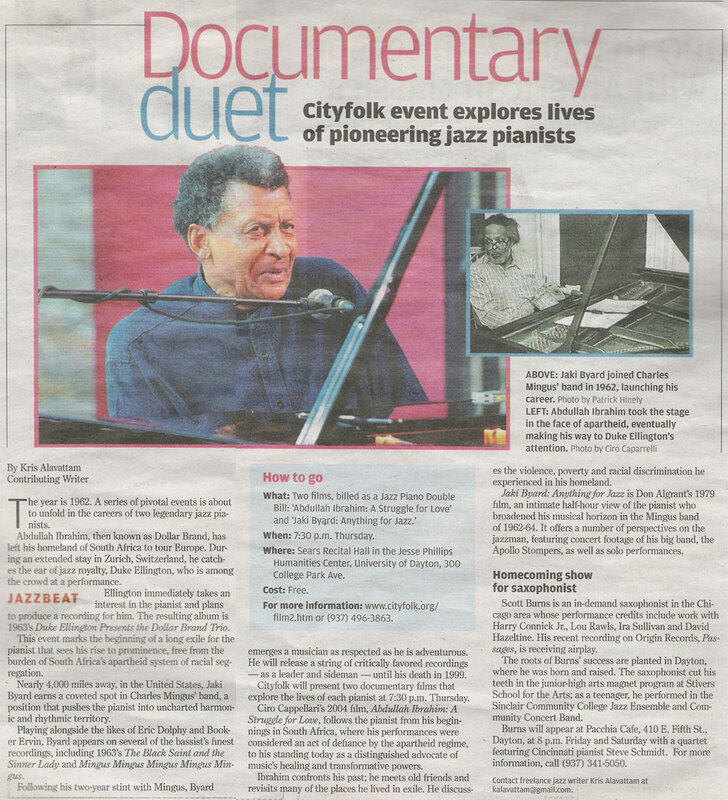 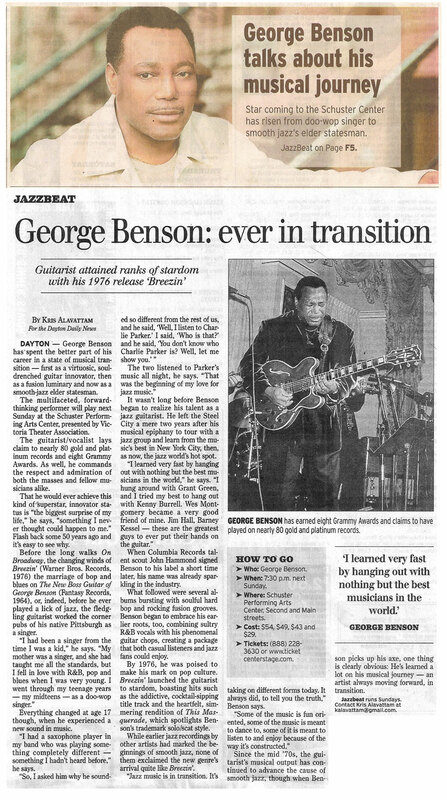 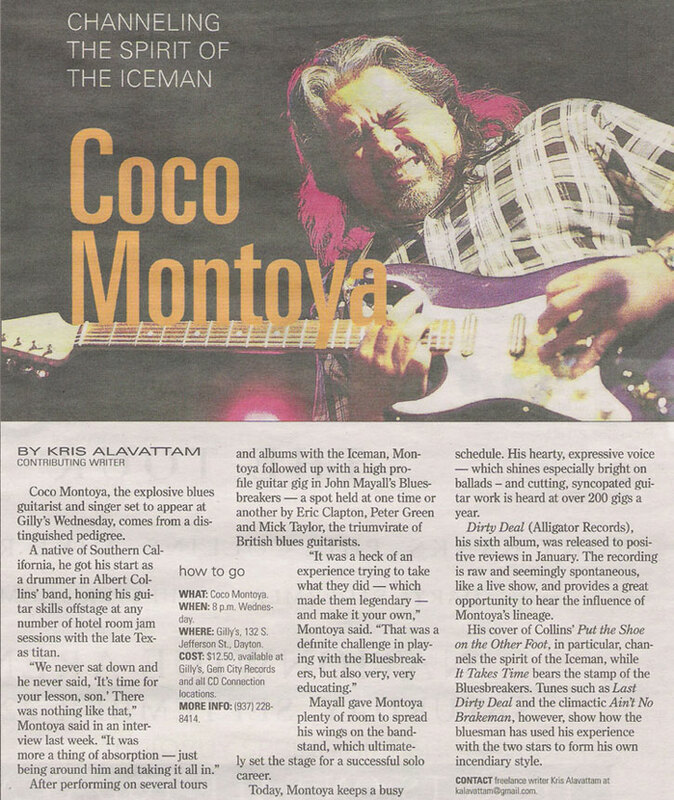 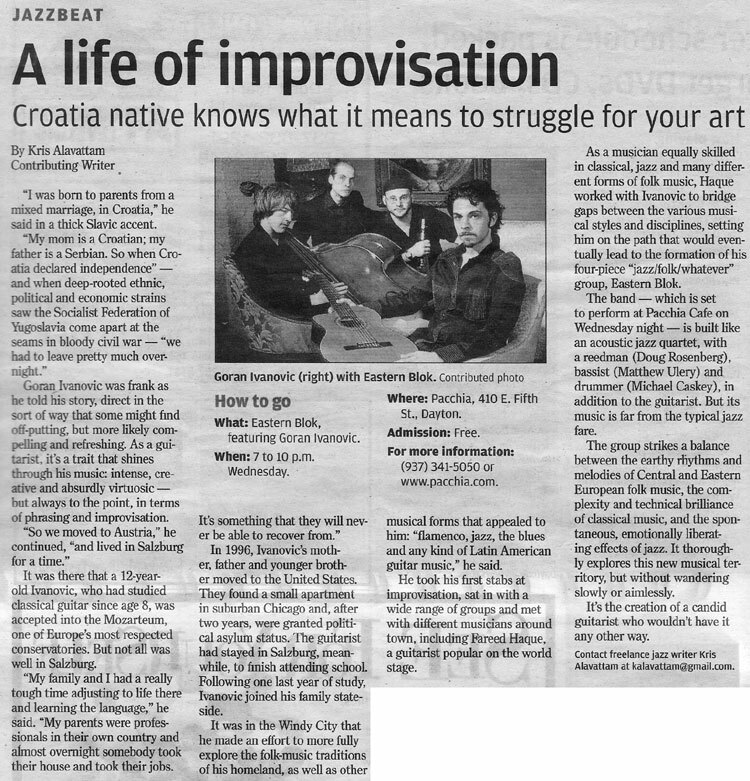 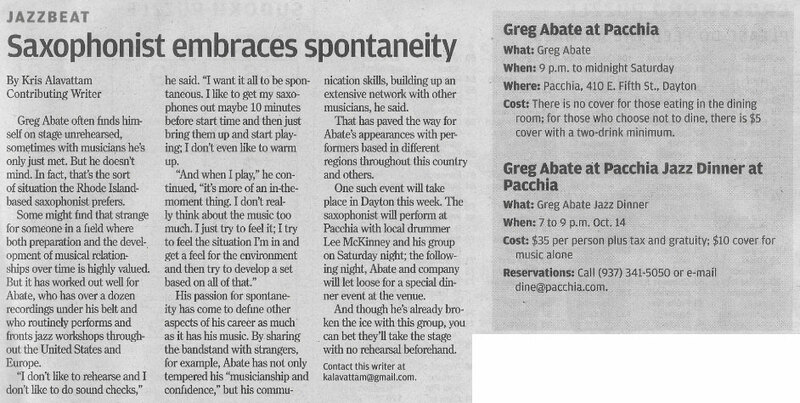 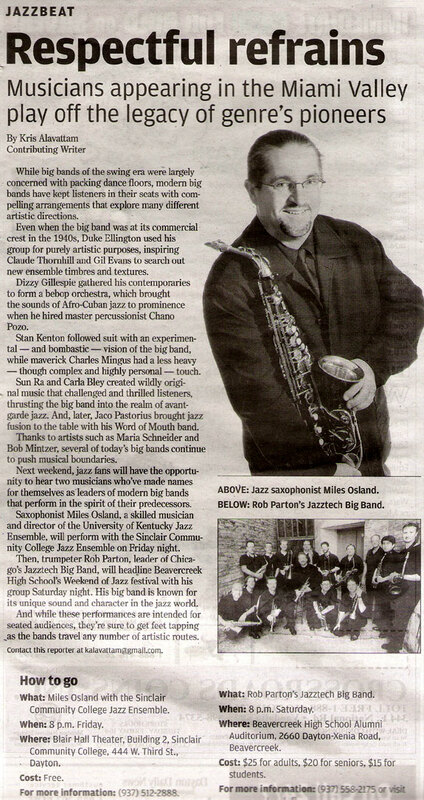 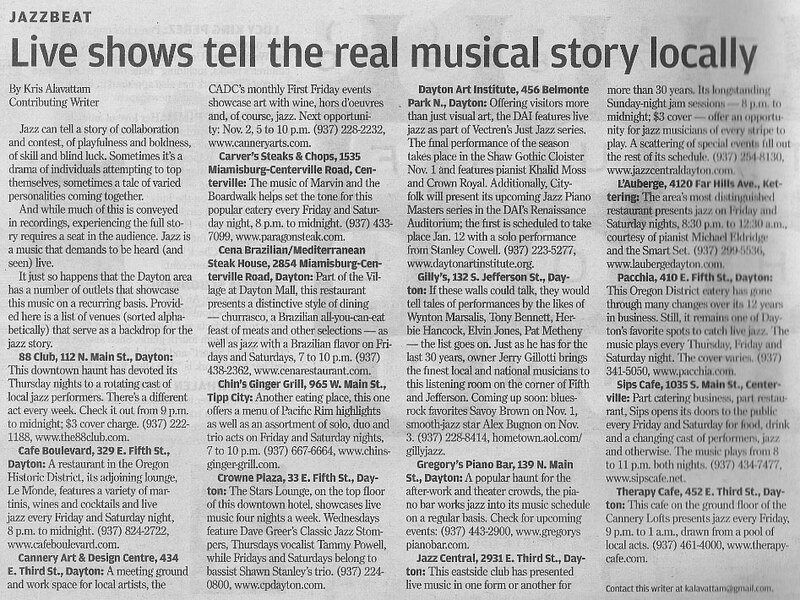 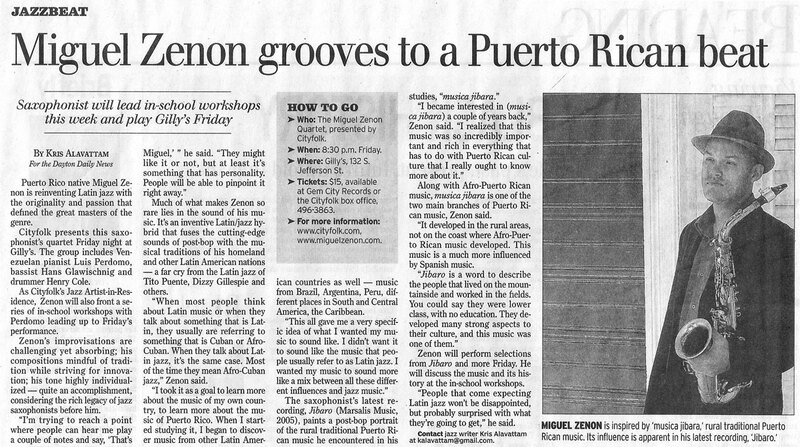 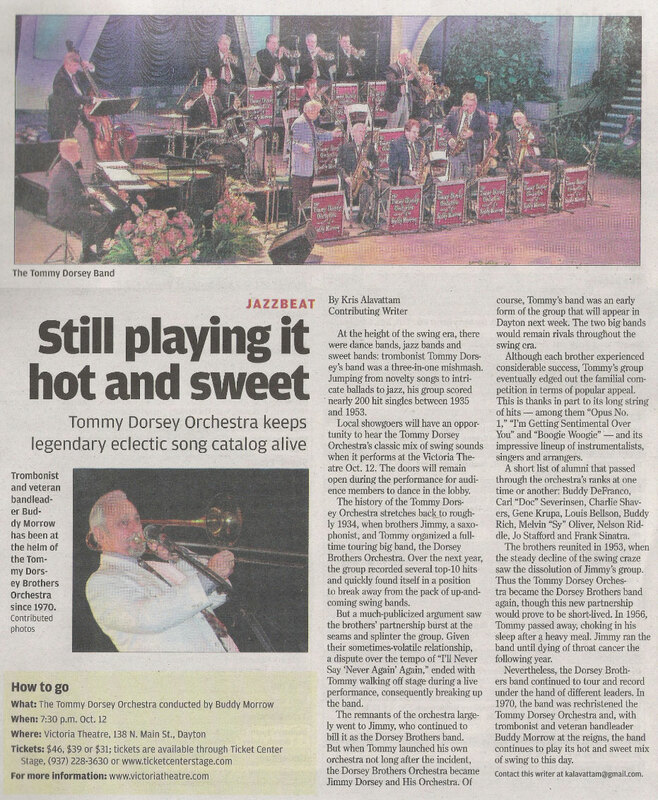 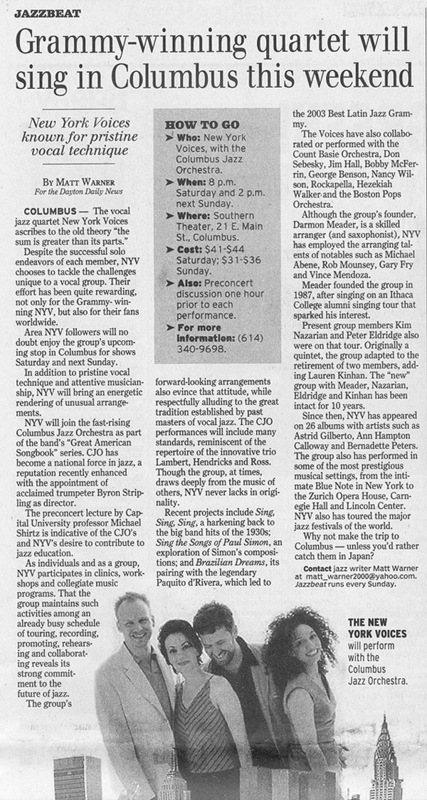 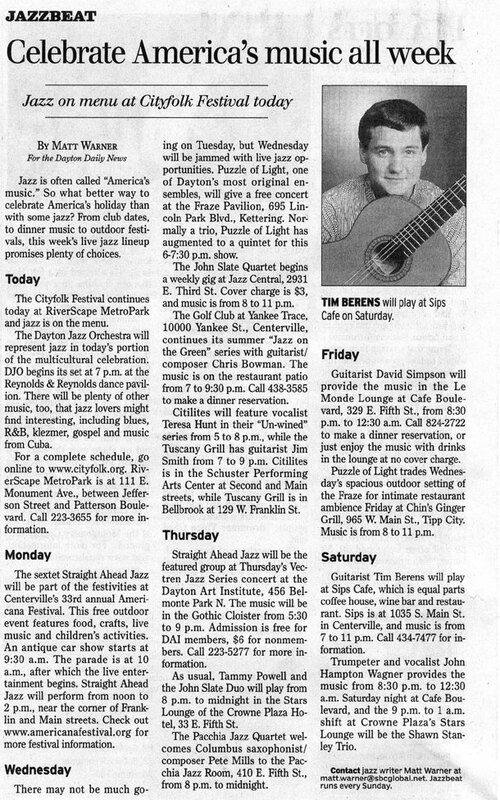 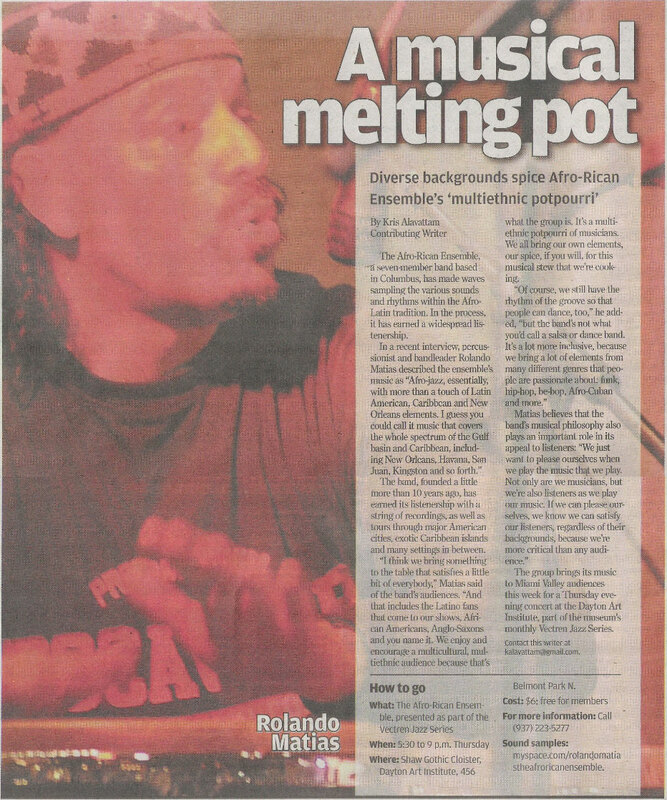 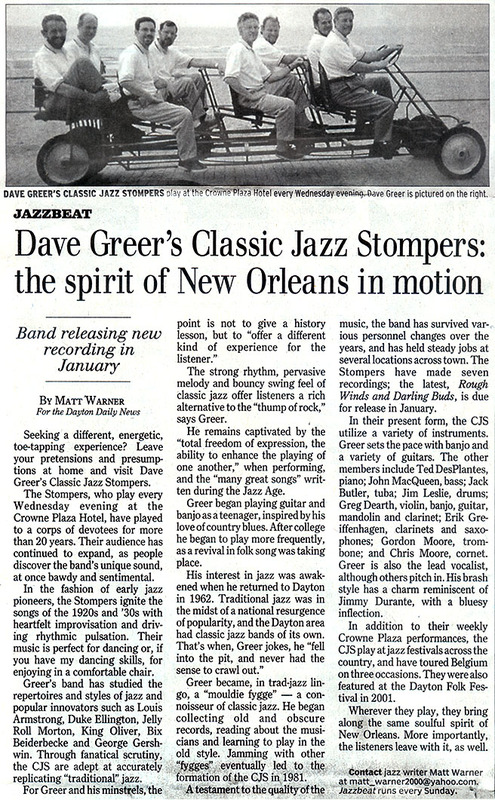 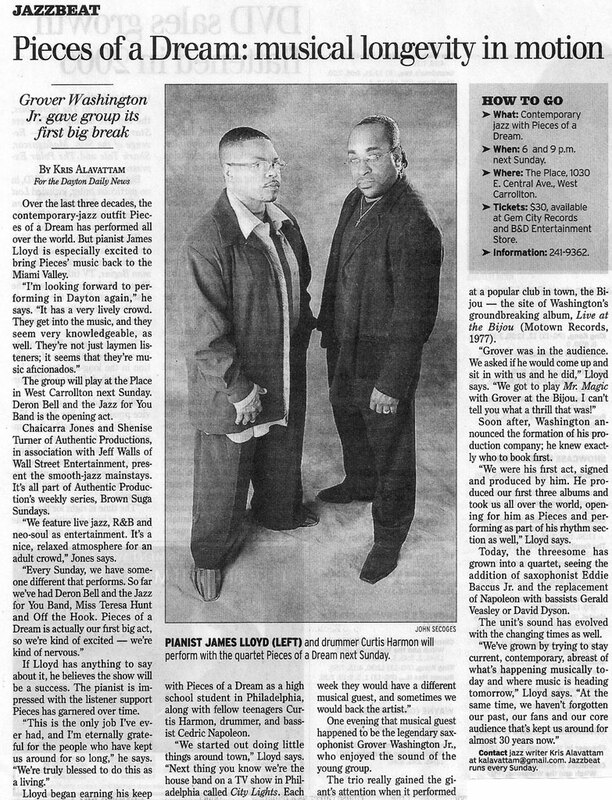 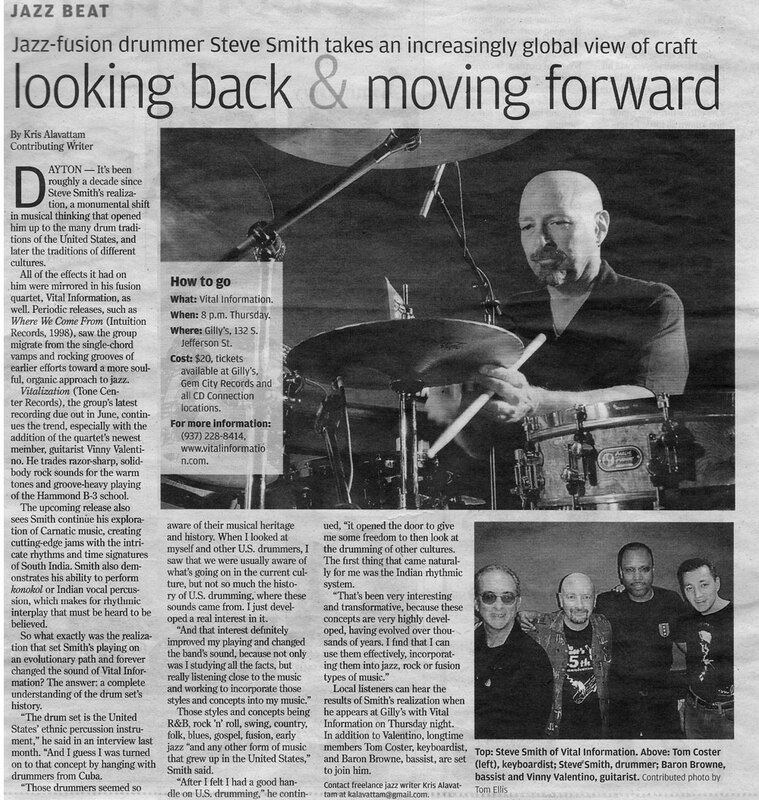 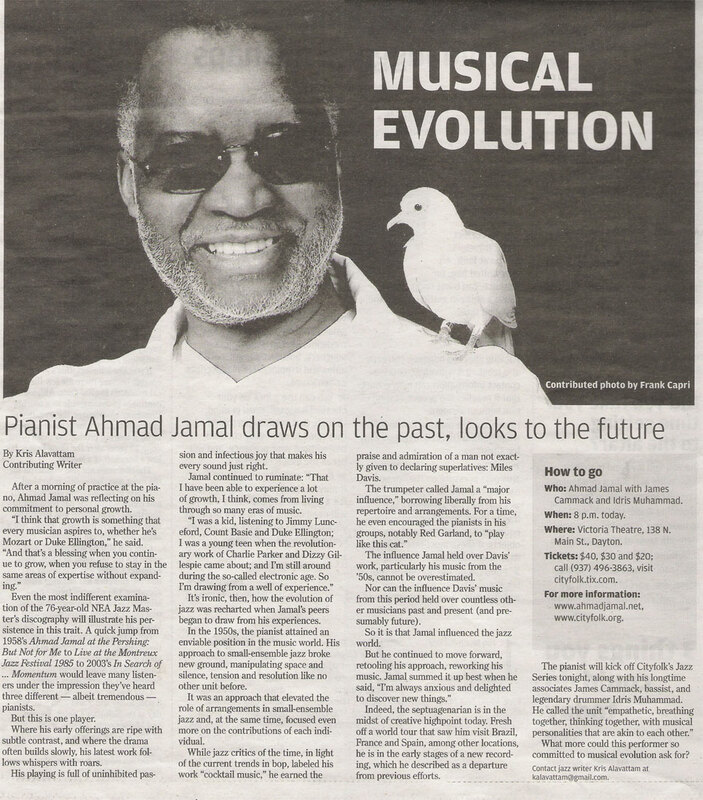 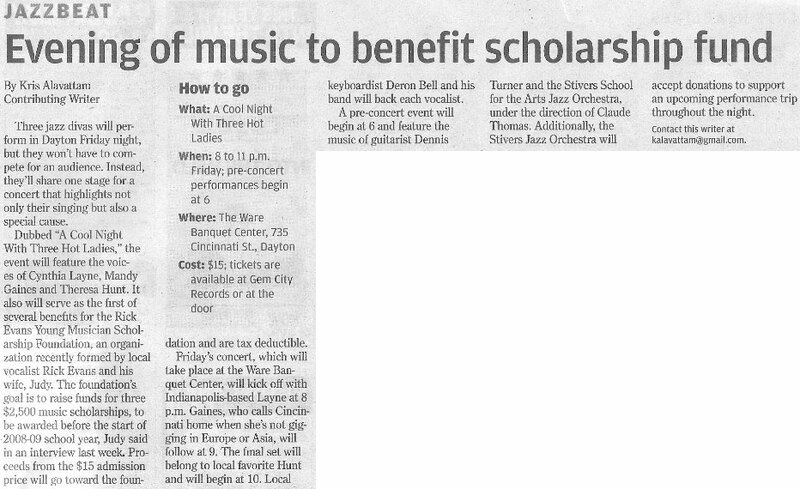 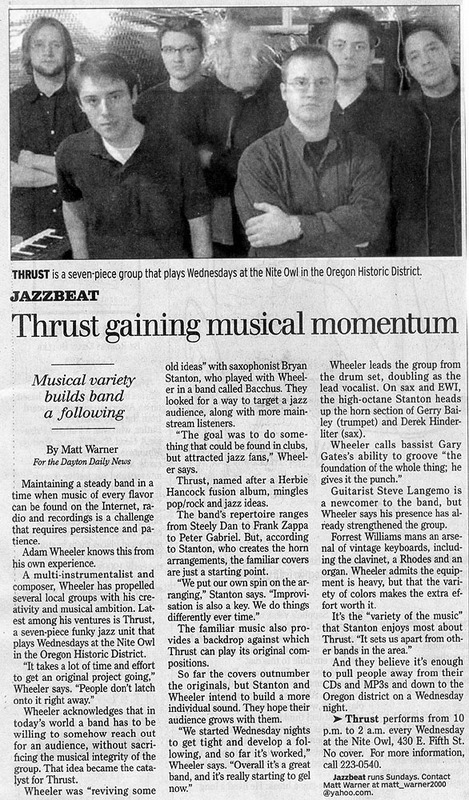 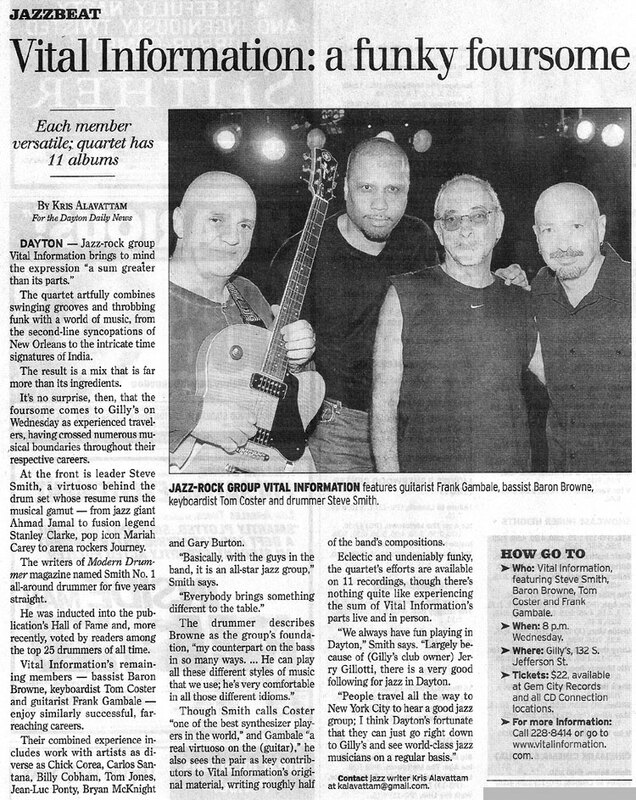 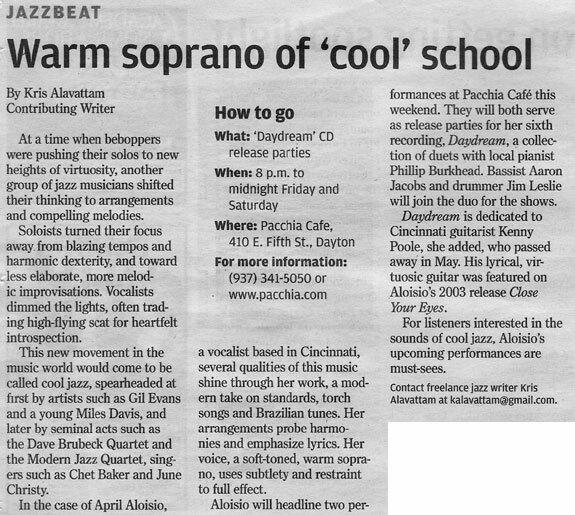 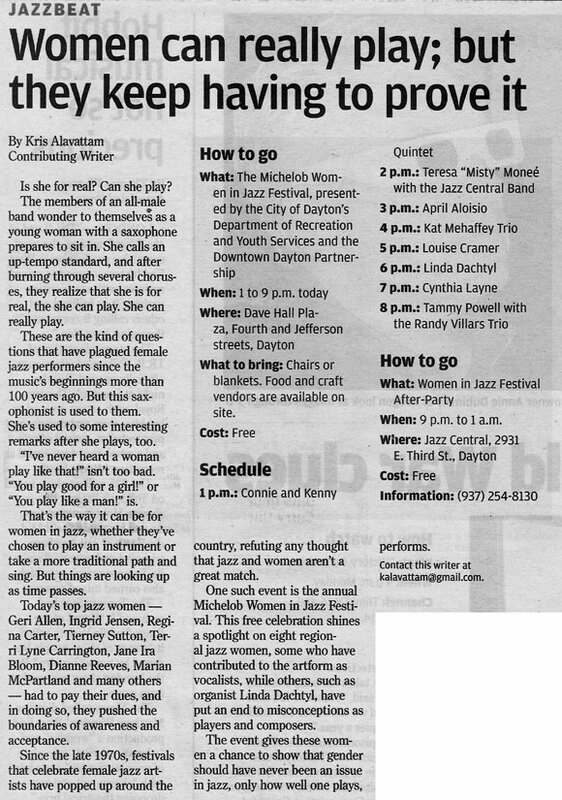 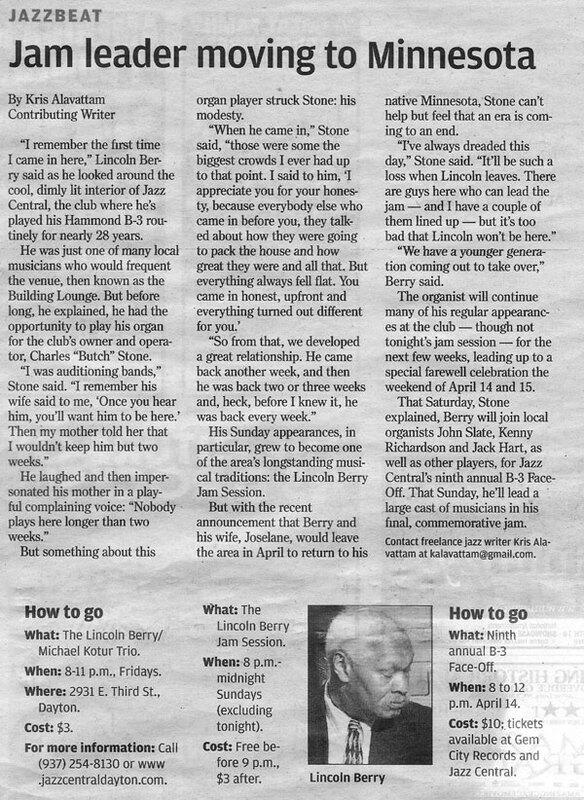 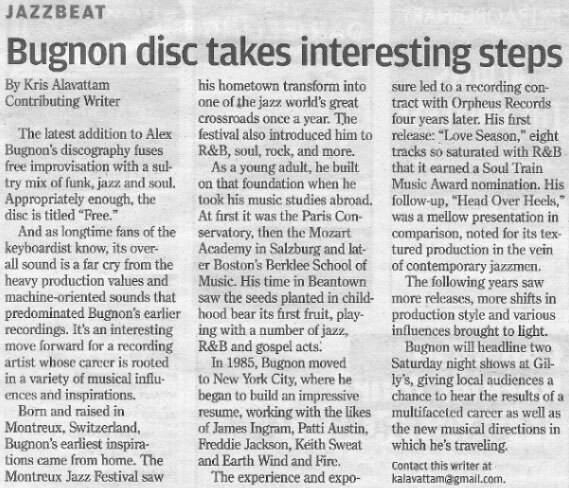 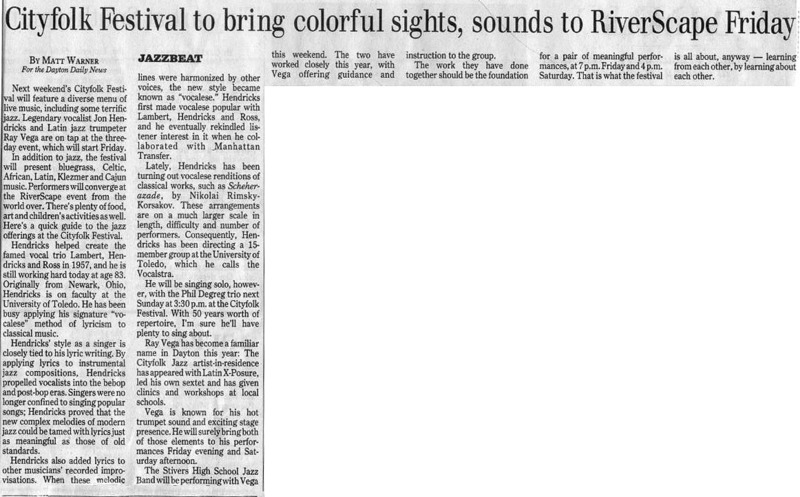 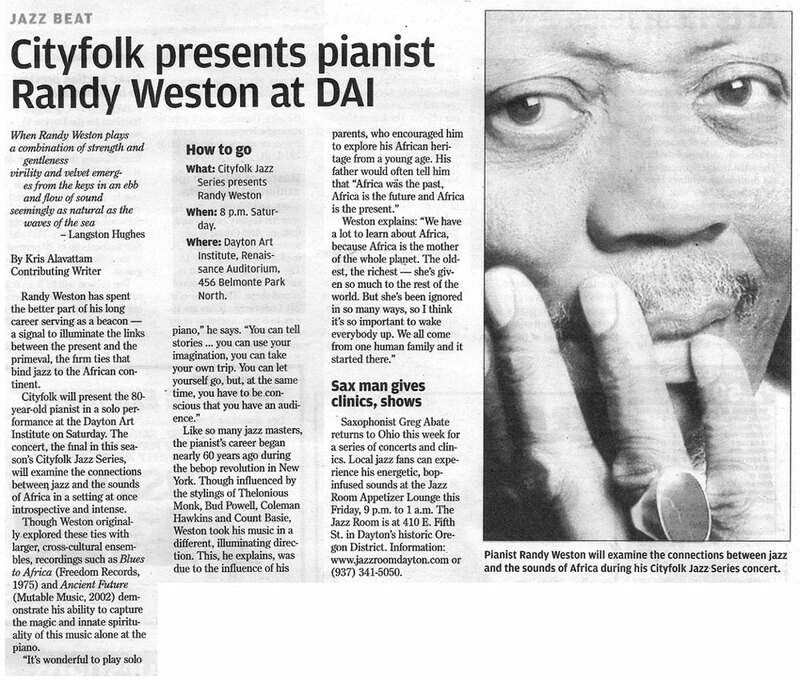 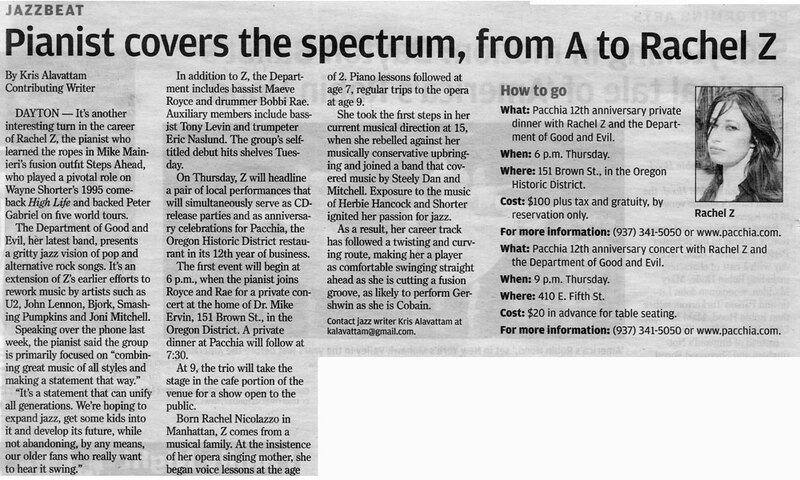 Jazzbeat appears every Sunday in the DDN. 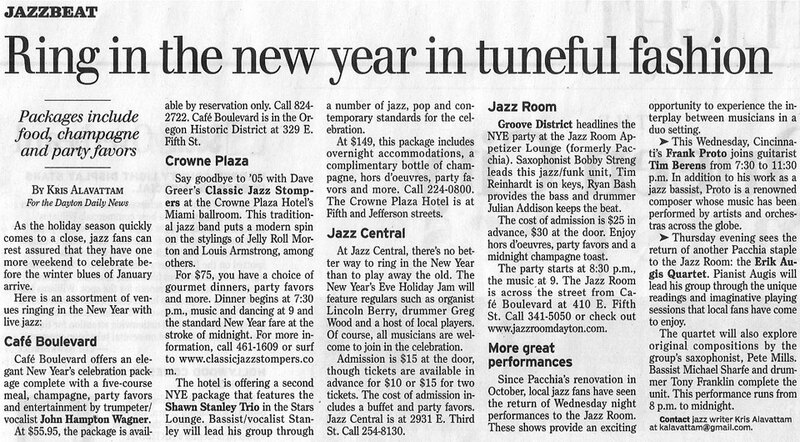 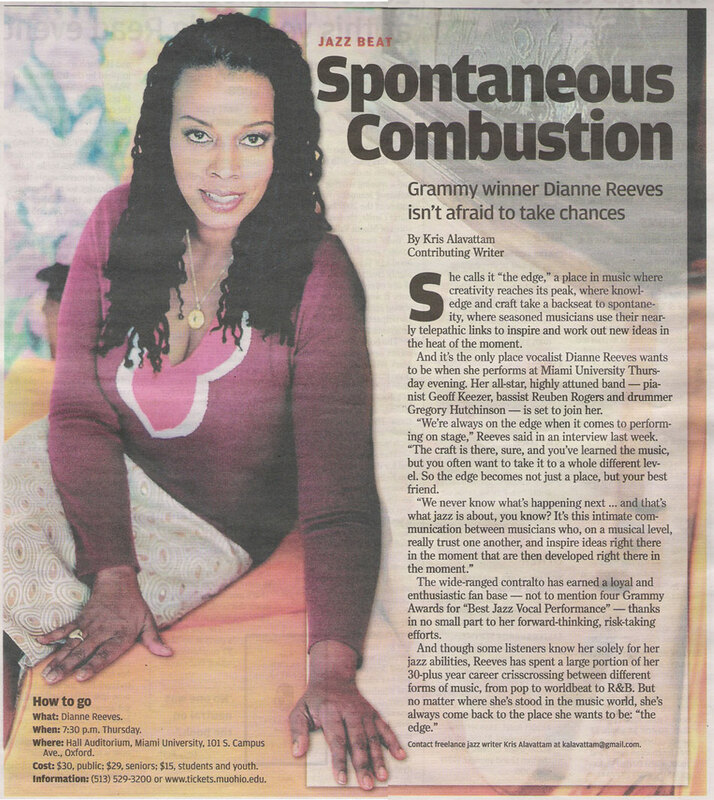 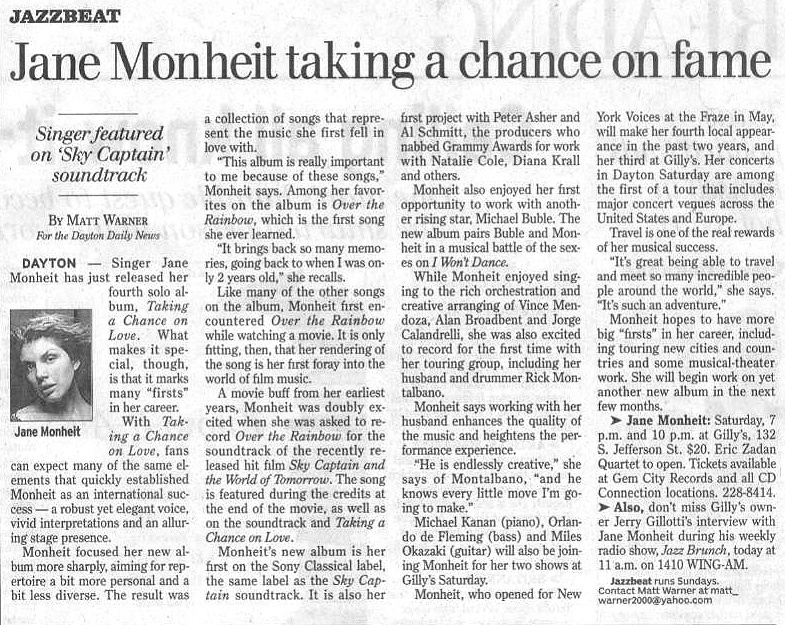 Click on the dates below to view each article. 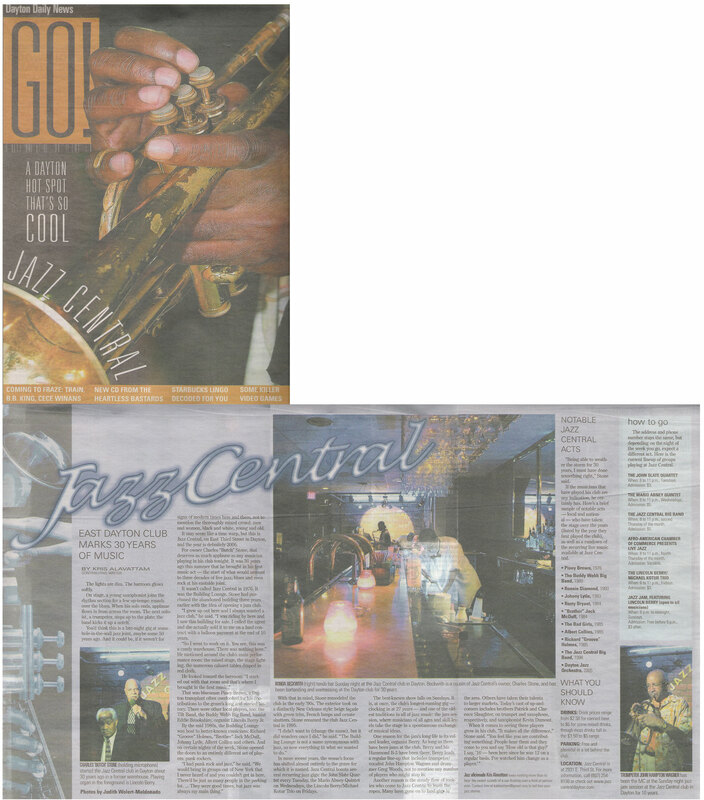 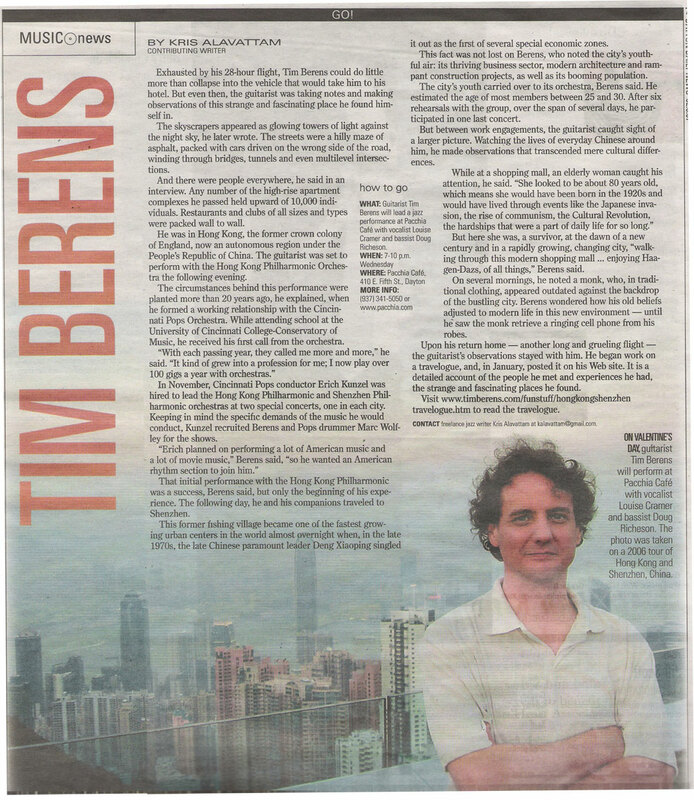 Note: If the column appears too small, hold your cursor over the JPEG image until a box appears. 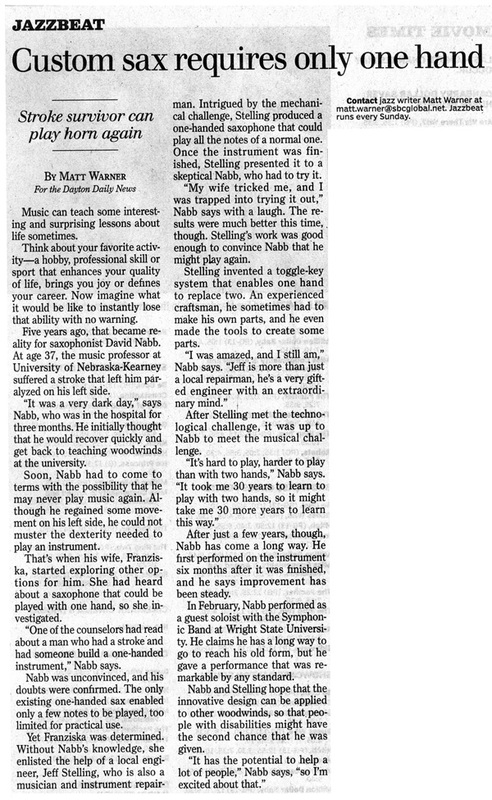 Click on this box to enlarge the article. 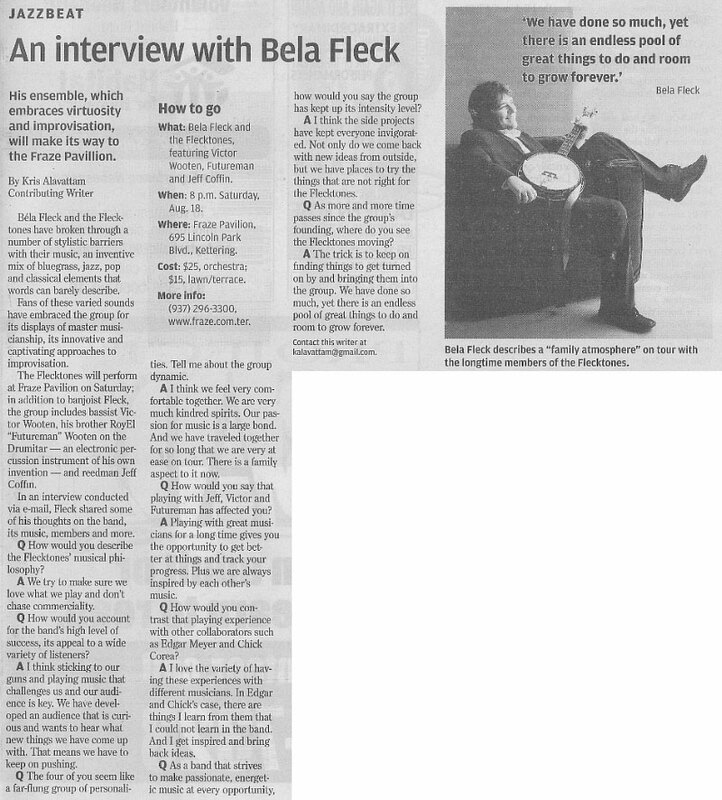 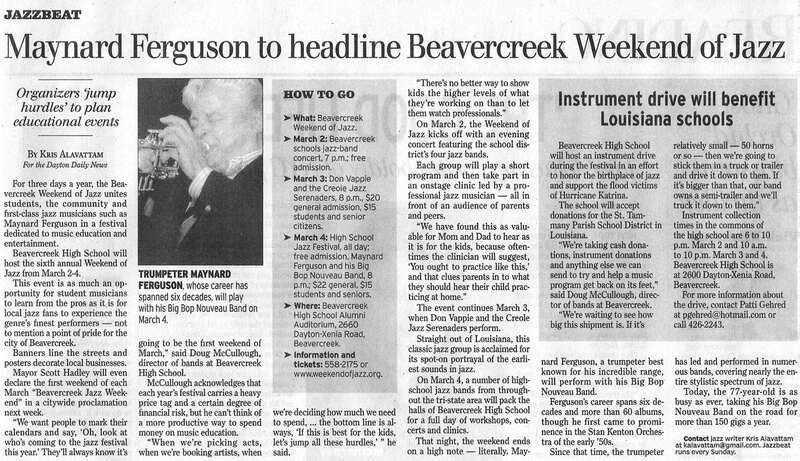 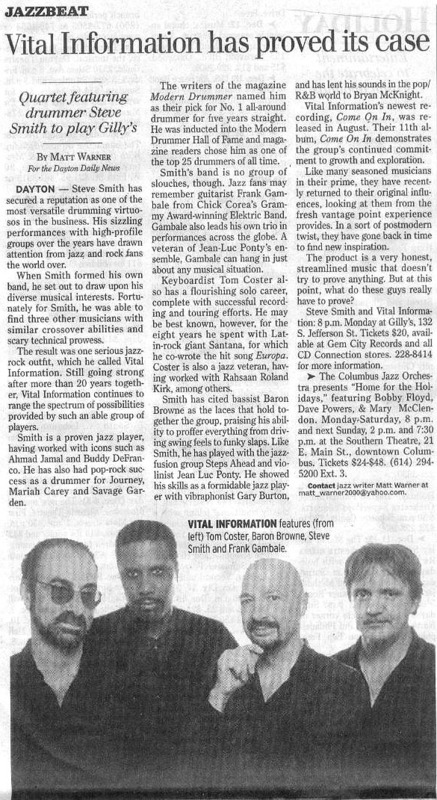 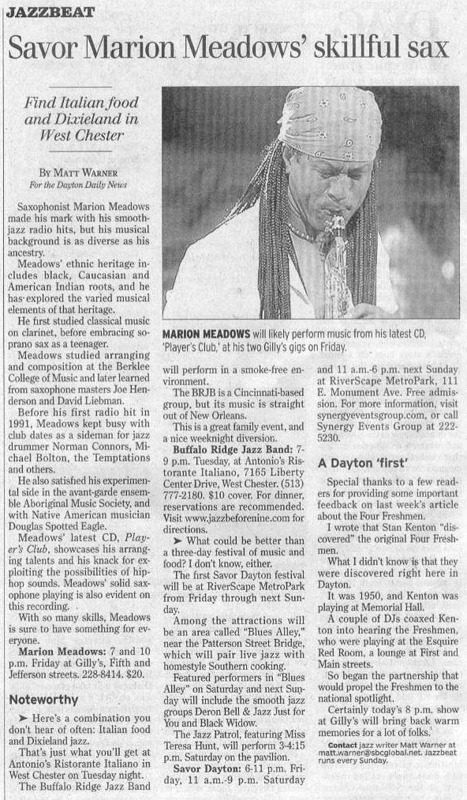 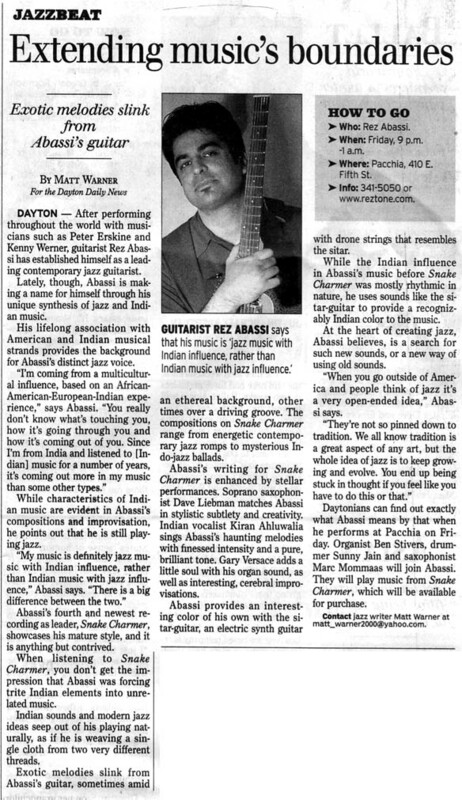 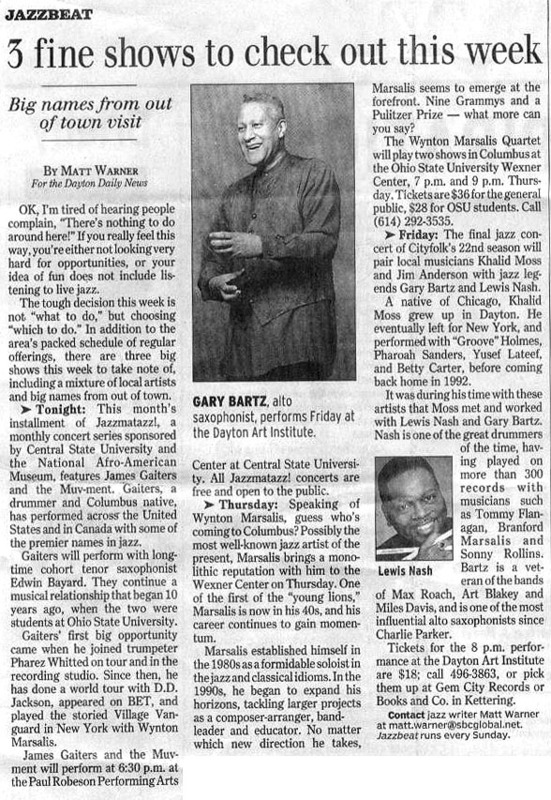 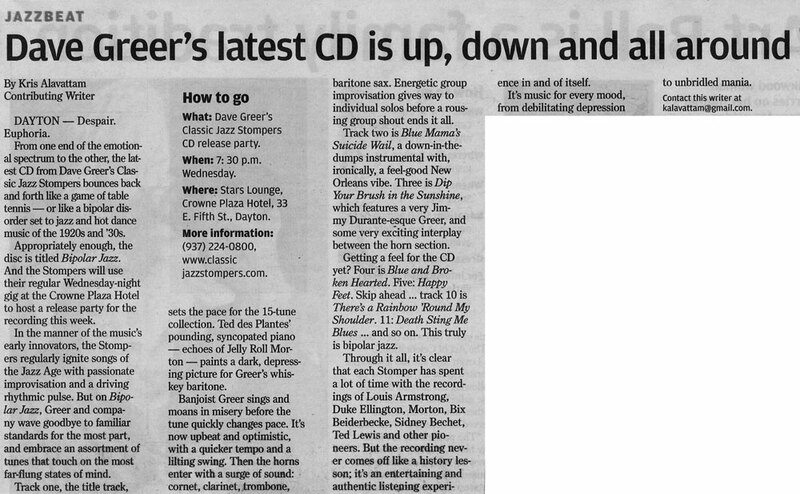 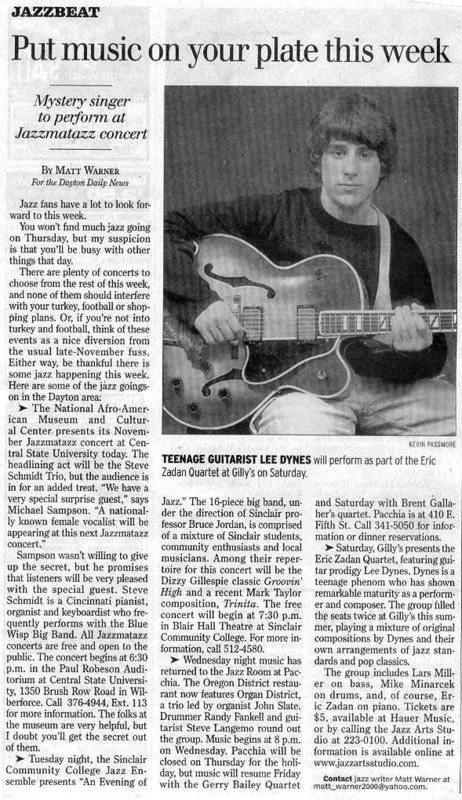 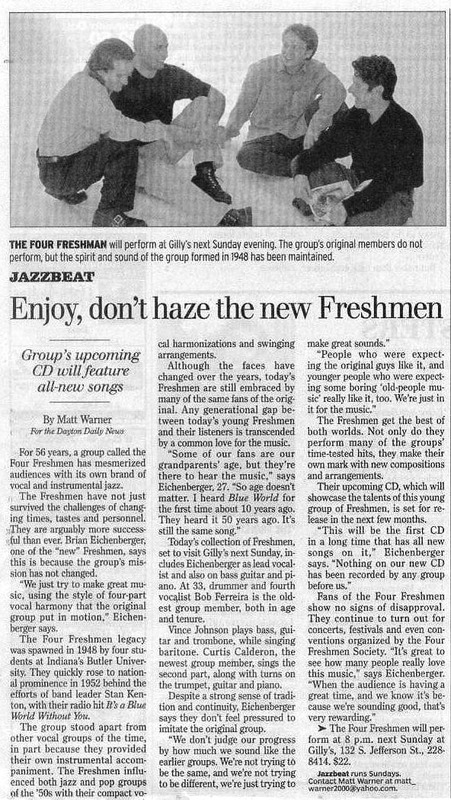 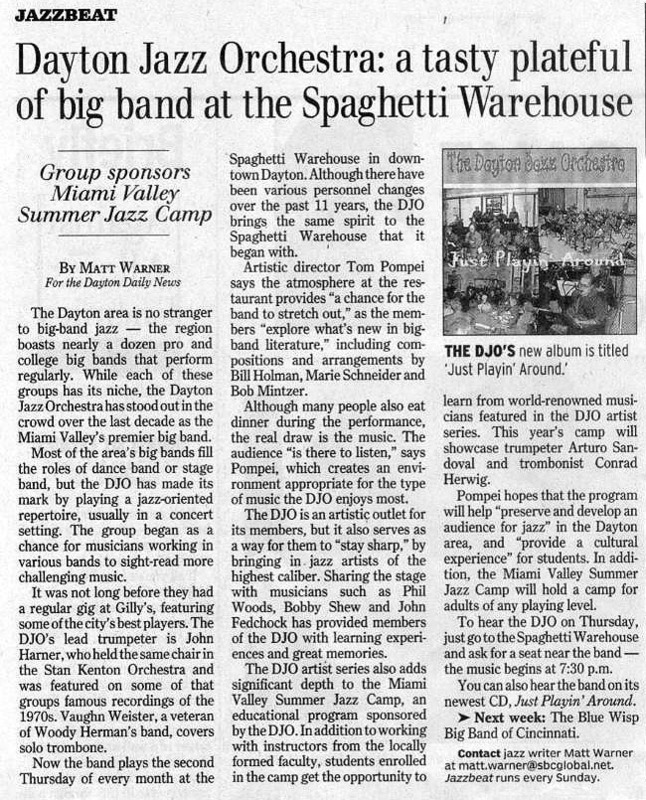 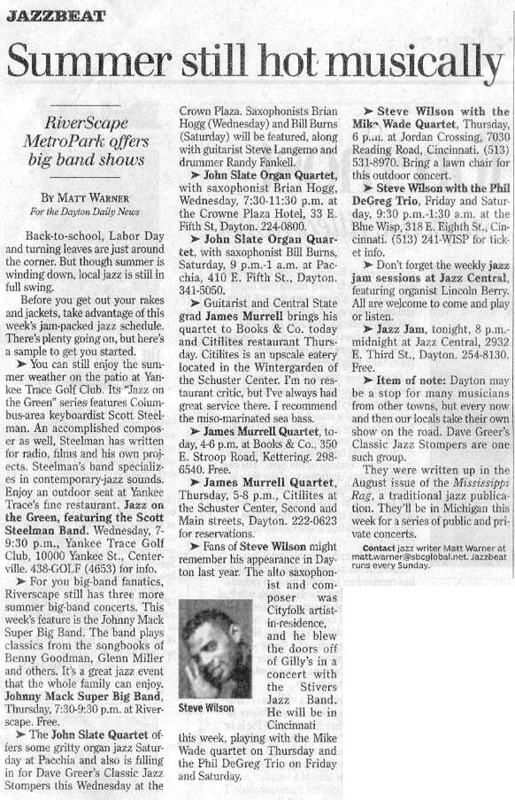 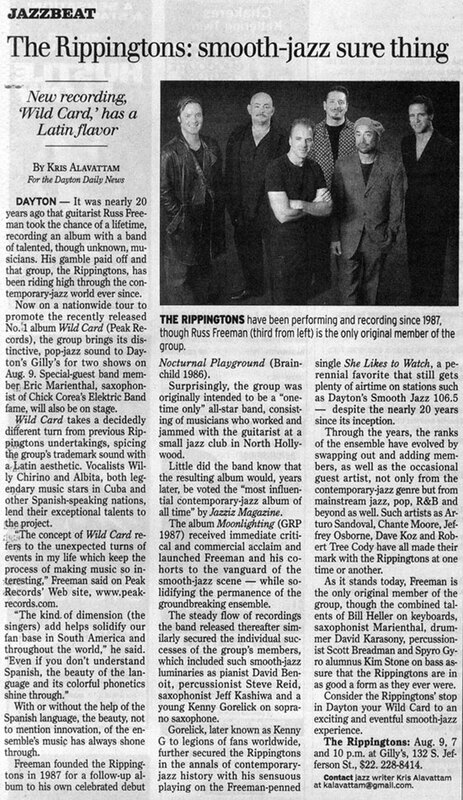 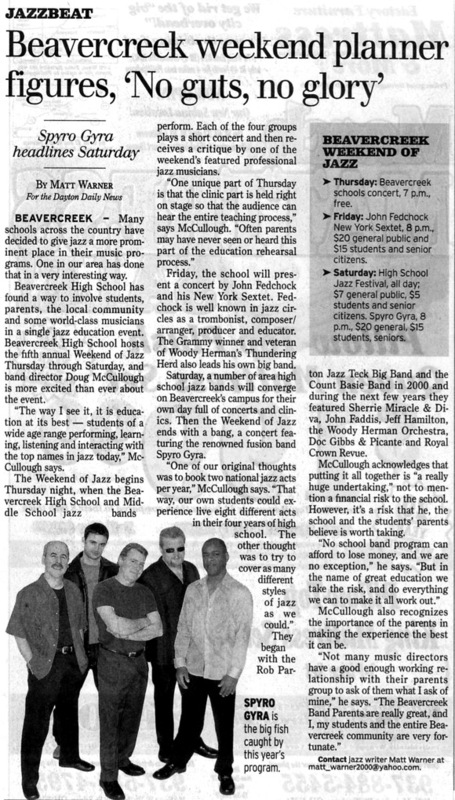 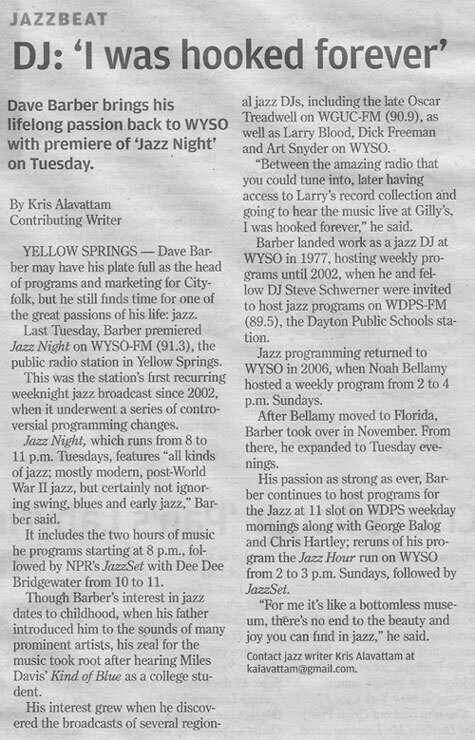 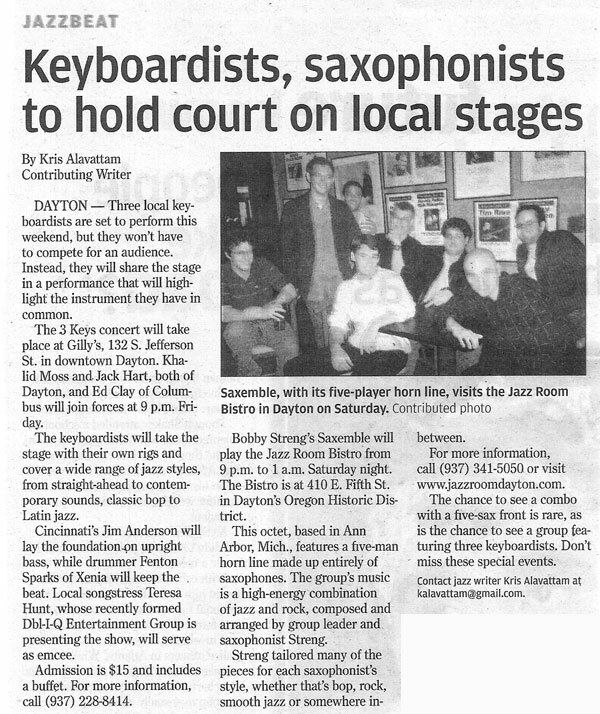 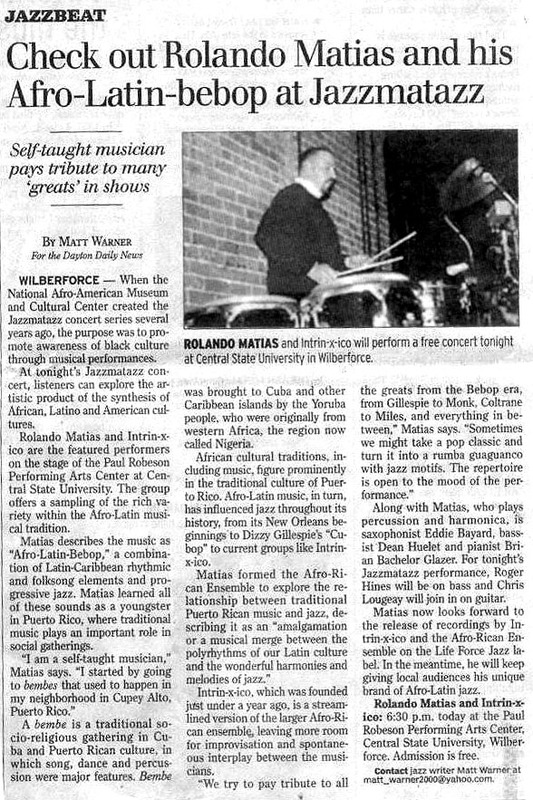 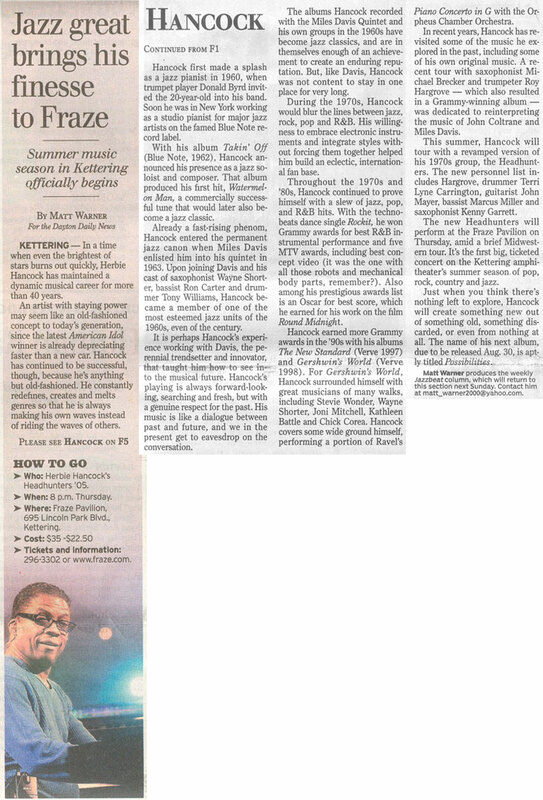 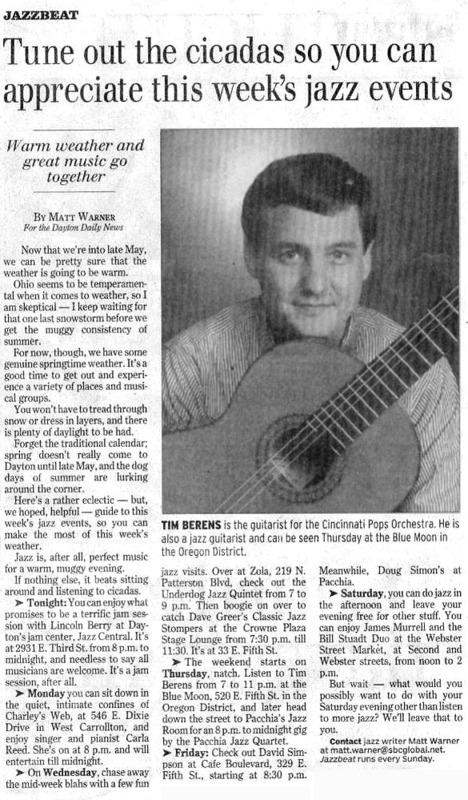 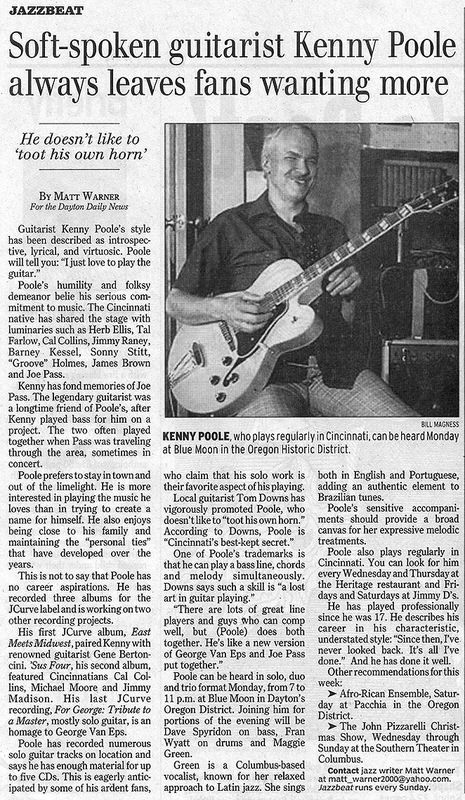 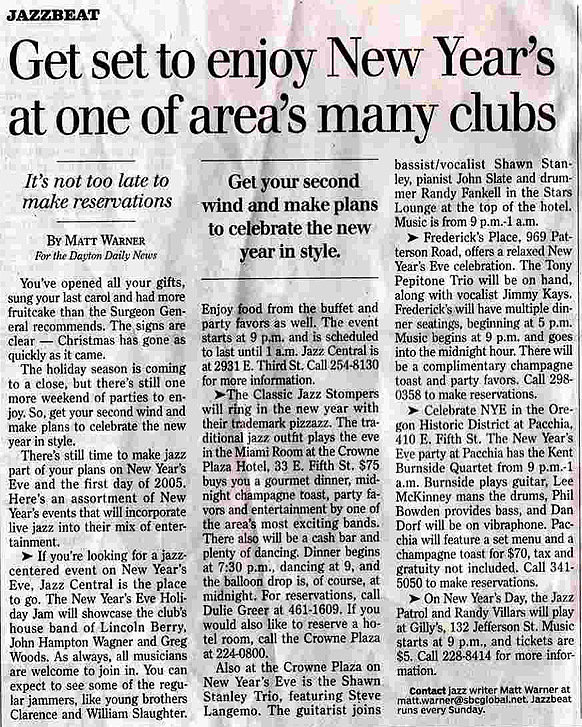 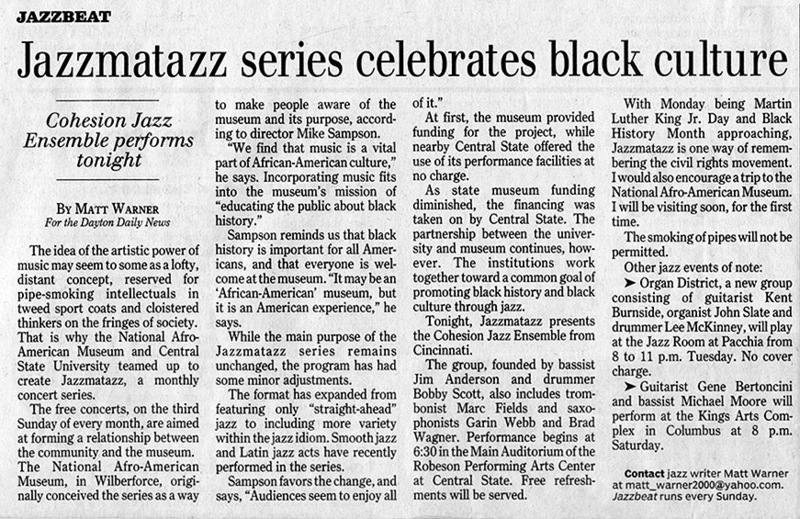 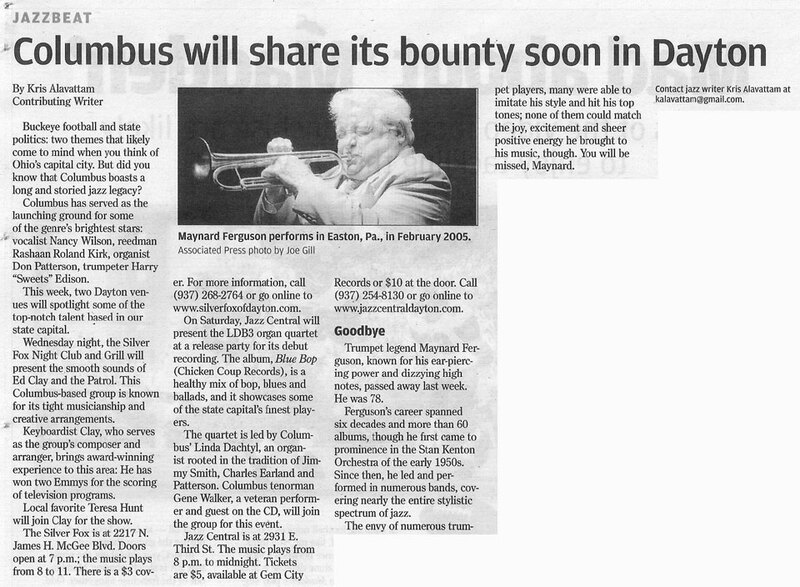 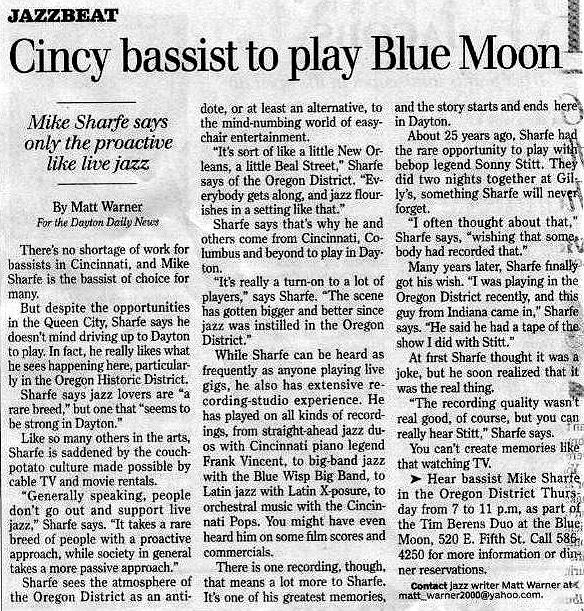 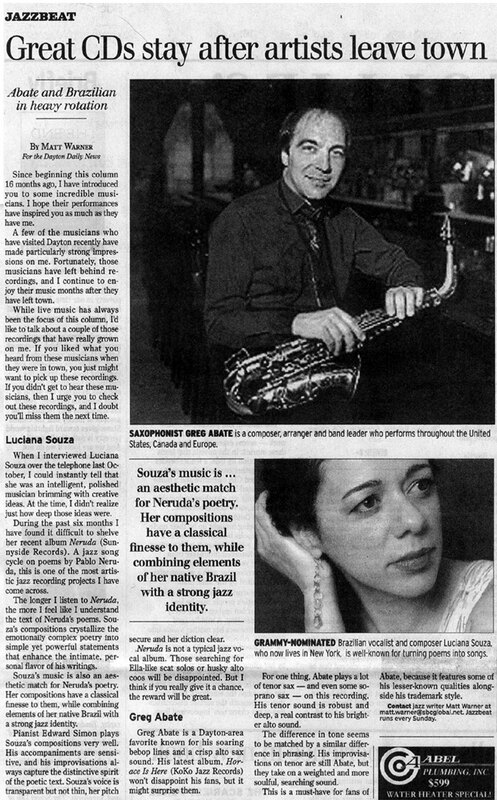 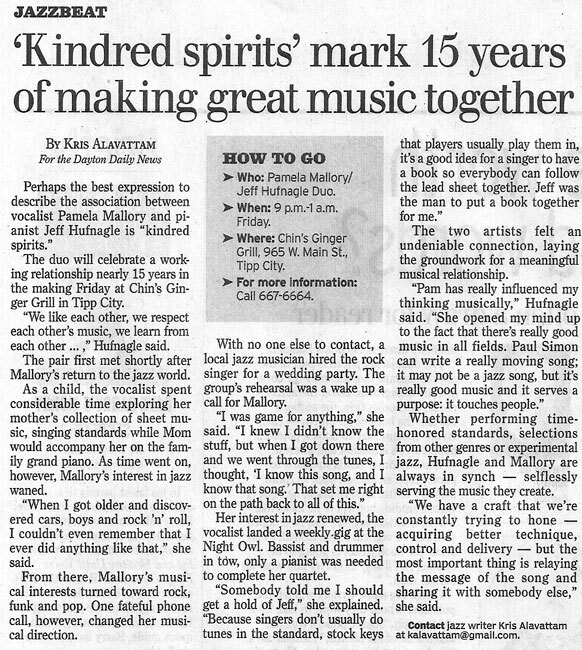 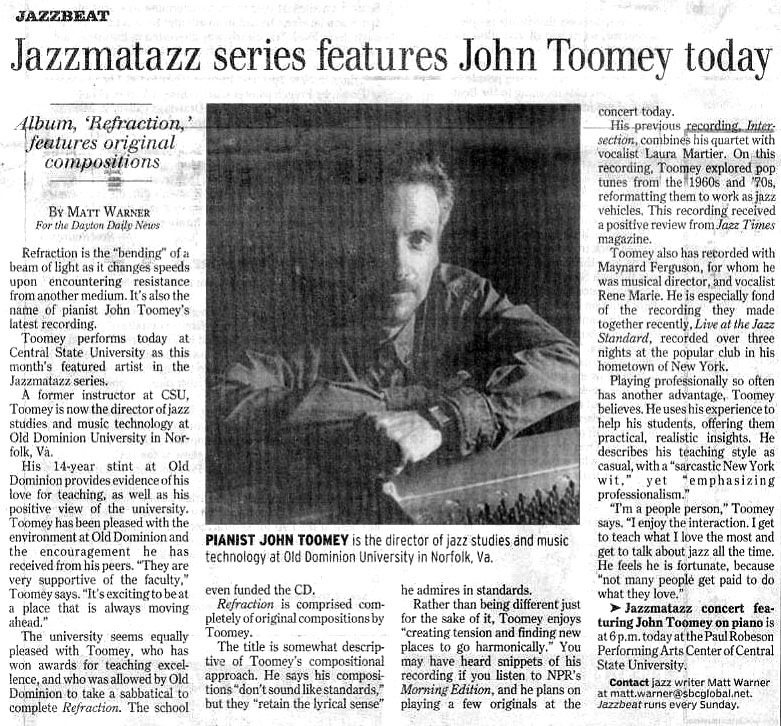 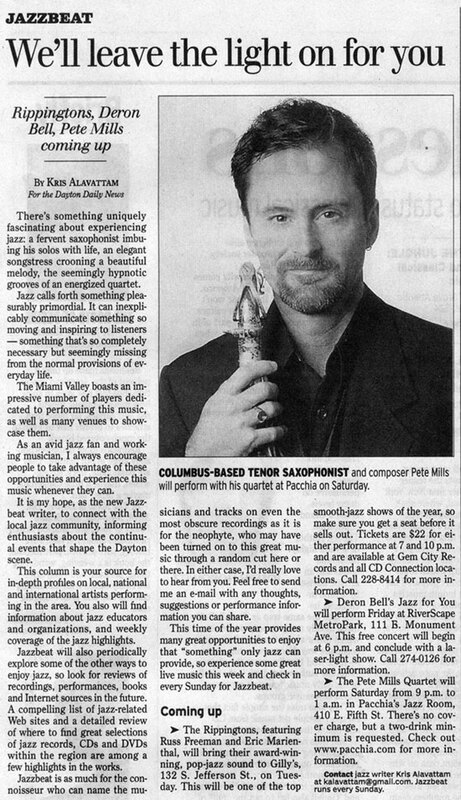 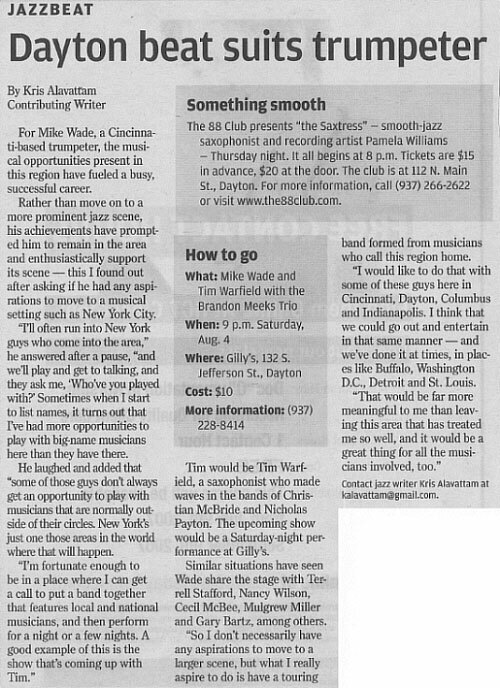 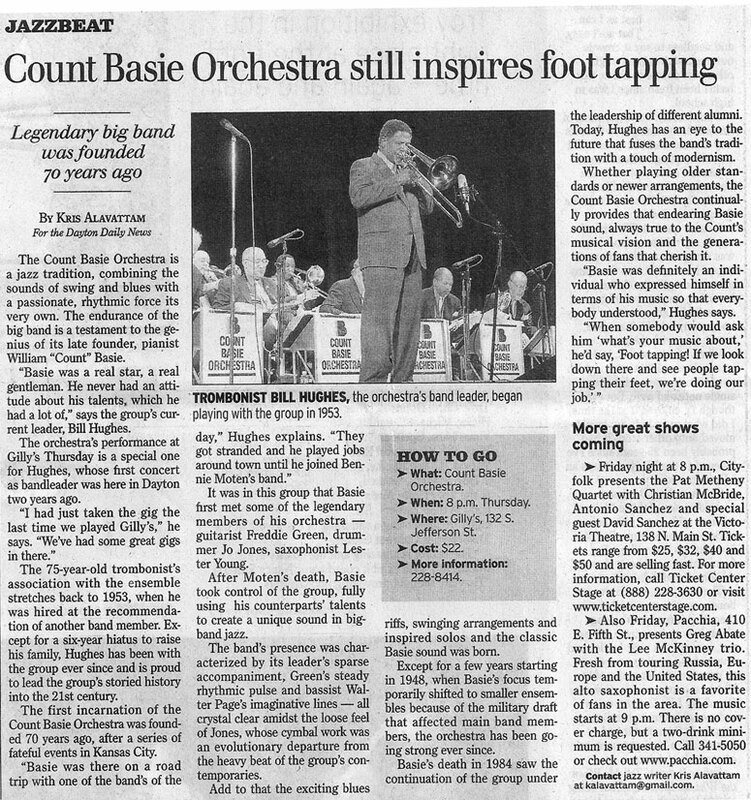 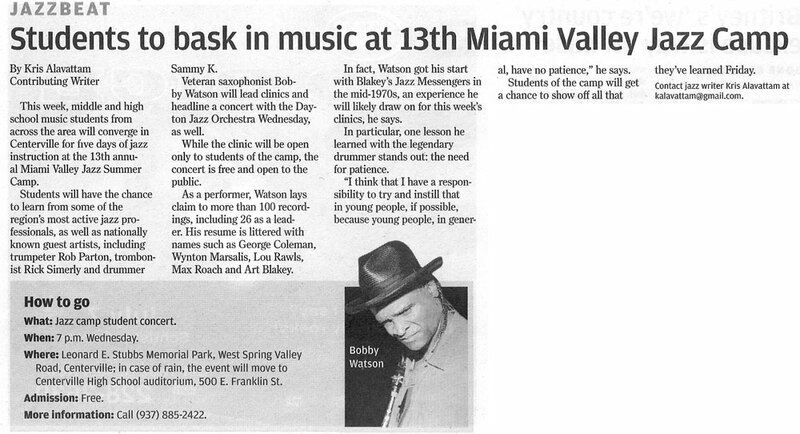 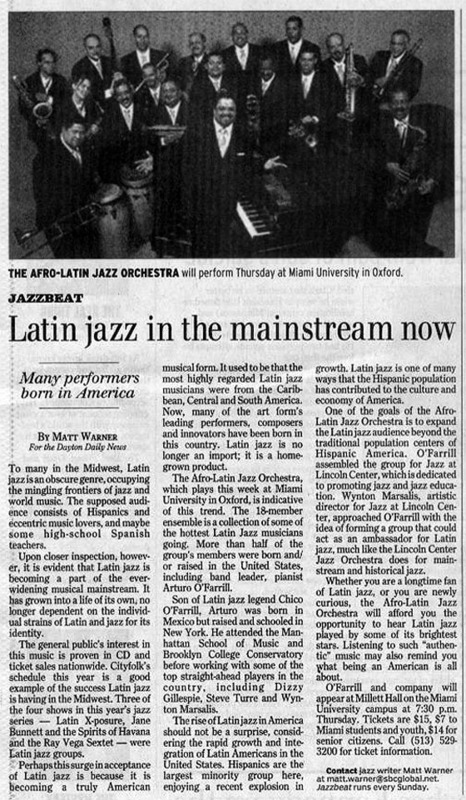 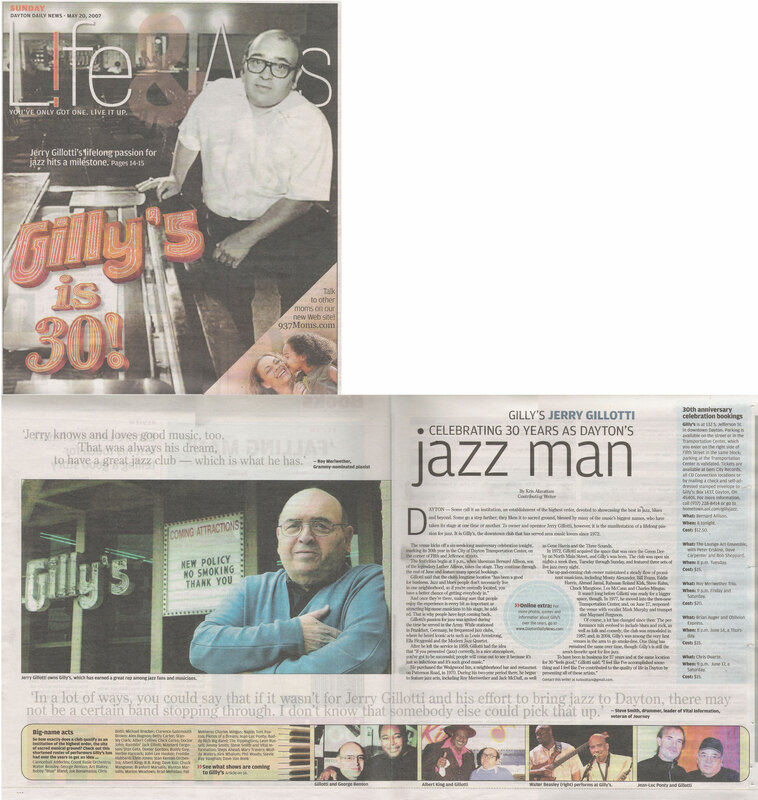 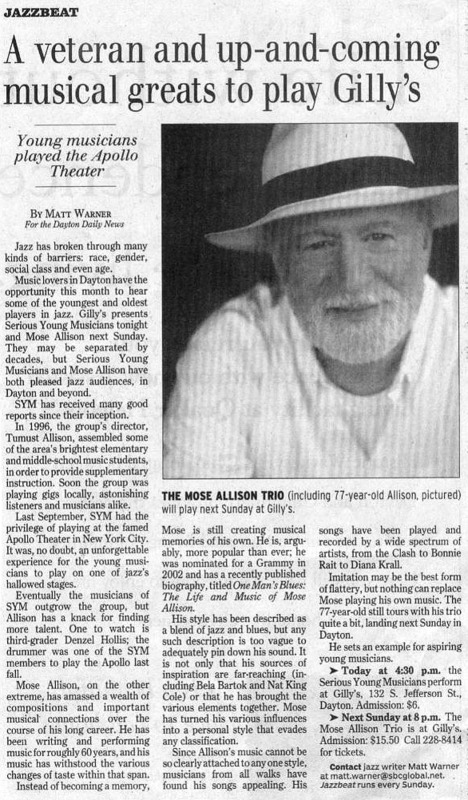 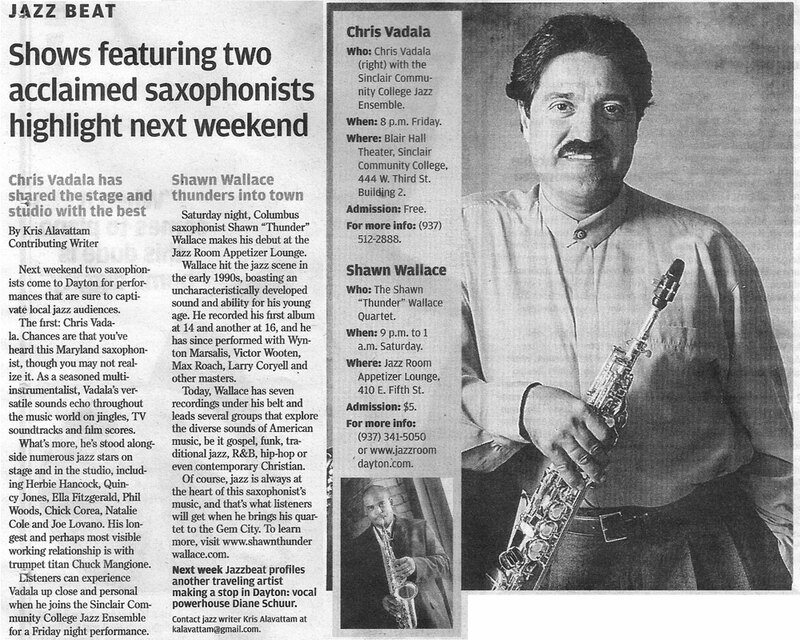 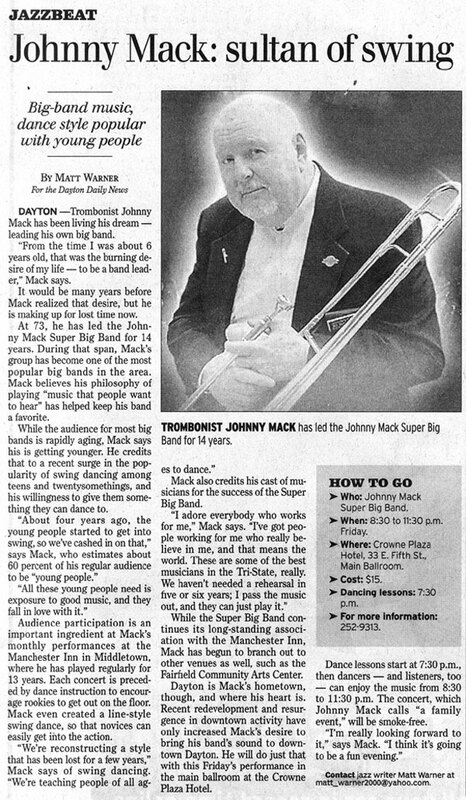 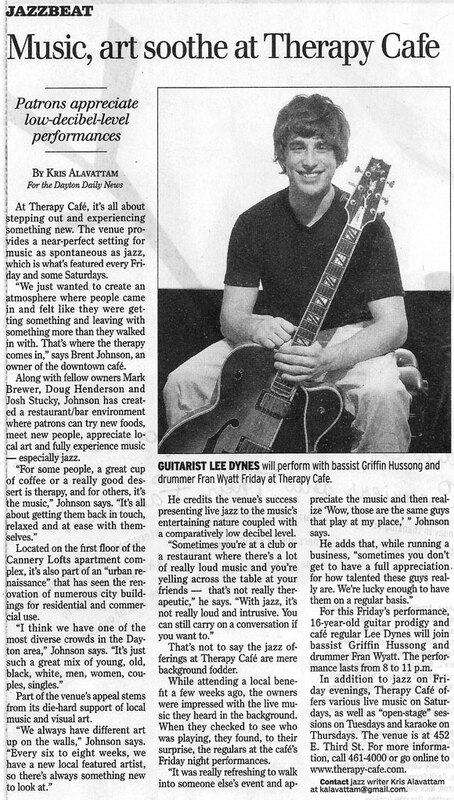 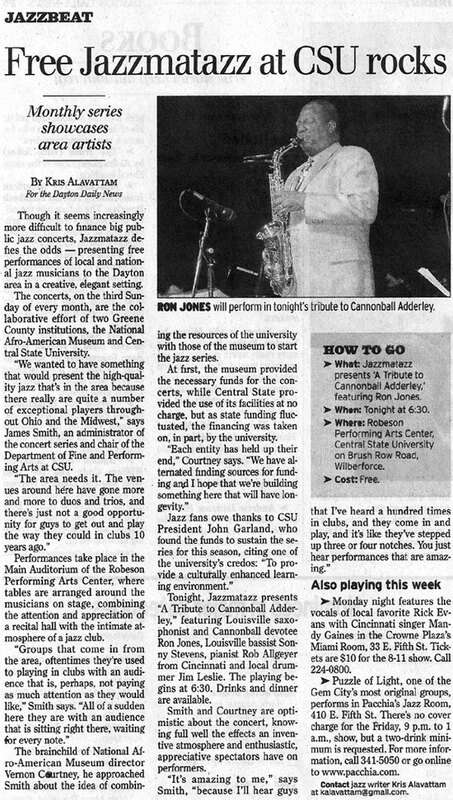 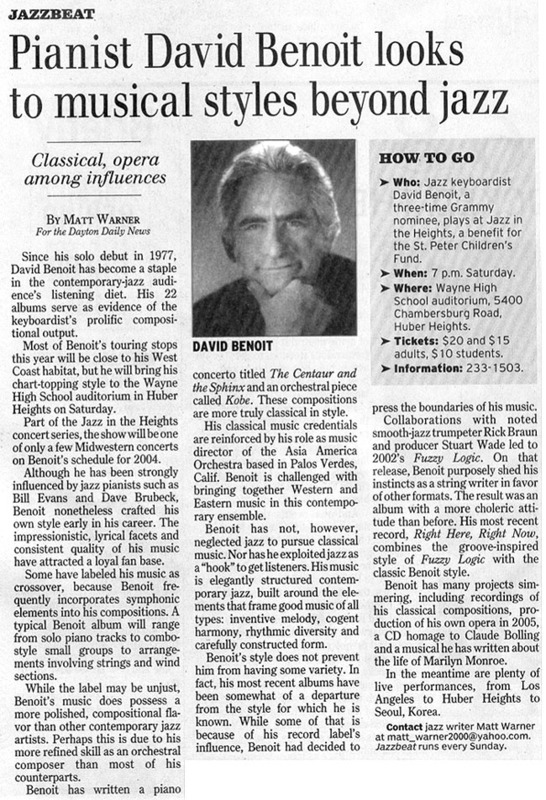 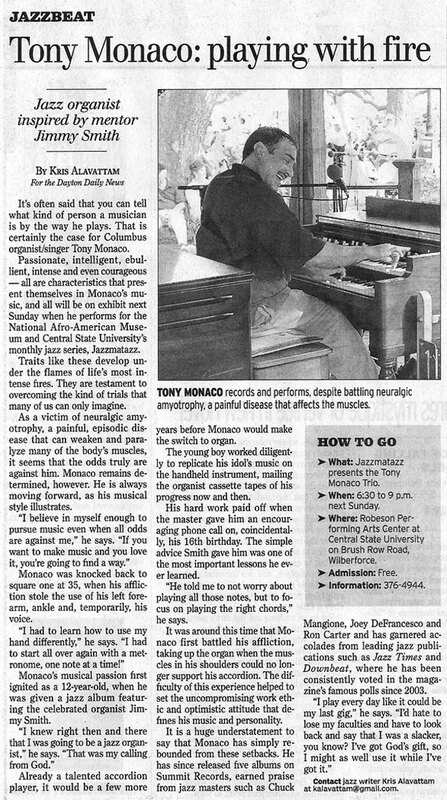 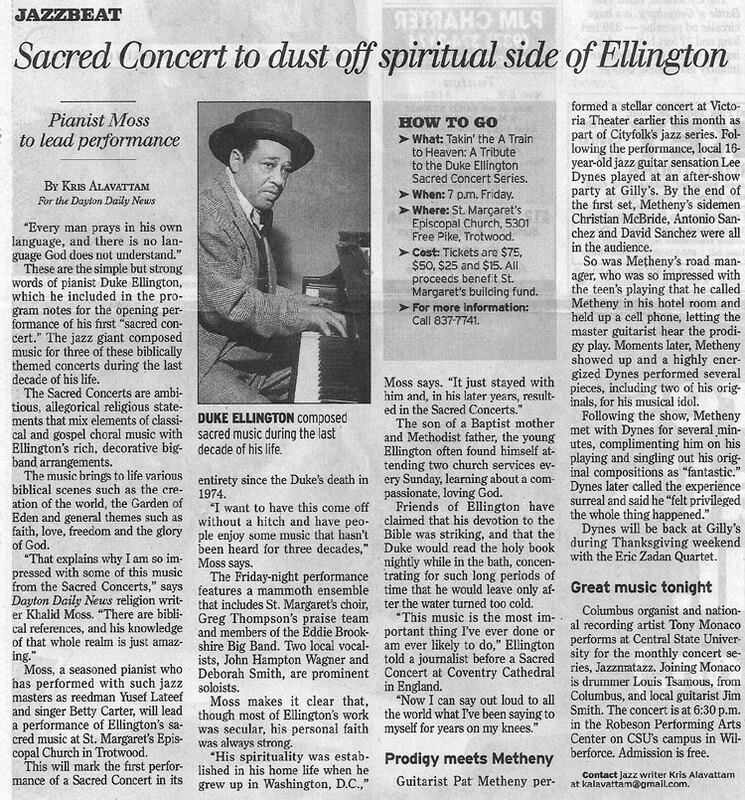 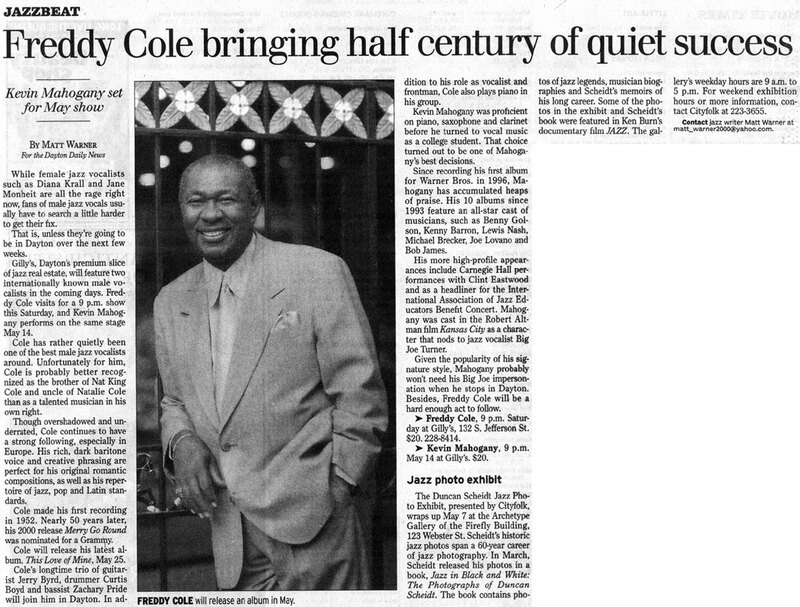 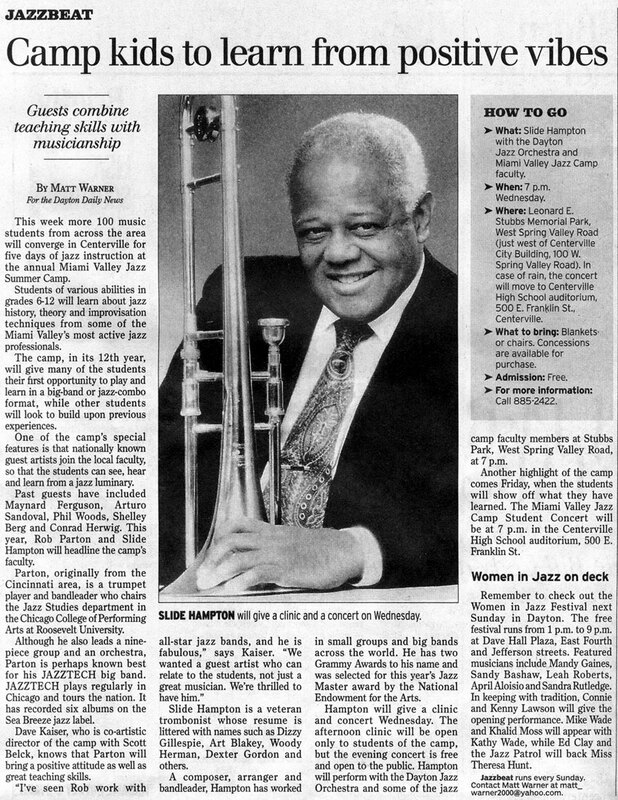 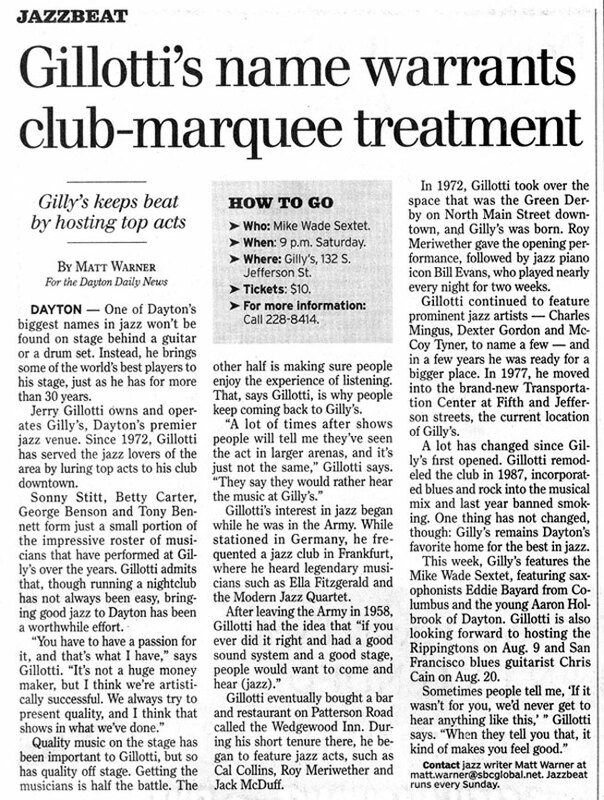 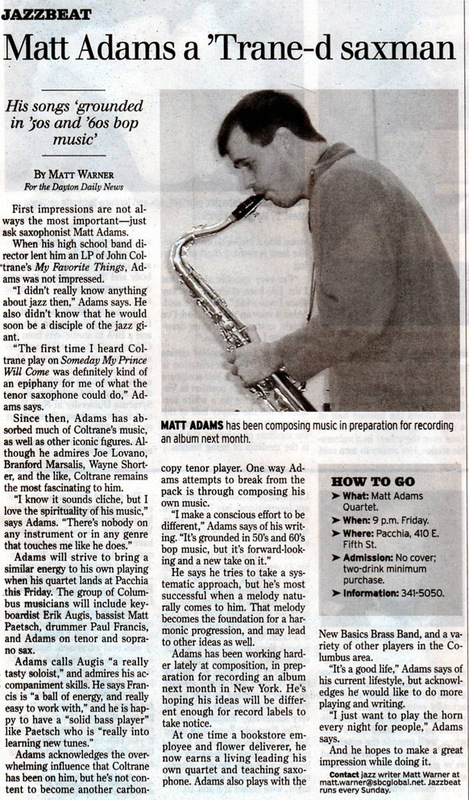 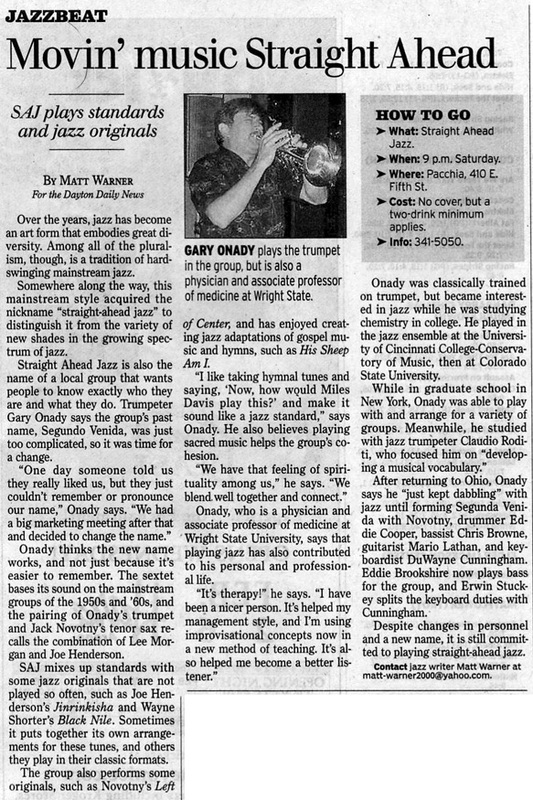 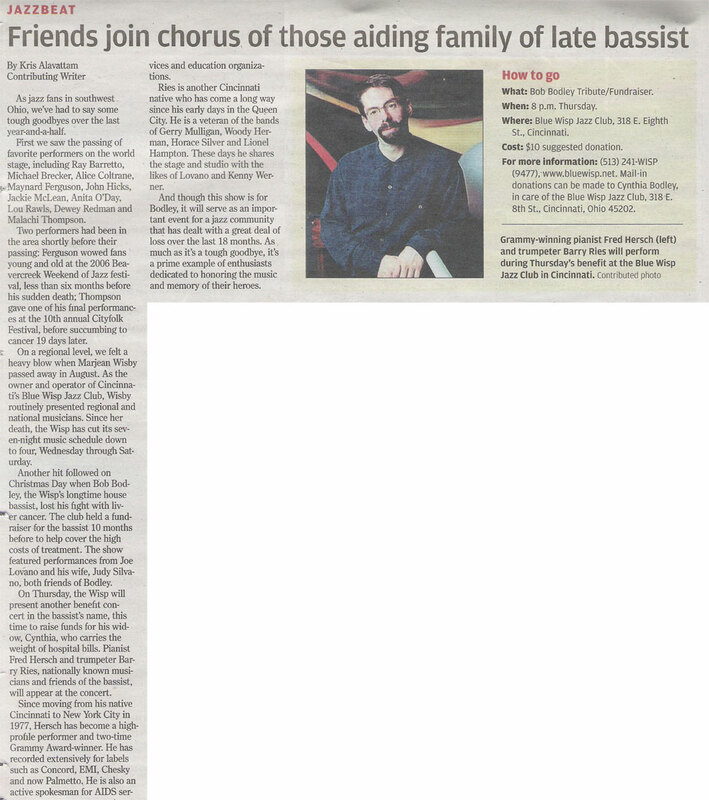 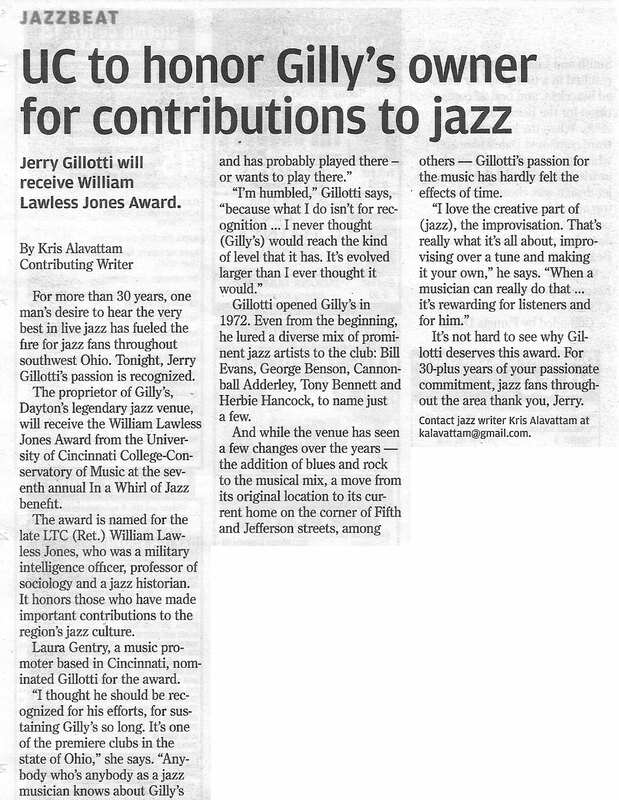 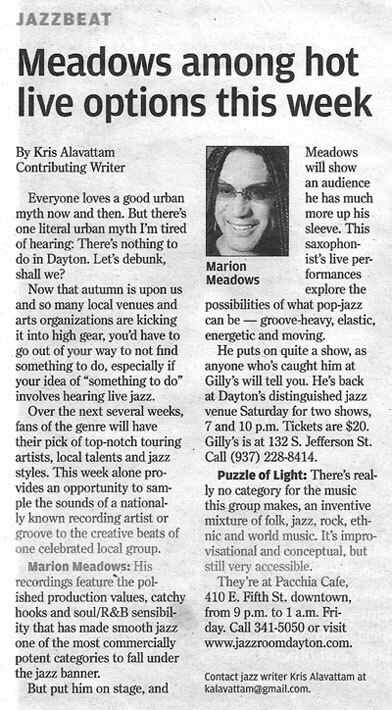 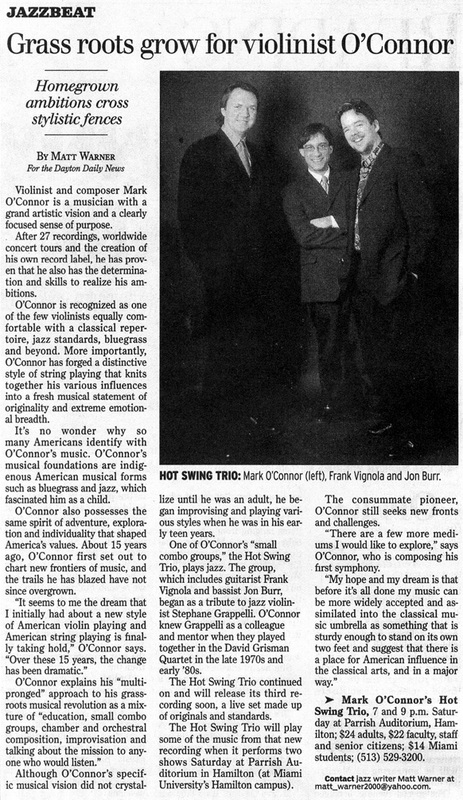 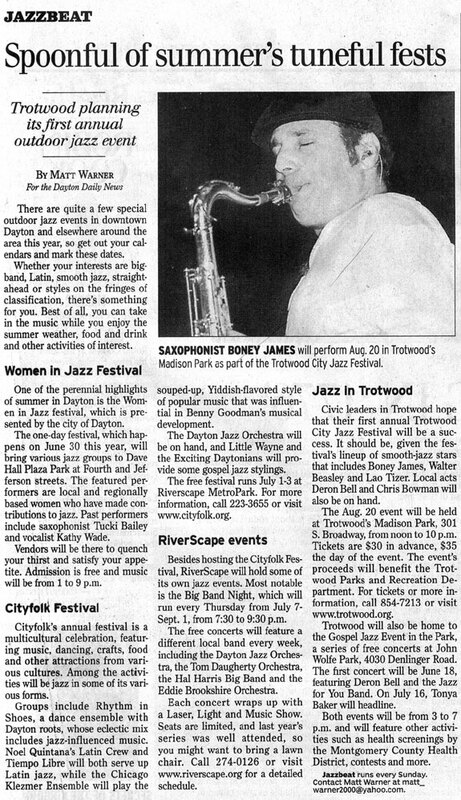 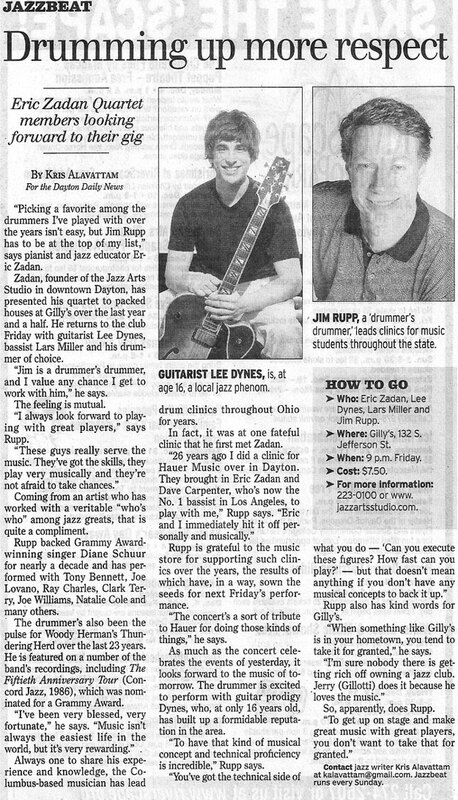 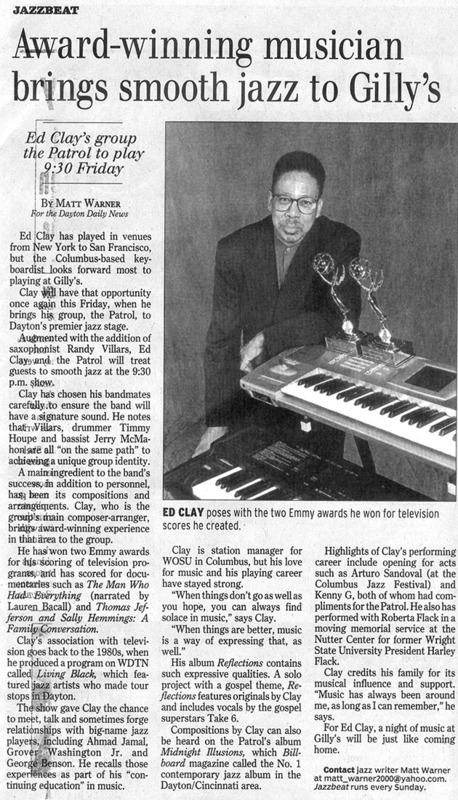 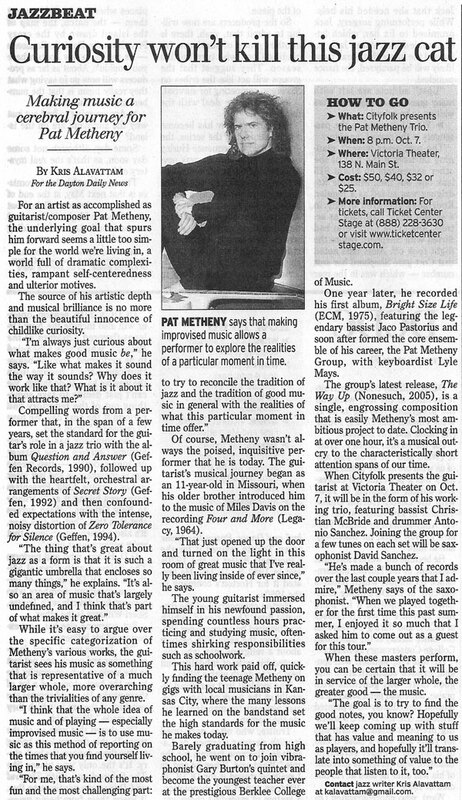 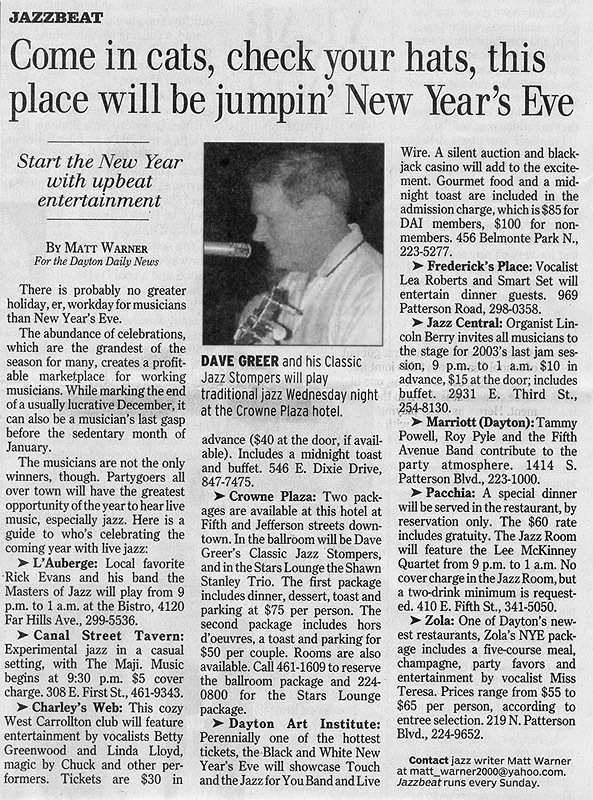 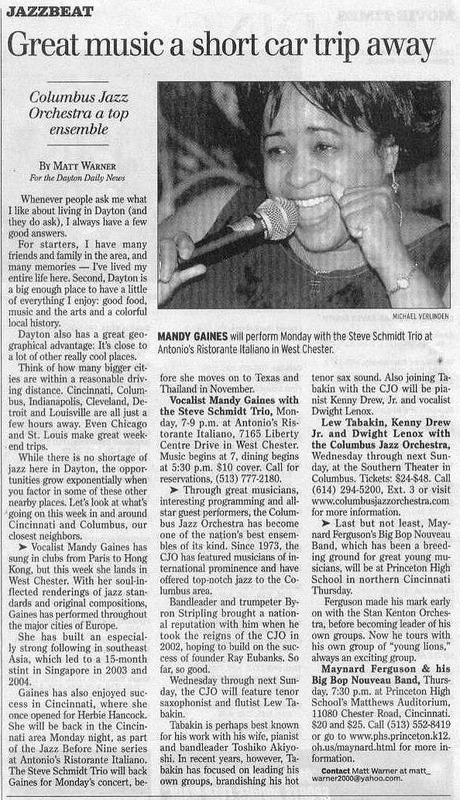 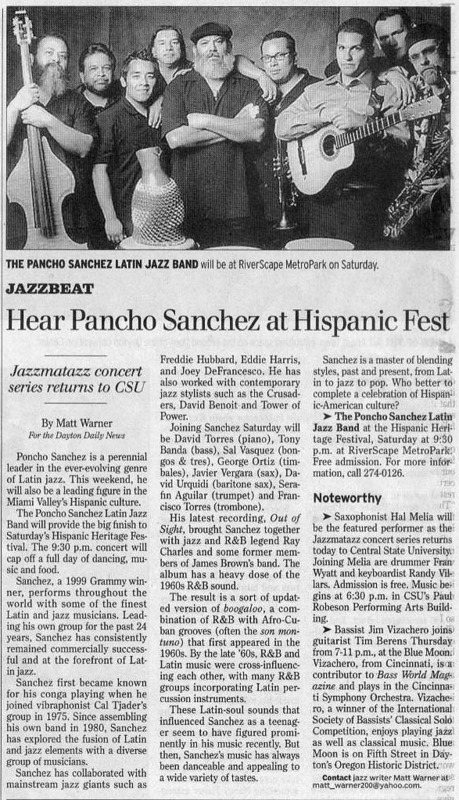 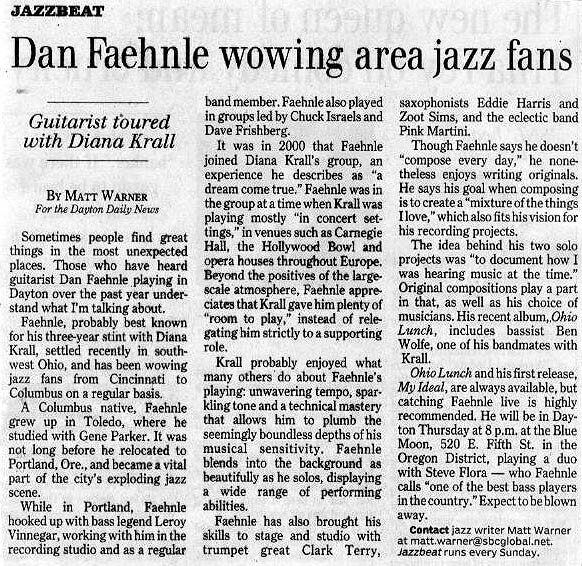 From November of 2003 until July of 2005, Jazz saxophonist and educator Matt Warner authored 89 articles for Jazzbeat, a weekly column which appears in the Dayton Daily News on Sundays. 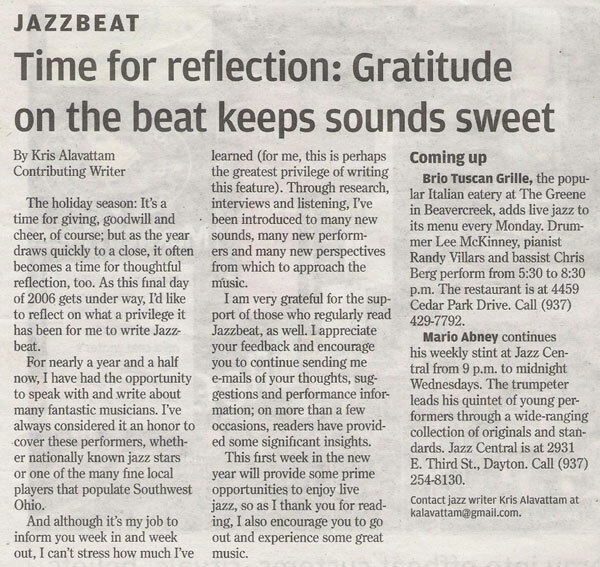 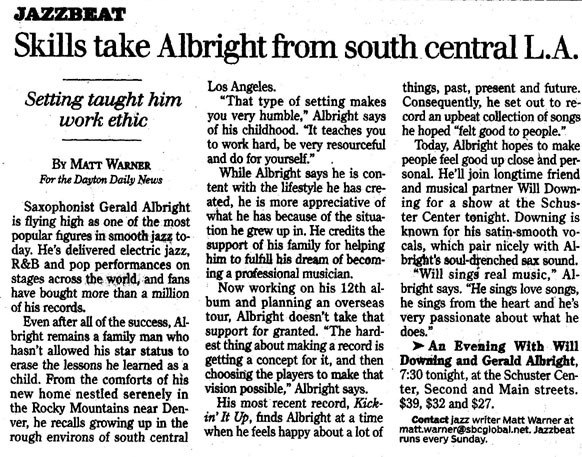 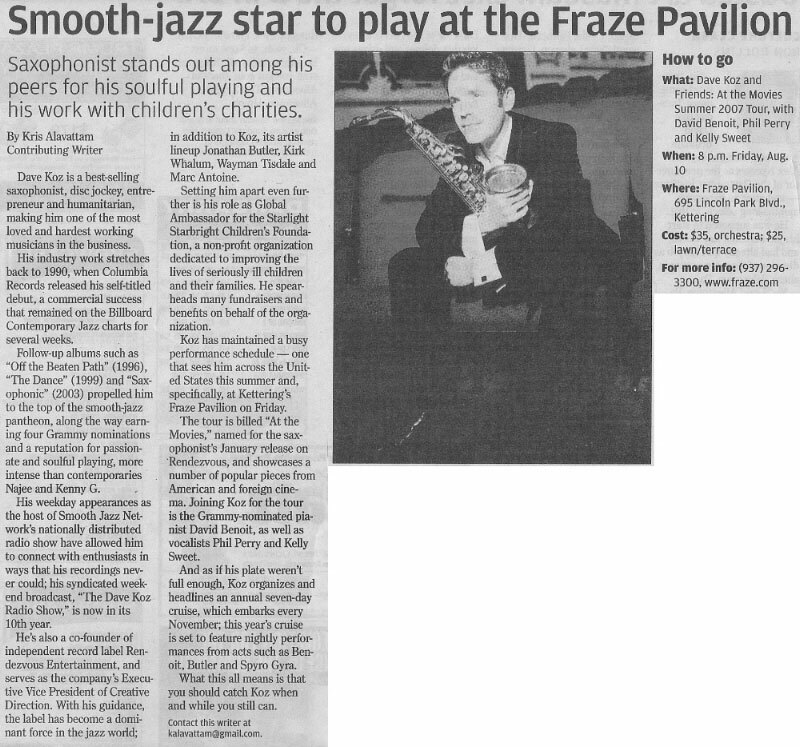 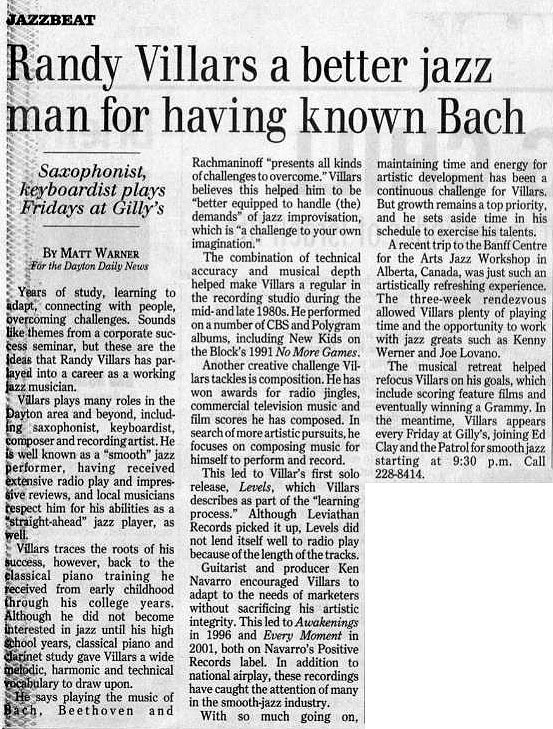 Matt, who was trained at the Jazz Arts Studio, brought musical insight, objectivity and enthusiasm to Jazzbeat. 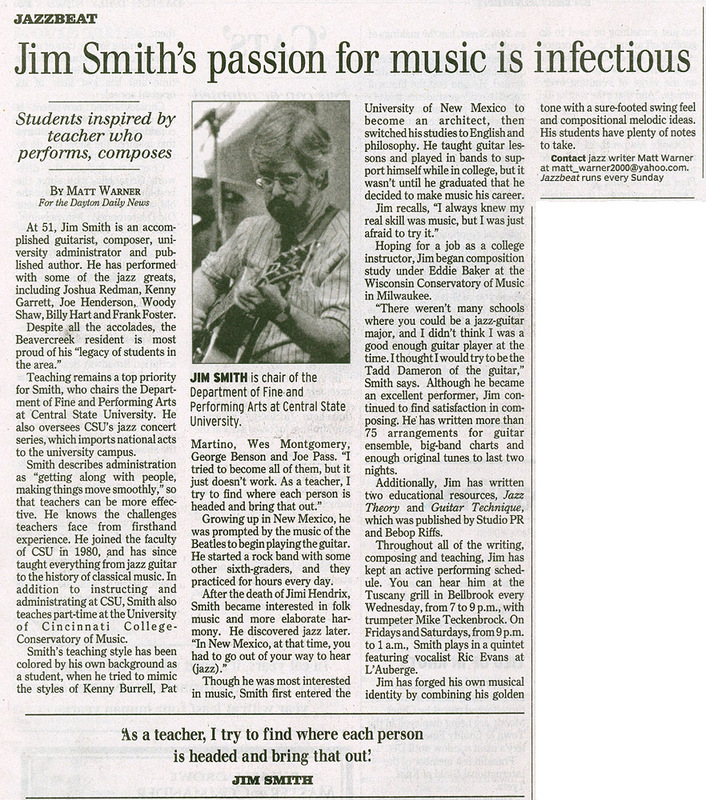 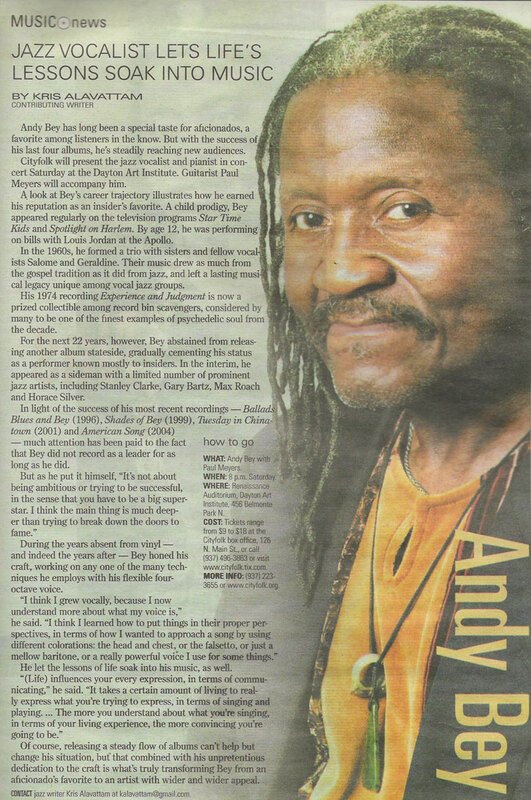 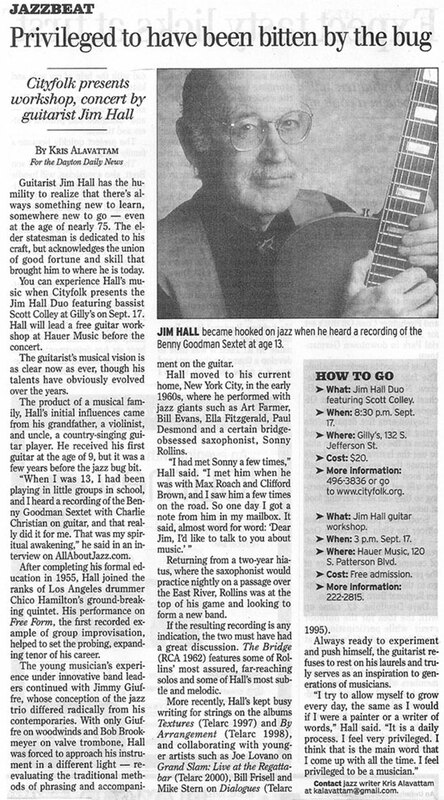 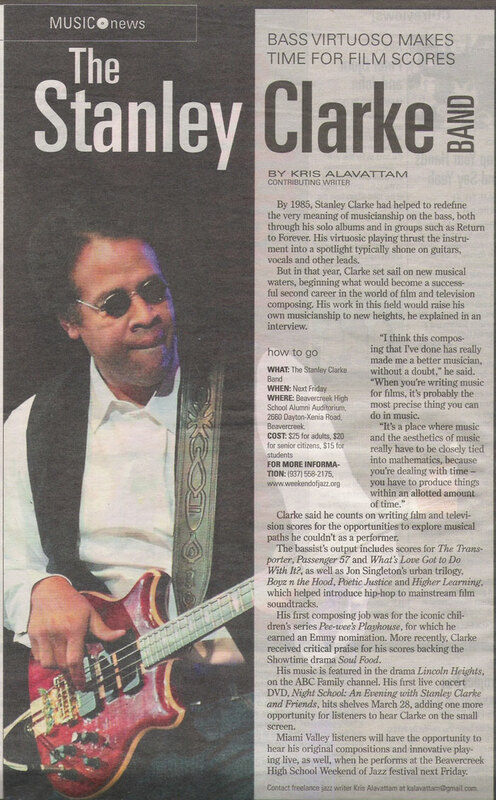 His important contributions to the local arts scene, both as a performer and writer, came to an end when he accepted a faculty teaching position in Springfield, Missouri. 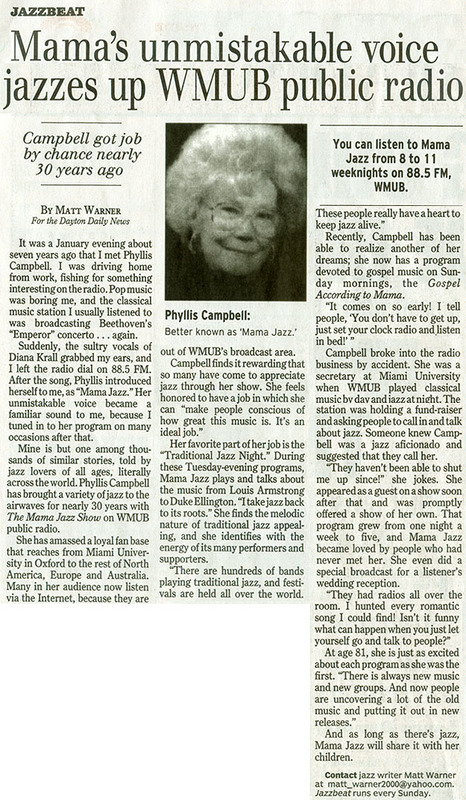 Phyllis Campbell - "Mama Jazz"
The following examples of Jazz Boards, Repertoire Classes, and Written Tests offer insight into the level of work that is addressed in the Jazz Arts Studio. 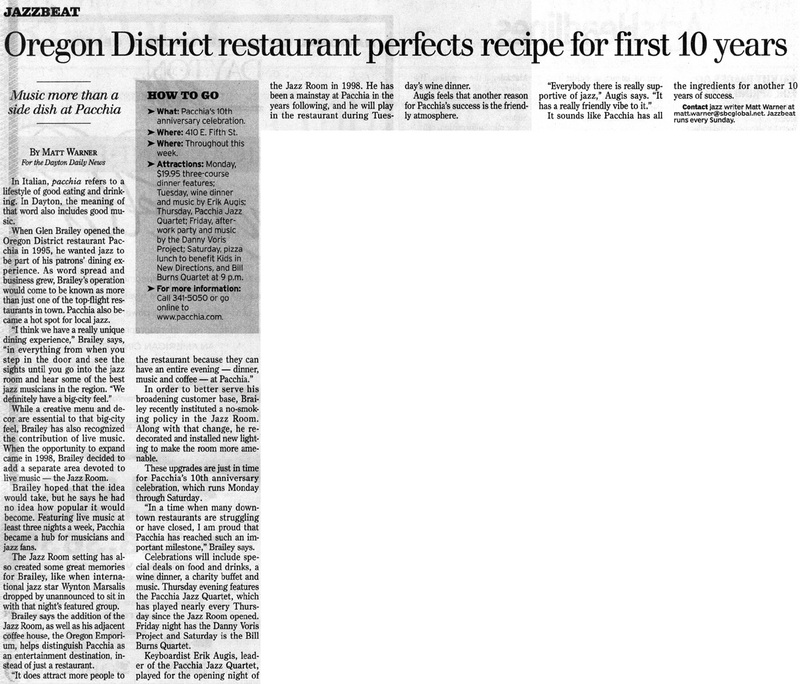 The Very Best of T.O.P. 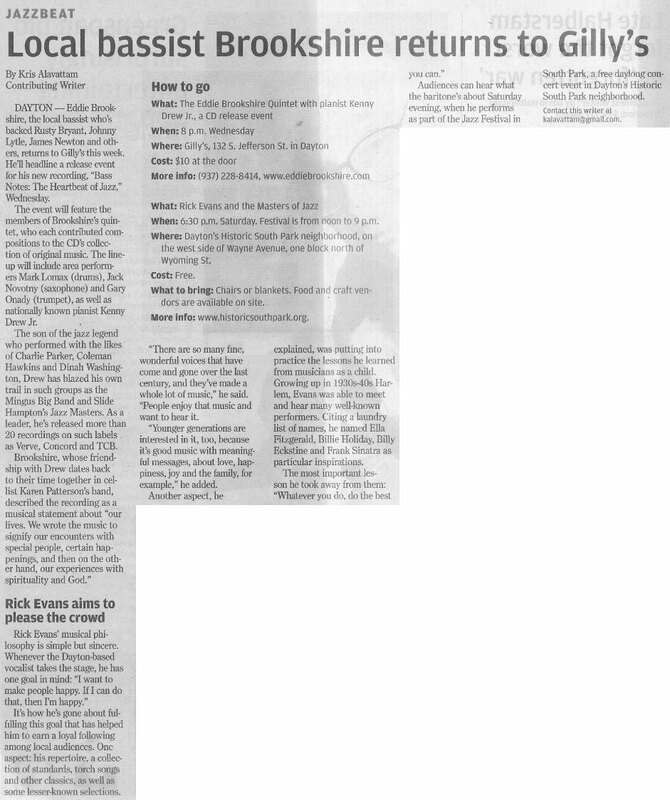 The following PDF files of blank manuscript paper can be easily downloaded and then printed. 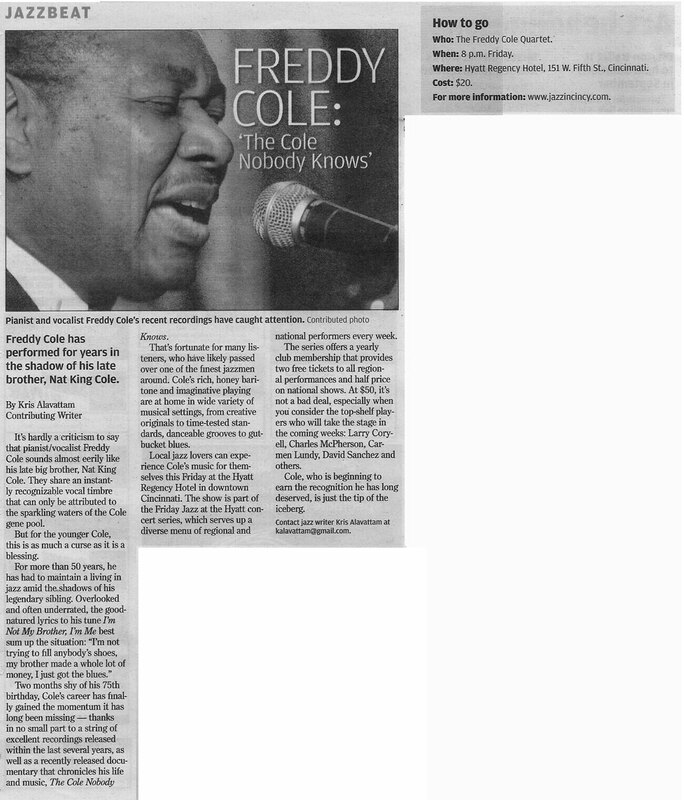 Please note that these files print in a higher quality than they will appear on your screen. 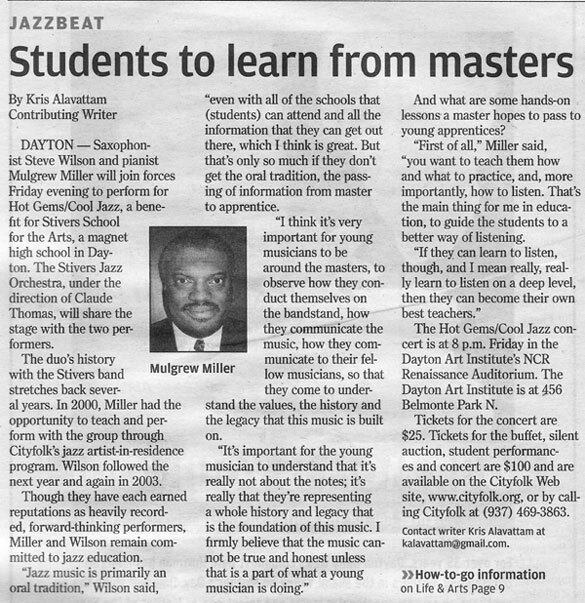 The Student Materials are accessible to Jazz Arts Studio students by password.